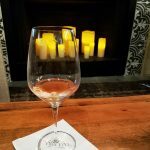 Valentines Day Pairings and Dates for the NC Triangle! 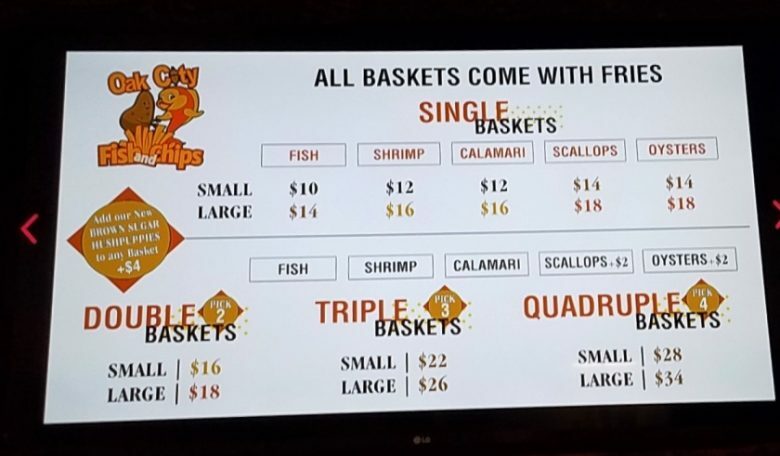 Valentines Day is coming up my friends and while I love eating out, I usually recommend staying in and just cooking for that special day. 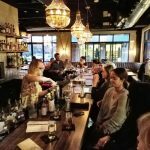 BUT if you absolutely need to go out and deal with the masses, here are some great Valentines date pairings to help keep things simple. 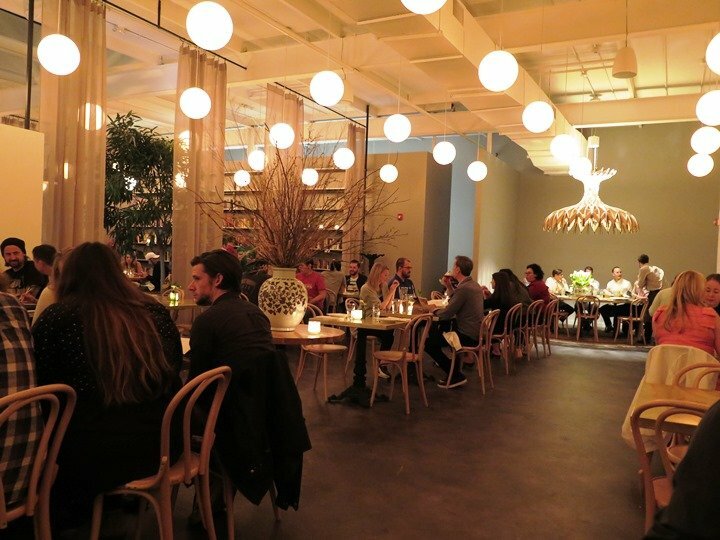 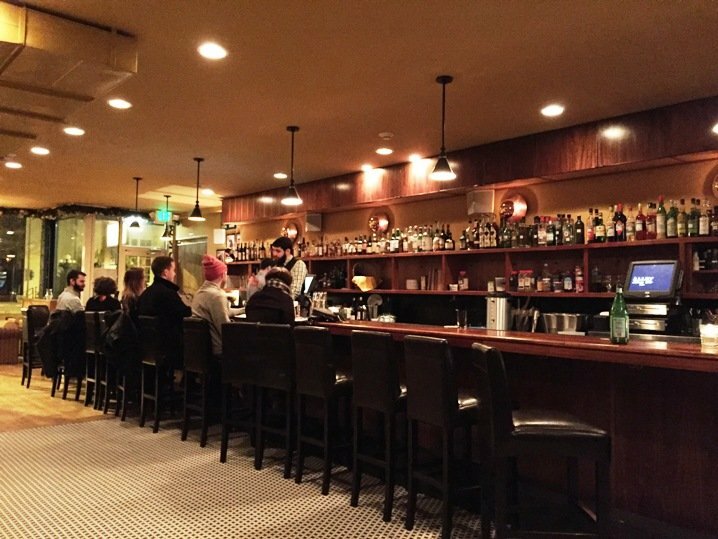 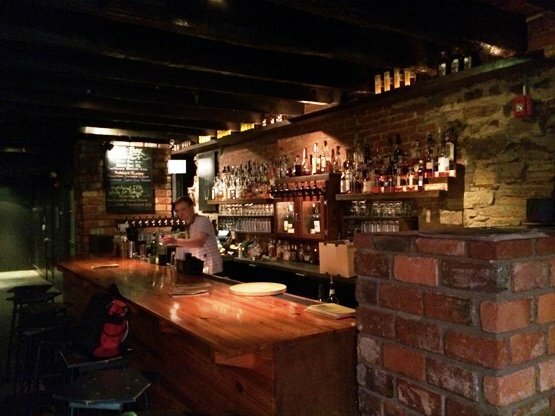 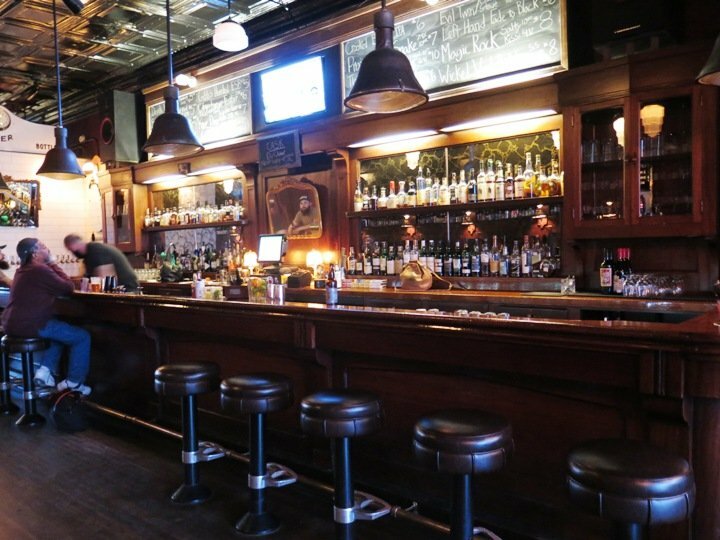 These pairings are focused on a cozy, full service restaurant(s) paired with a good bar. 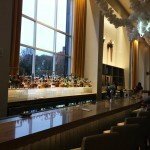 And when I mean bar, I mean, cocktails! 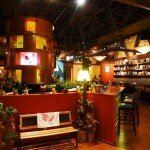 On a special day like Valentines Day, I think it calls for cocktails or maybe a glass of wine. 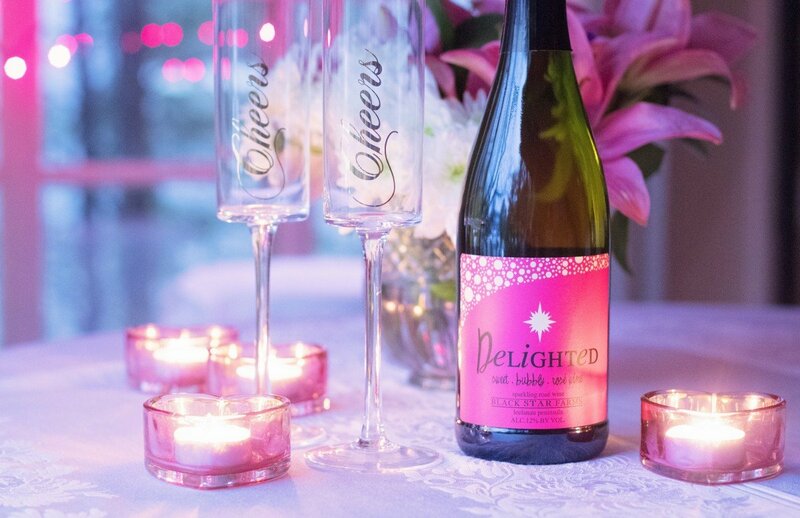 It’s a classic combination like champagne with strawberries or red wine with dark chocolates. 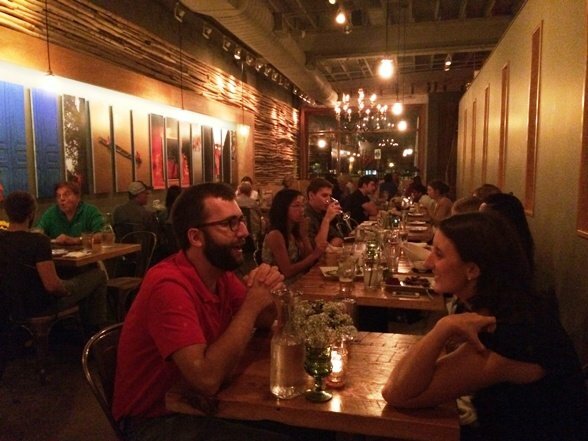 And of course, the pairing must be walkable and within a block or two. 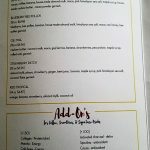 I’ve included links to full reviews when available. 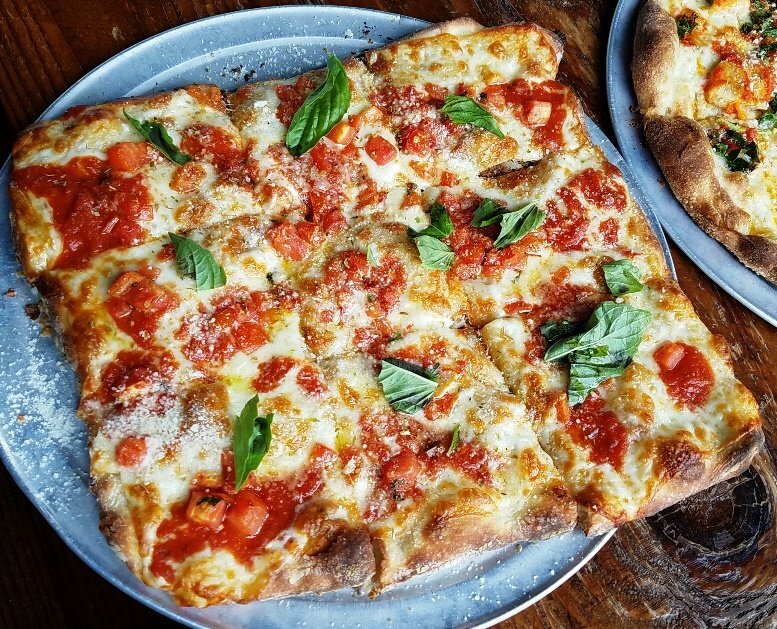 Good luck and buono appetito! 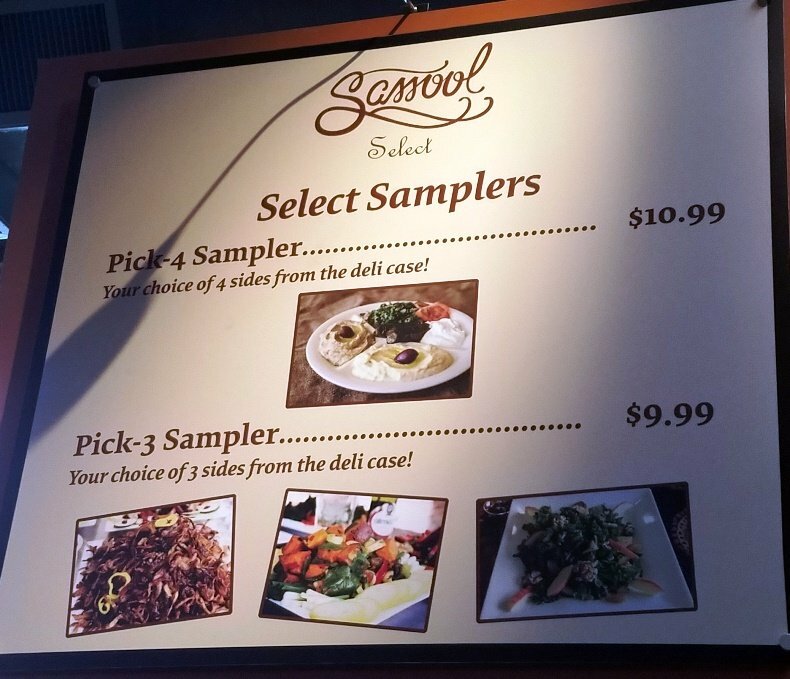 When it comes to decisions about food, I don’t waste much time but let’s face it, it’s nice when you have choices. 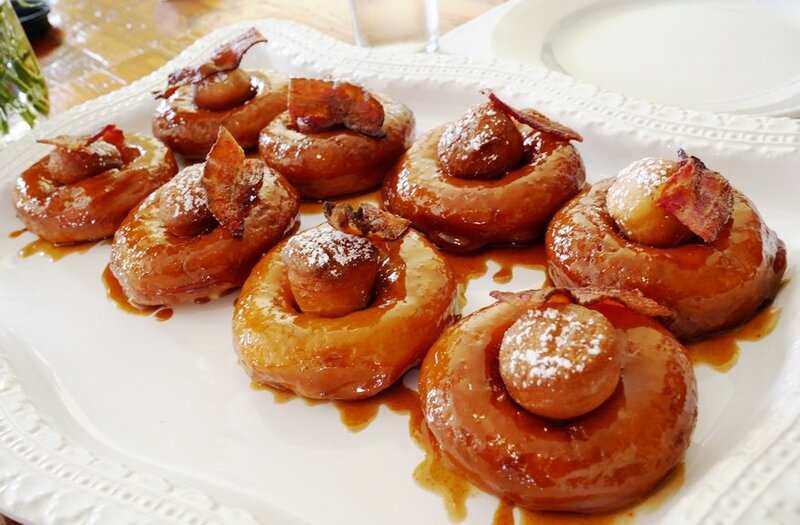 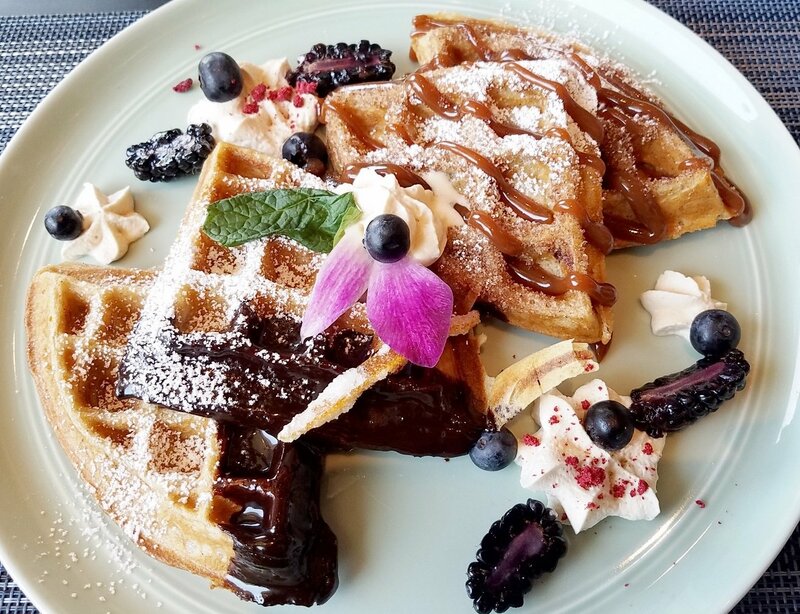 And brunch is one of those great weekend options where you get to choose from salty or sweet, breakfast or lunch. 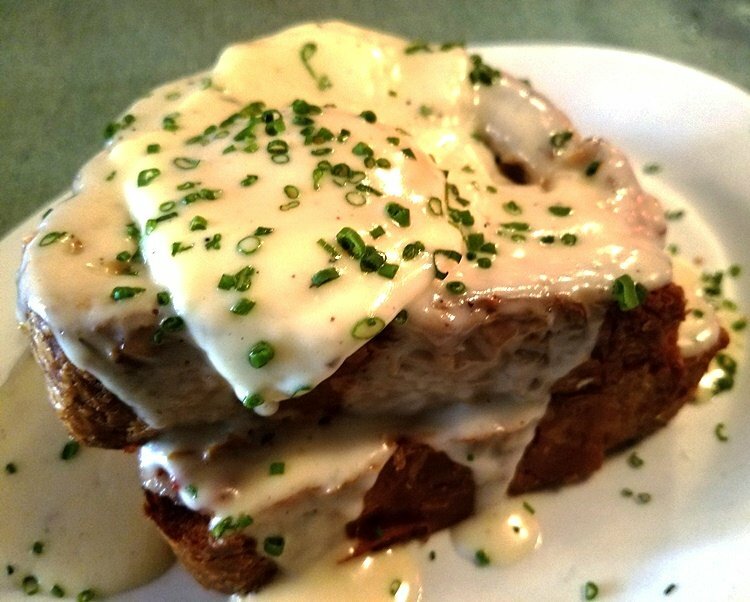 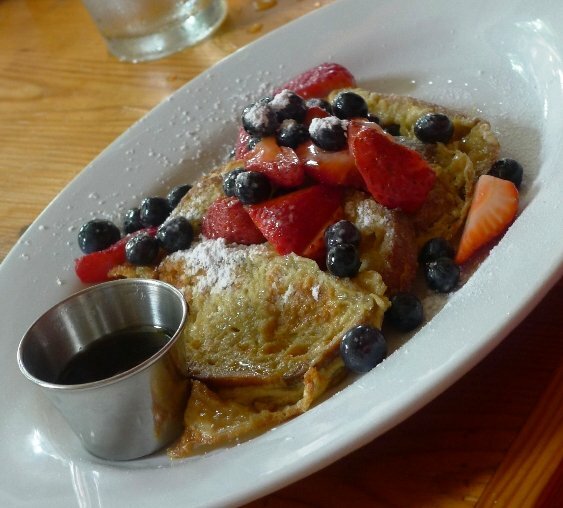 From benedicts to BLTs, french toast, home fries and more! 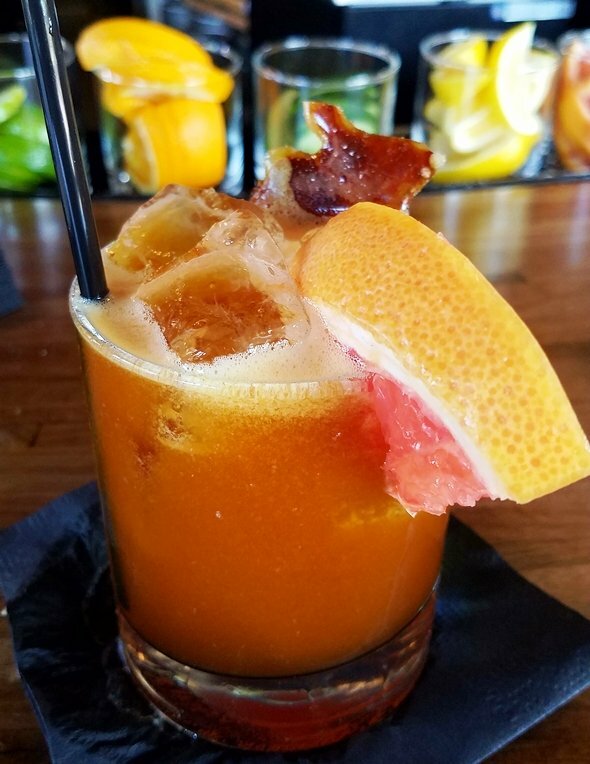 Pair your meal with a bloody mary or mimosa and you’ll be enjoying your weekend in style. 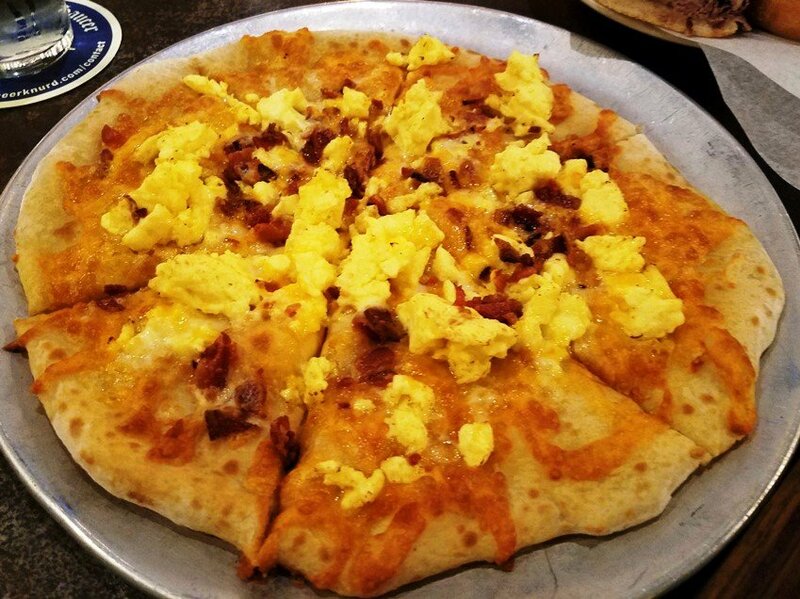 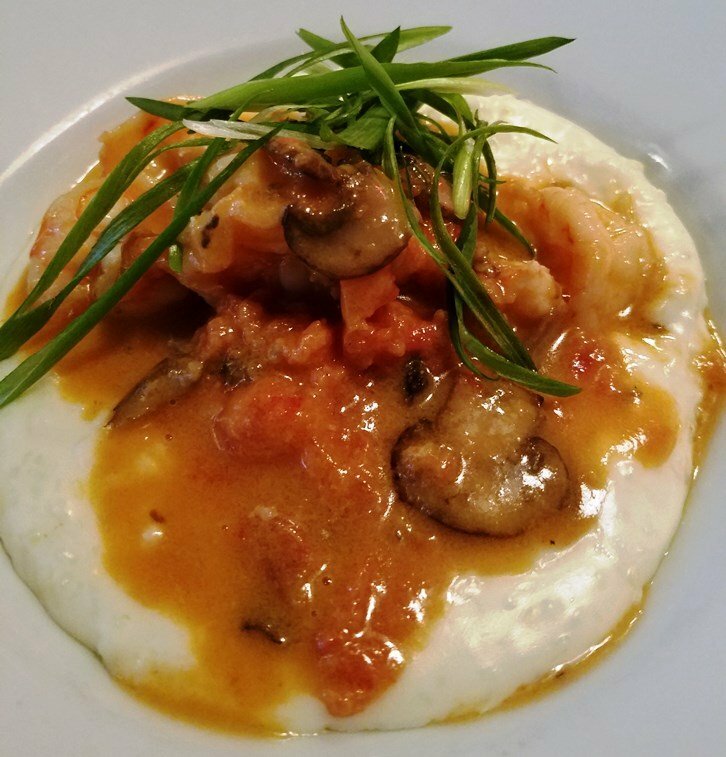 So where to go for brunch in the Triangle? 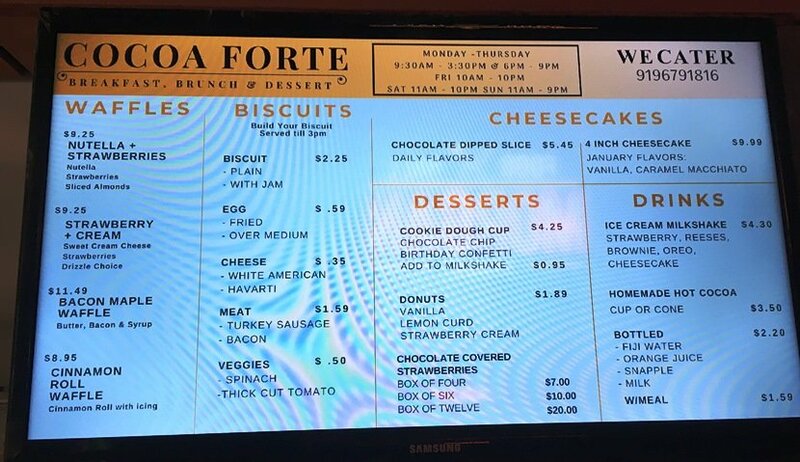 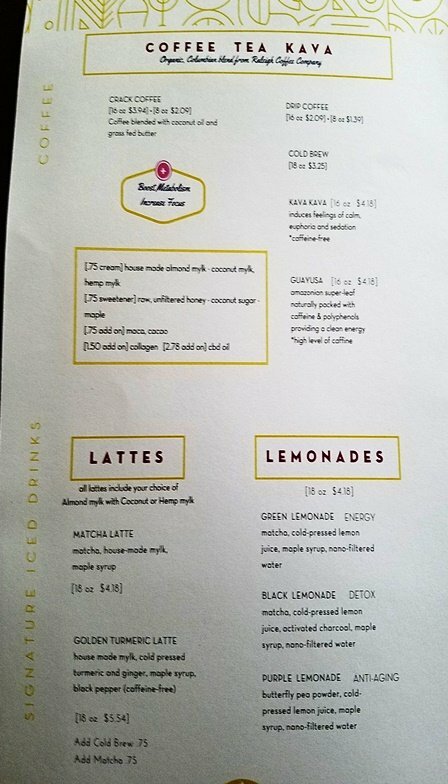 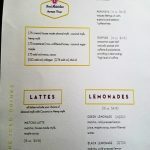 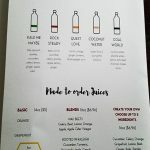 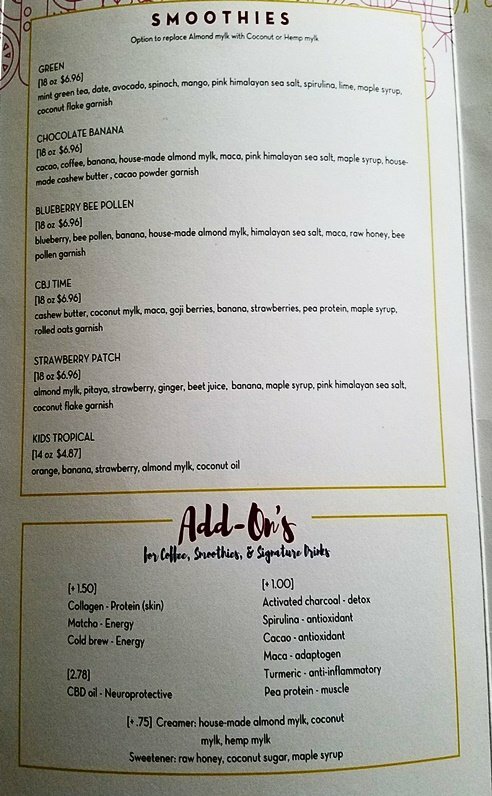 Here are some excellent options, click on the hours for brunch menu and details, click on the restaurant name for a review, if available. 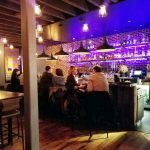 Over the course of 2018, I had a lot of great meals in the Triangle! 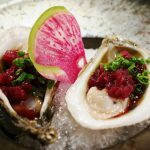 Writing a food blog means I’m usually chasing down what’s new and what’s recently opened up for my best new restaurants of the year list. 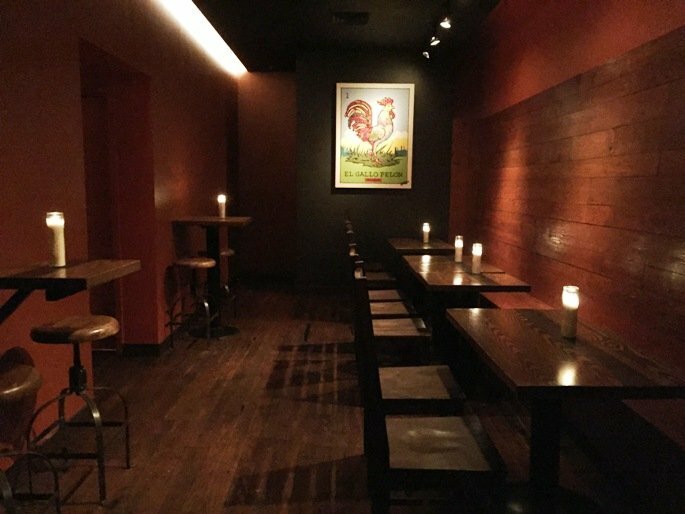 Looking back, I can say that it was a good year if not great (My Best New Restaurants of 2017 list is here). 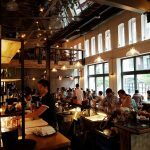 There seemed to be more quick-casual and more small, chain type restaurants but what can you do? 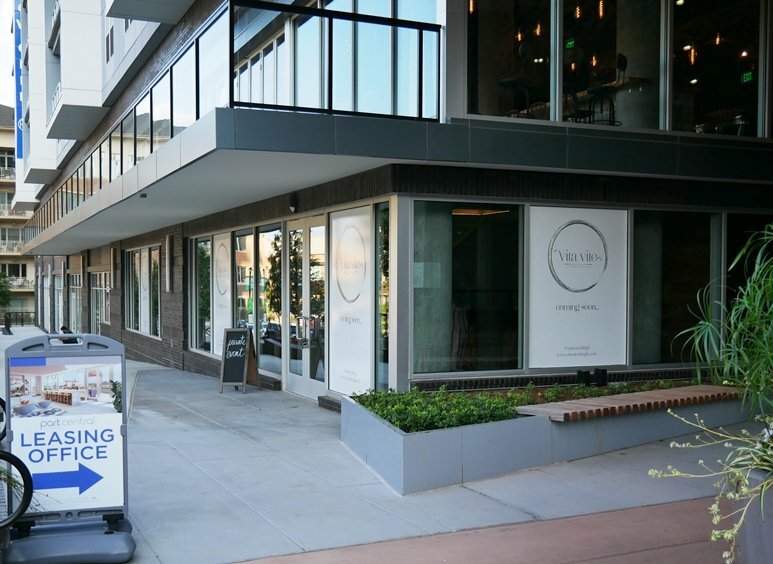 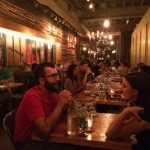 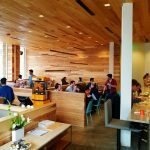 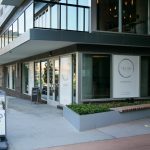 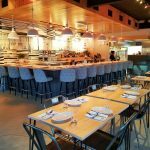 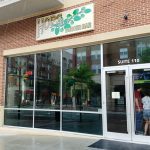 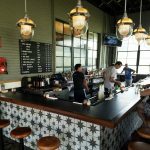 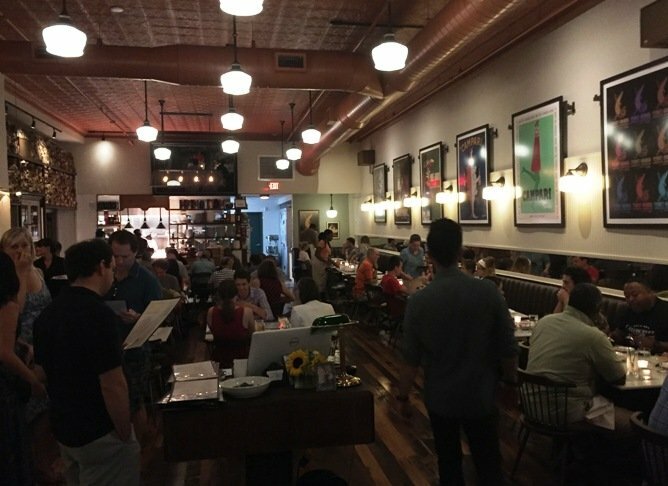 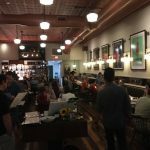 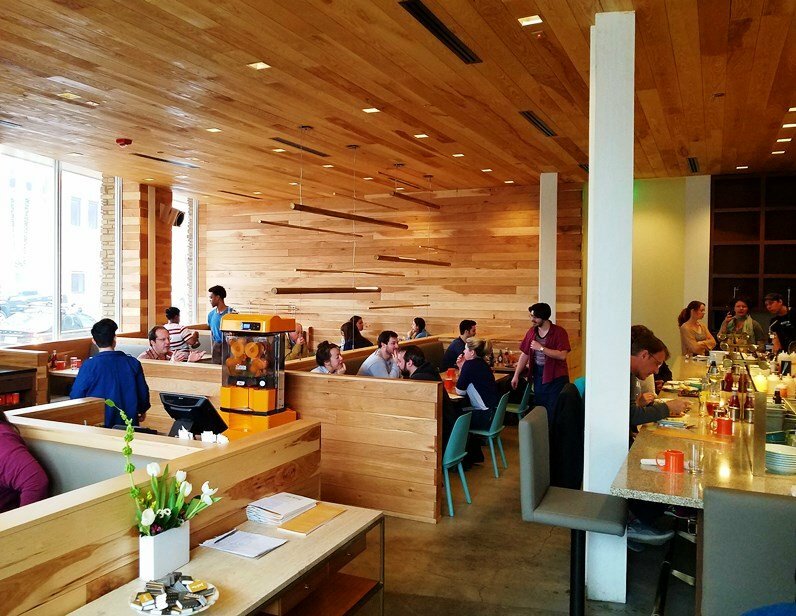 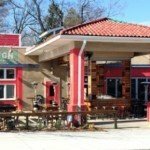 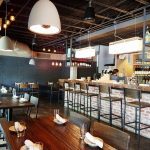 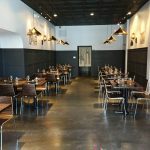 We’ve had a good run of new restaurants in the Triangle and my guess is that things may be slowing down after several VERY busy years in the area. 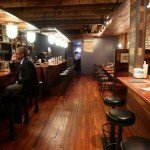 But that’s not to say there weren’t some pleasant surprises for me! 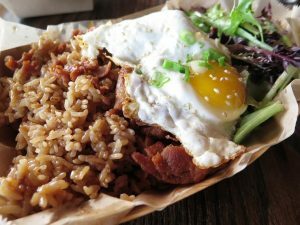 Restaurant openings continued through the end of the year resulting in some last minute changes on my ToEat list. It still took a lot for me to cut down a long list of contenders. 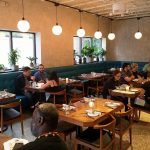 But here you go, my Best New Restaurants and Bars of 2018! 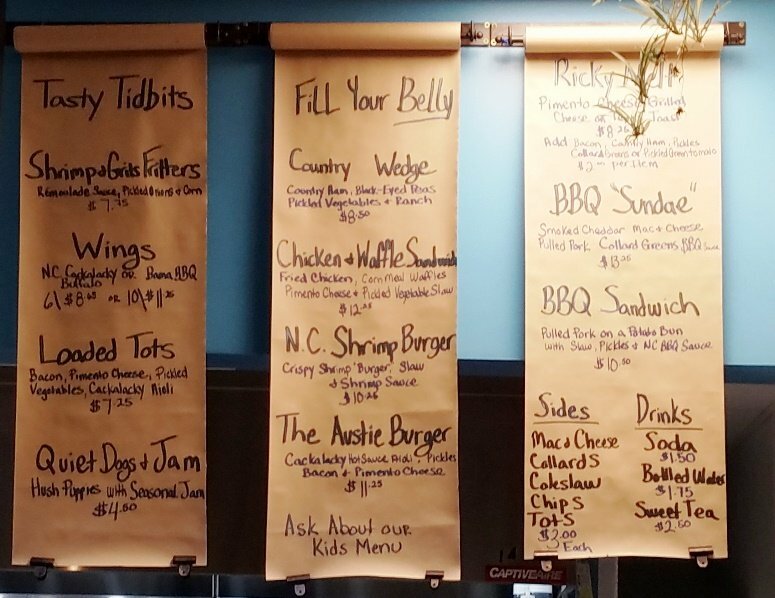 When it comes to burgers in Chapel Hill, people usually think about Al’s Burger Shack but I think Hops Burger Bar is doing some seriously good beef! 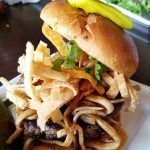 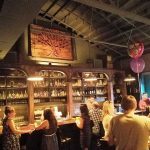 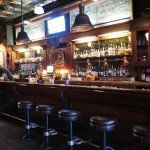 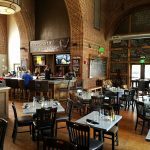 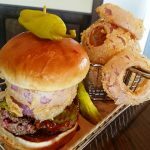 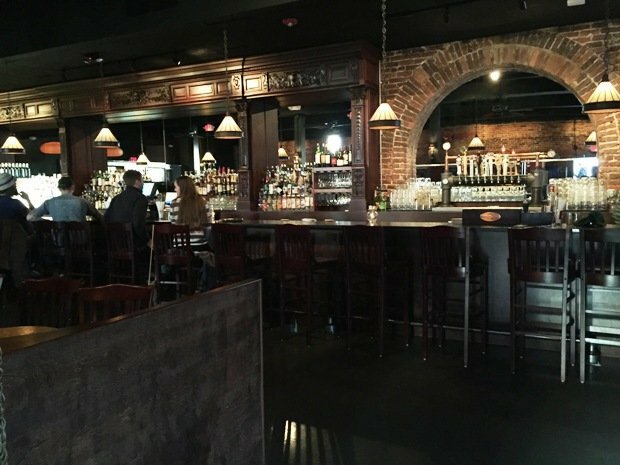 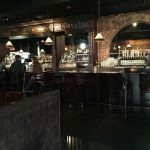 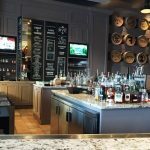 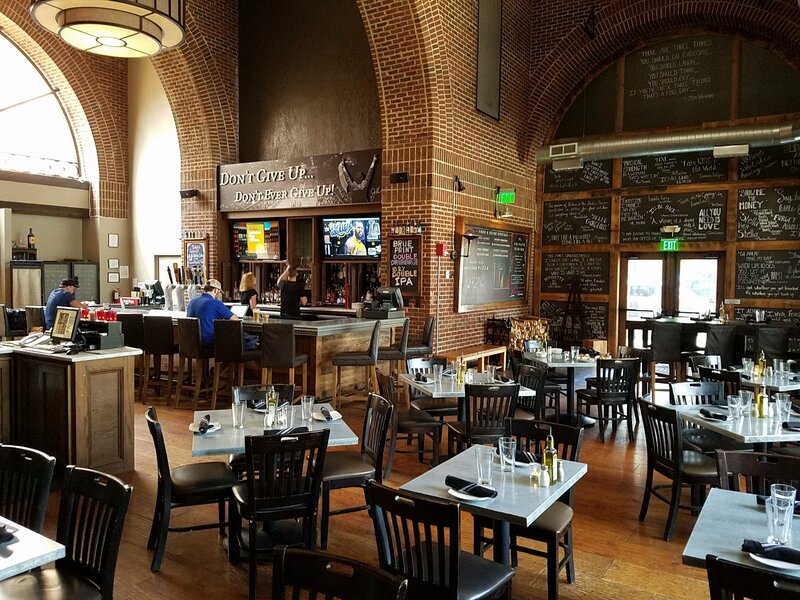 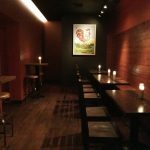 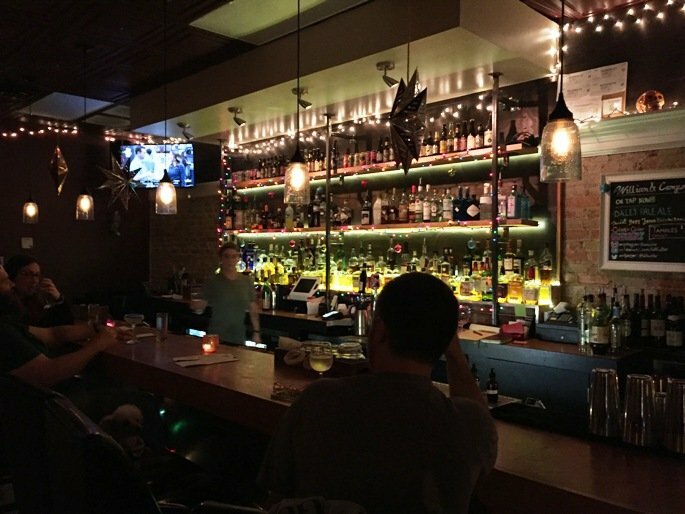 Based out of Greensboro, Hops Burger Bar brings fantastic craft beer along with creative, gourmet burgers. Their smallest burger starts at 6 oz. 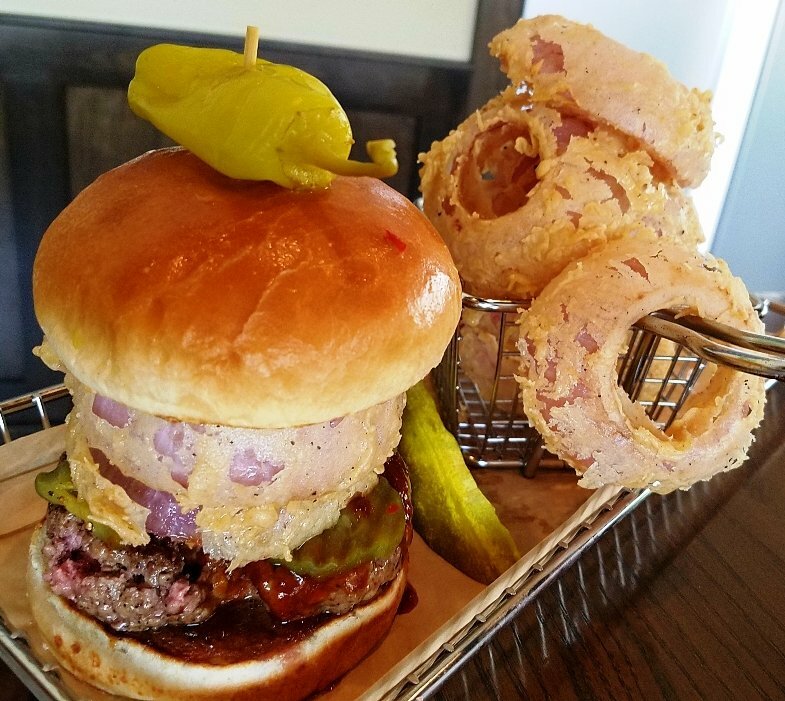 but beyond the heft of the burger, the quality is also there in the meat, toppings and bun. 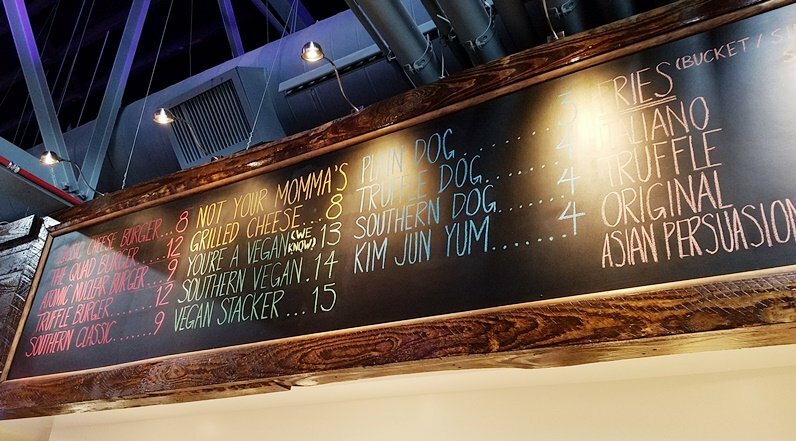 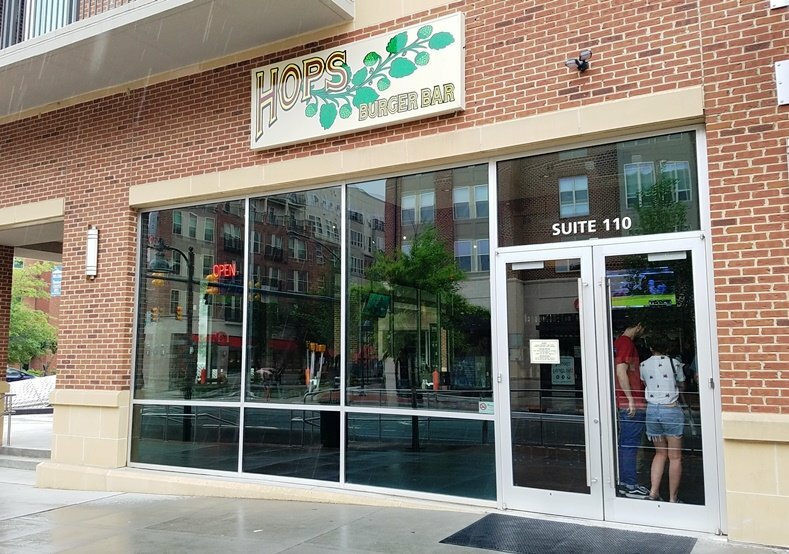 Love their weekly specials and interesting sides, do not miss Hops Burger Bar if you find yourself on Franklin Street sometime soon! 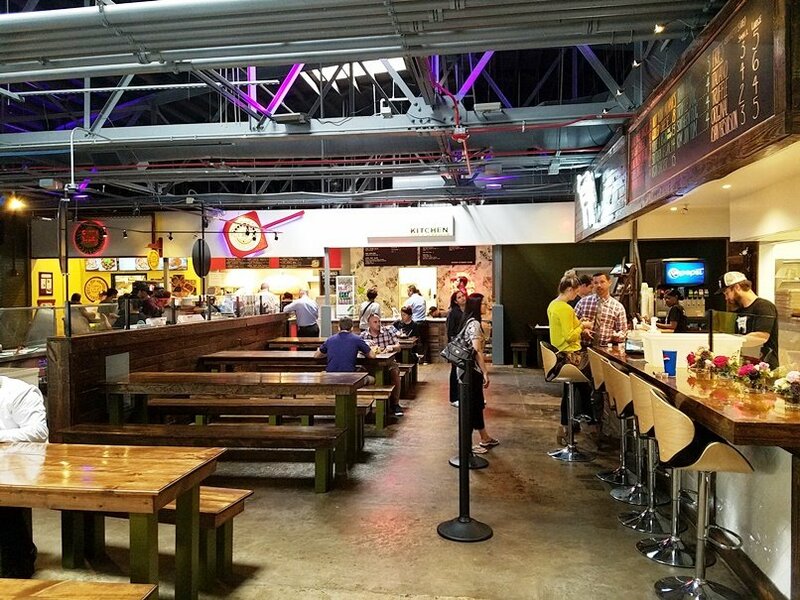 Hutchins Garage opened up quietly during the summer and you could tell from the get-go, the owners knew EXACTLY what they were doing. 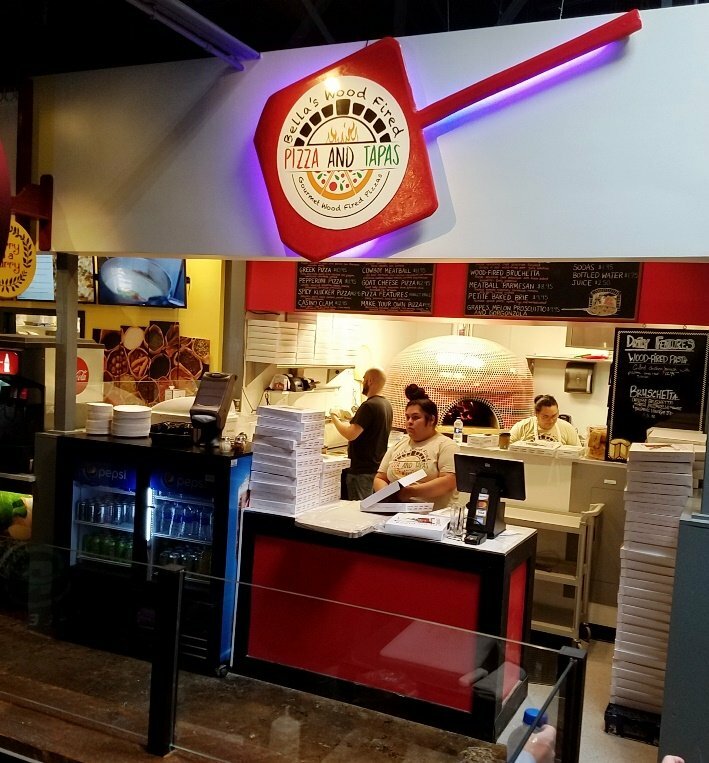 From the cool and hip, industrial interior design to the fantastic, thin-crust pizzas, Hutchins was rockin’ things out from the start. 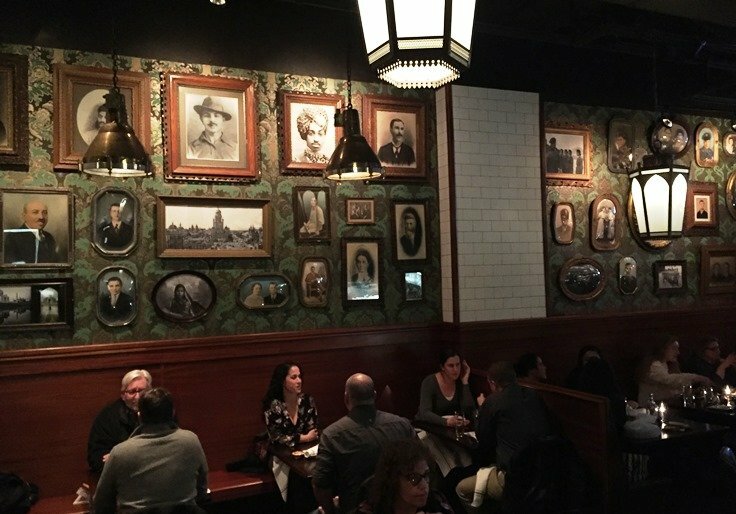 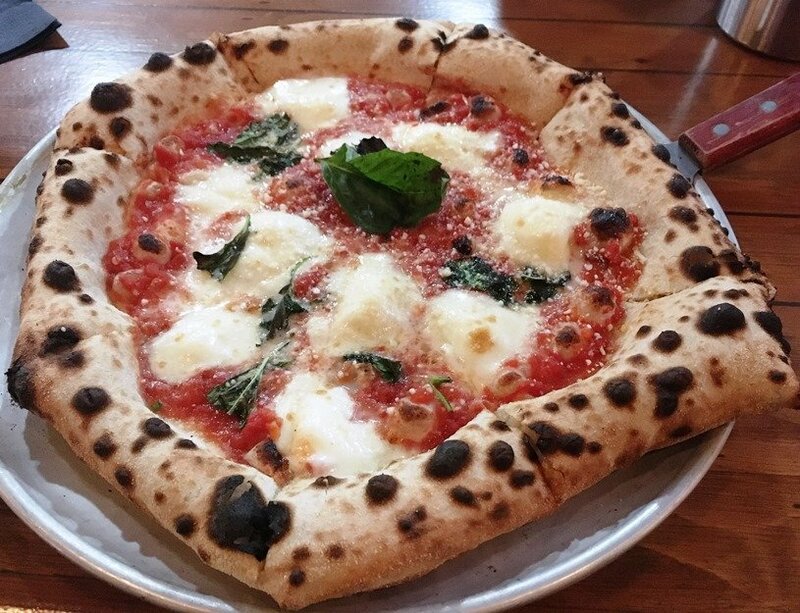 Don’t miss their fantastically crunchy Grandma pie, delectable margherita pizza or well-curated beer list. 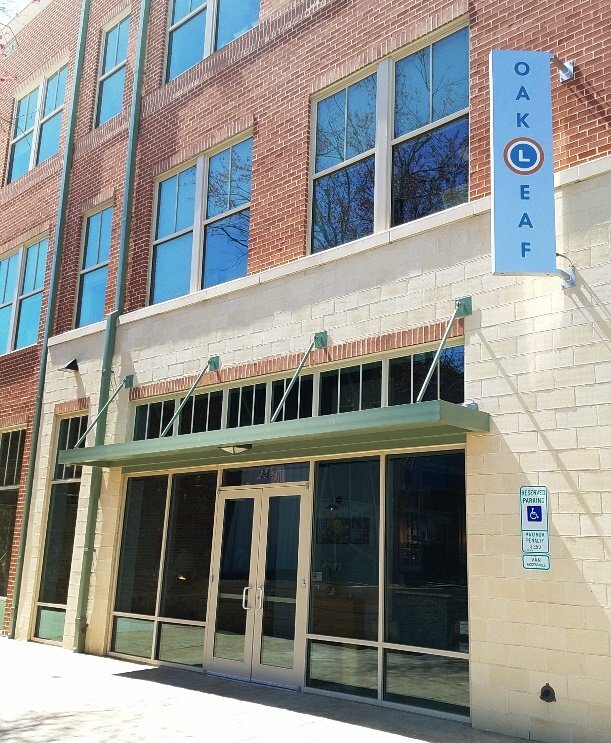 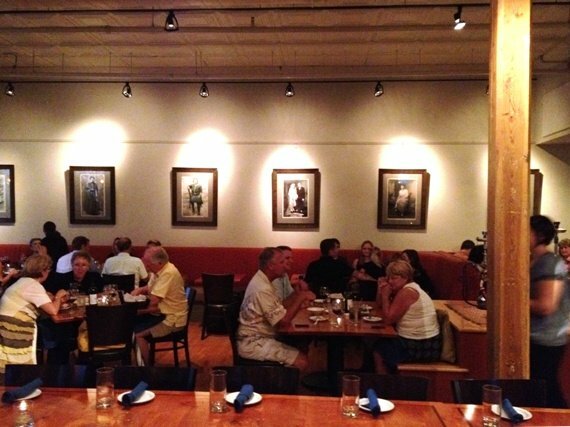 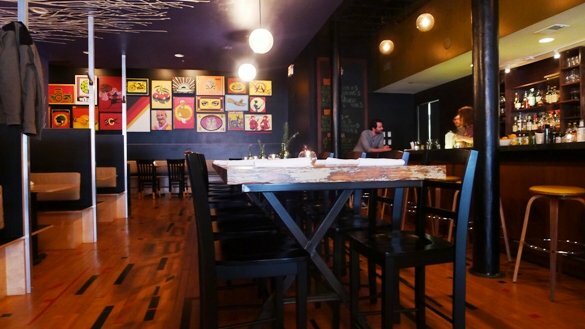 Another great dining option in Durham’s Warehouse District and affordable to boot. 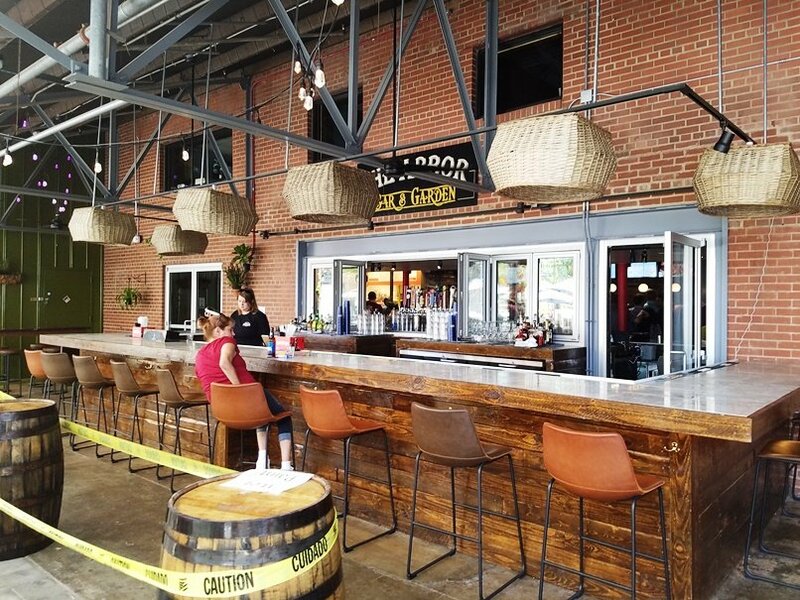 A pit-stop at Hutchins Garage is always a great idea in my book! 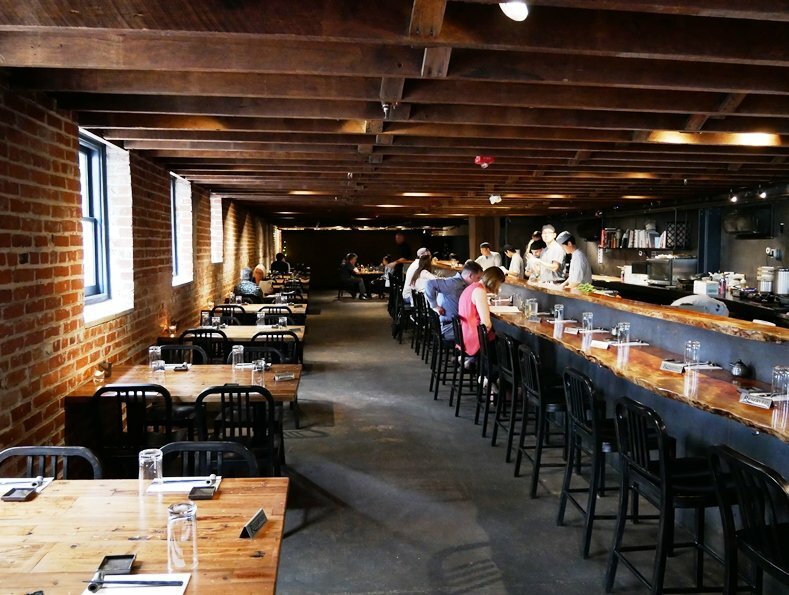 When it comes to Japanese food in Durham, look no further then Chef Mike Lee. 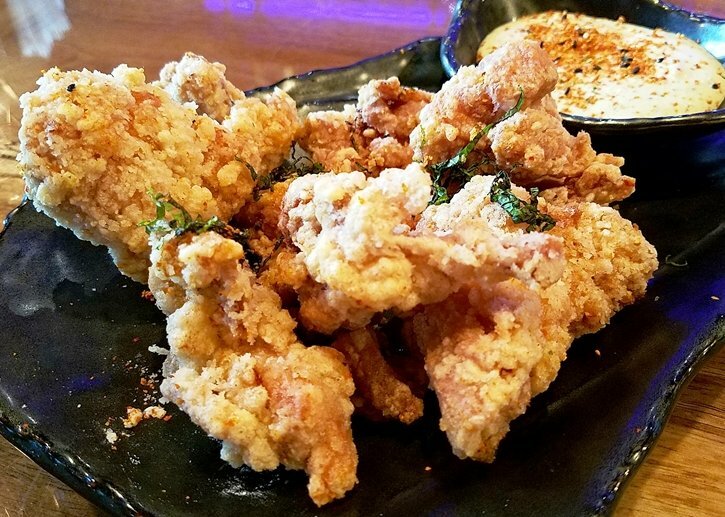 His newest restaurant entry, M Tempura, is a foray into uncharted territory for the Triangle: a classic Japanese tempura restaurant. 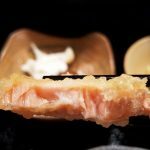 Fresh produce and proteins are battered and quickly deep-fried for your dining pleasure, a simple but fantastic preparation. 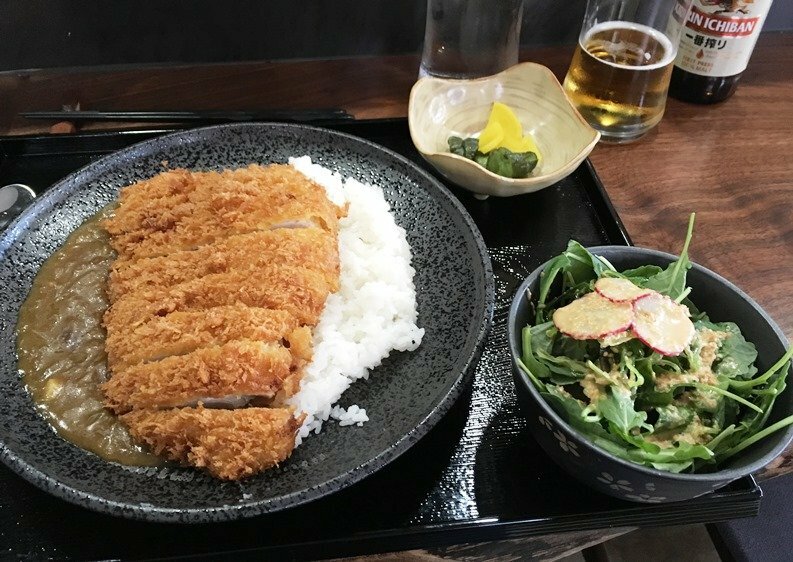 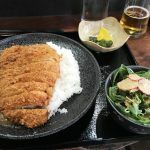 It’s a luxurious dinner experience but Chef Mike has also added a simpler lunch service focused on katsu and sandwiches. 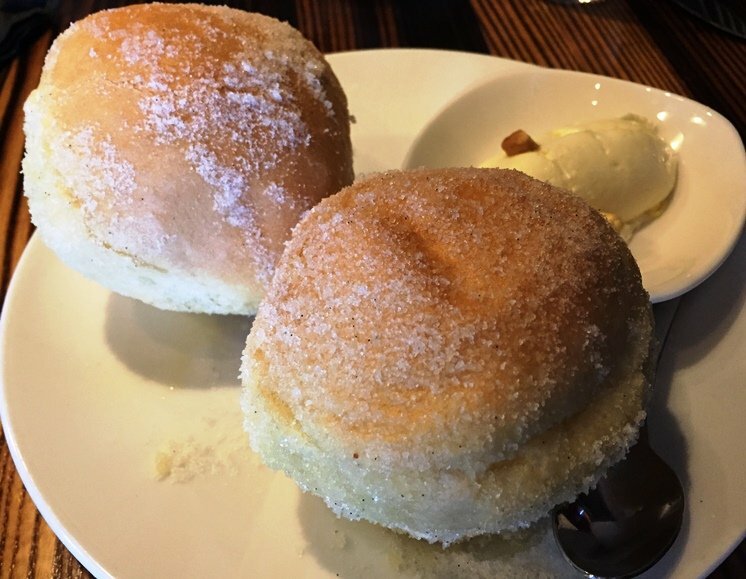 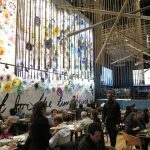 Expect more and better from the new M Tempura in 2019, M Restaurants has had a great track record over the years! 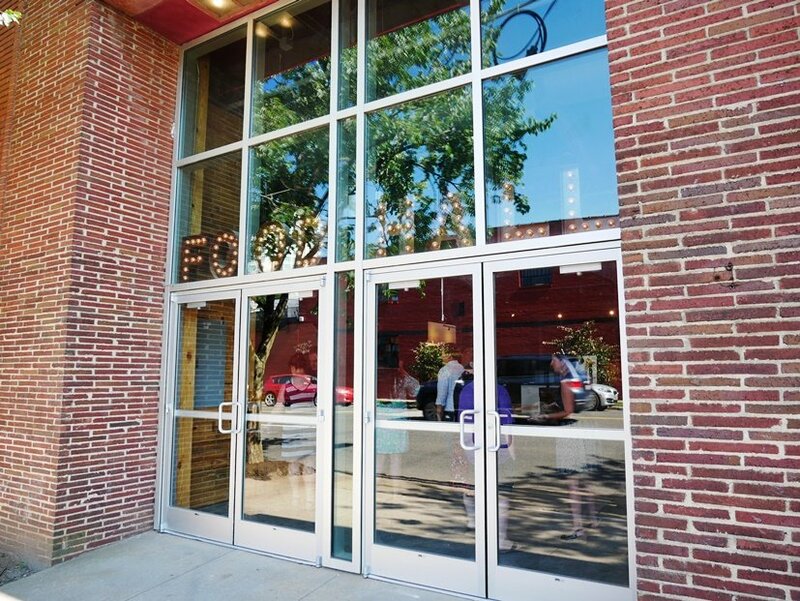 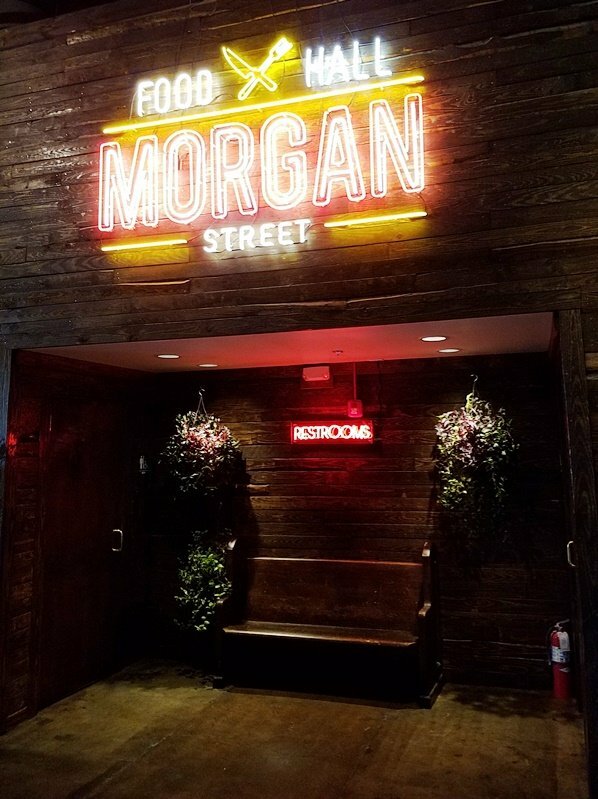 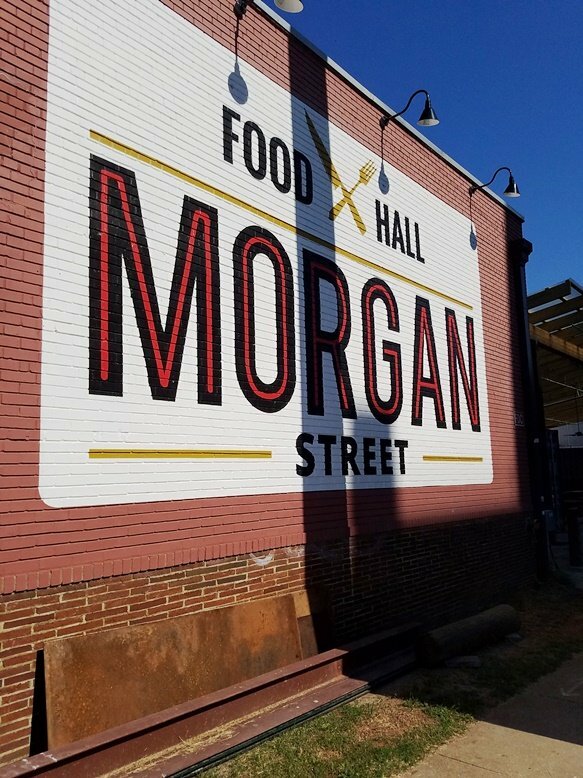 Given that Raleigh waited over a year for the delayed Morgan Street Food Hall, you know for sure that we were ready for its opening in the summer of 2018! 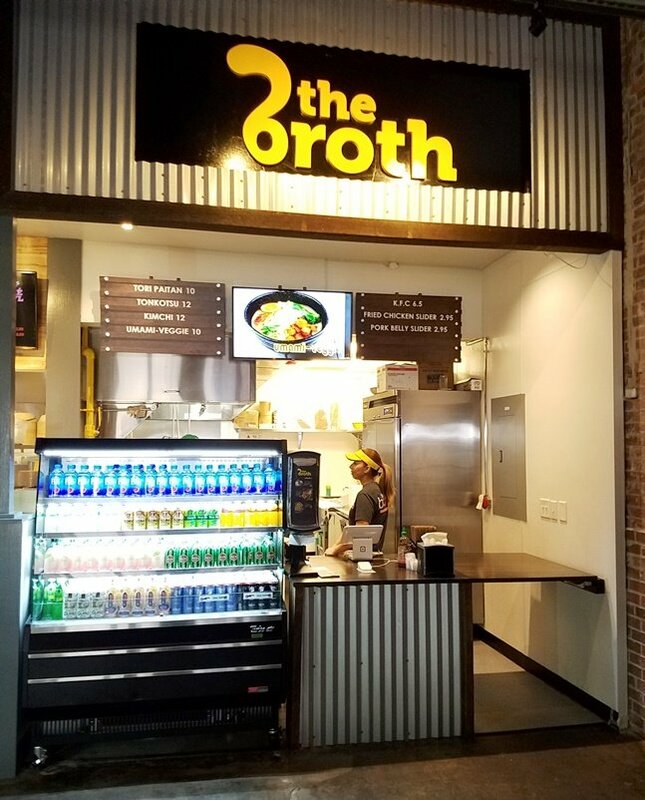 And thankfully, it did not disappoint when it finally did open, offering an array of very good eating options under one roof! 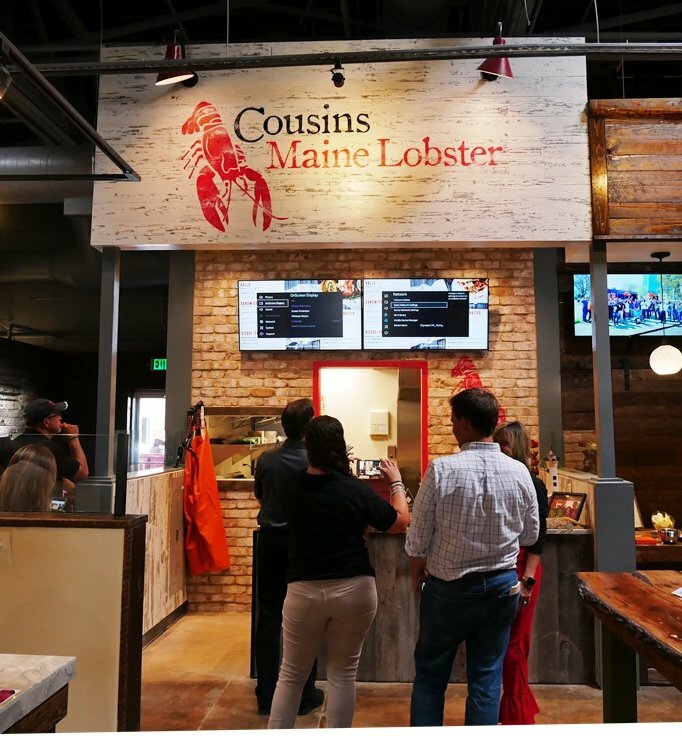 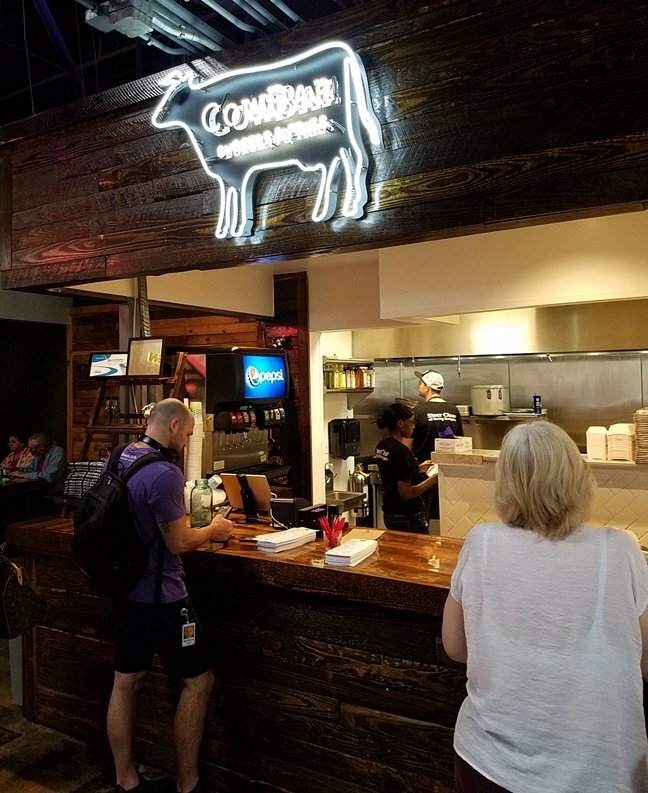 Love CowBar Burger, Cousins of Maine Lobster, Sassool Mediterranean and Carroll’s Kitchen and now can enjoy them with a beer or glass of vino from the central bar. 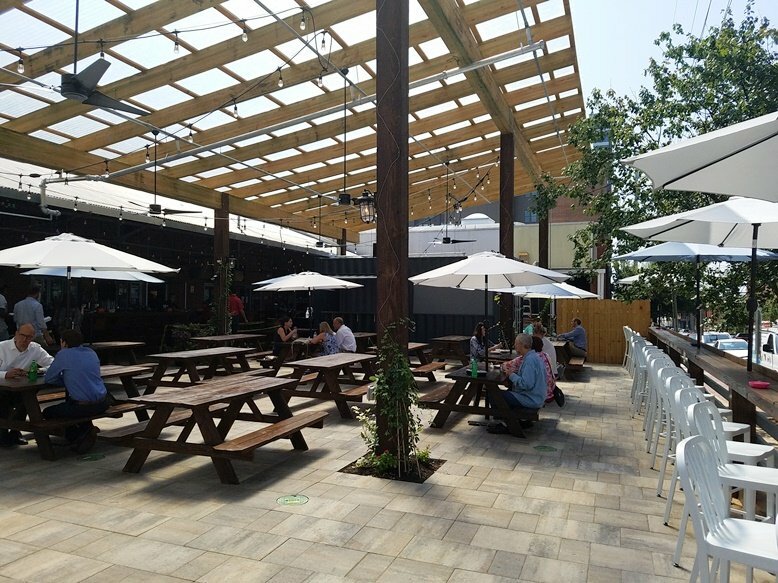 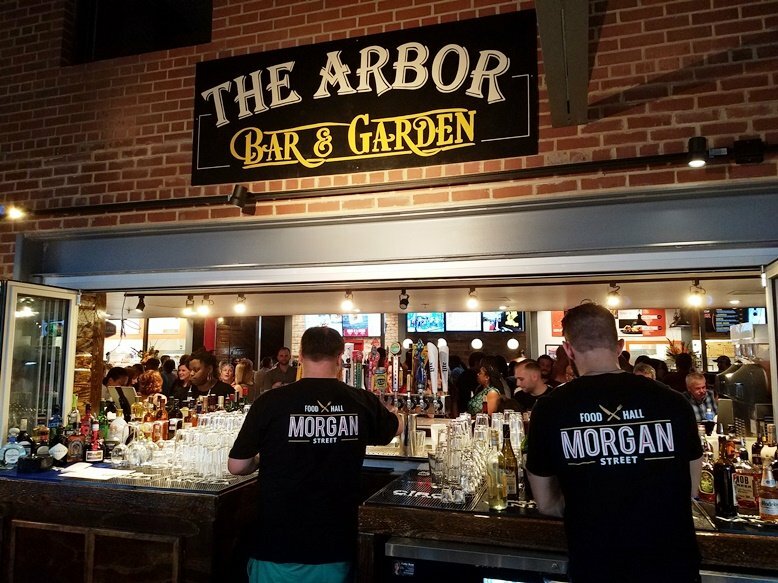 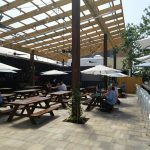 Add in the large covered patio and you’ve got yourself a great, new dining option full of mouth-watering choices in downtown Raleigh! 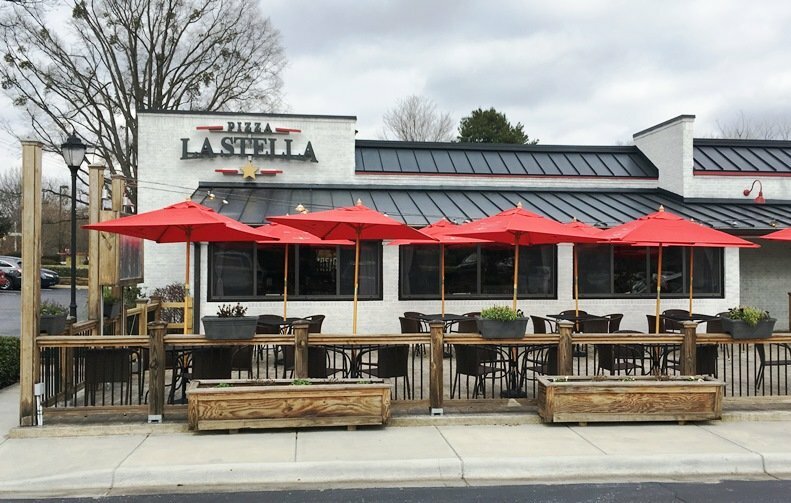 One of my bigger surprises for the year is the new Pizza La Stella in Cary. 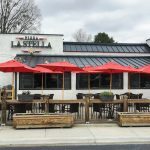 While I was familiar with the original Pizza La Stella in Raleigh, a new chef and new attitude was infused into the new Cary location. 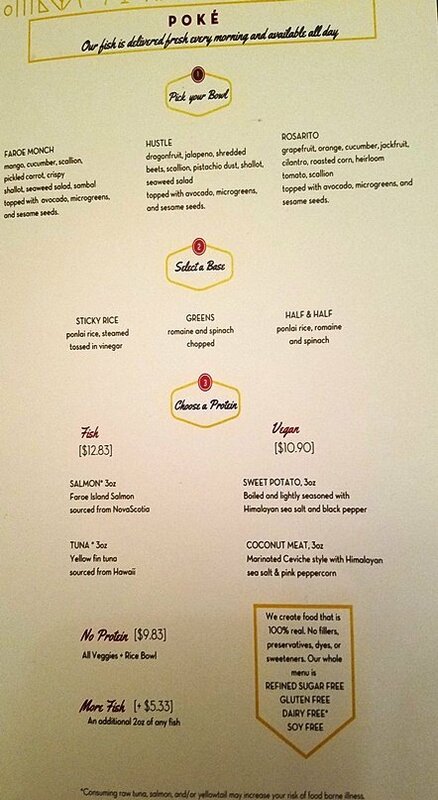 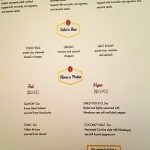 A menu of simpler items that are more authentic seems to be the mantra now. 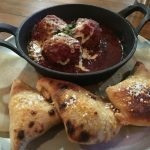 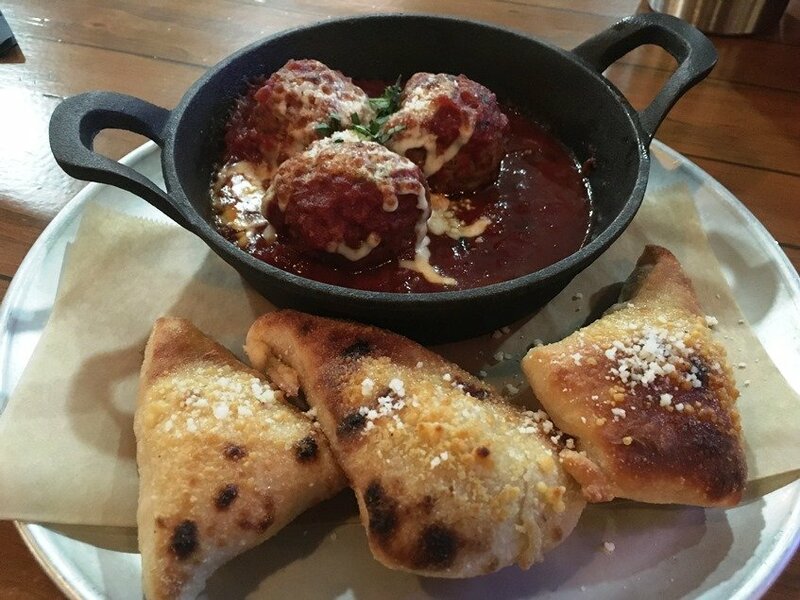 Nosh on a light Neapolitan pizza with a tender crust or some rich tomato-seared meatballs in an iron skillet, Pizza La Stella is bringing the I into Italian food for me! 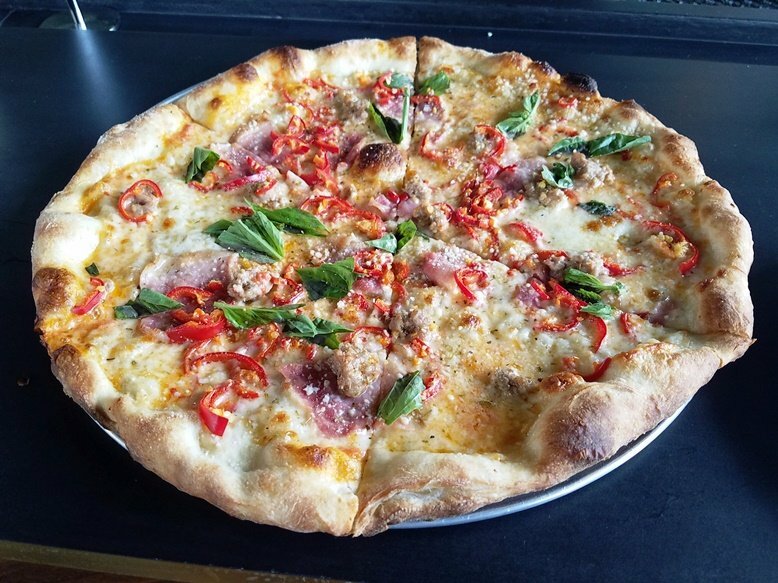 Along with a muted but stylish decor, I’m feeling that Pizza La Stella Cary is in for a good run at this busy location off Kildaire Farms Road. 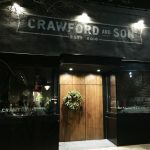 Given that Seoul 116 replaced one of my favorite restaurants (more) in 2018, I had some concerns about what this restaurant would be. 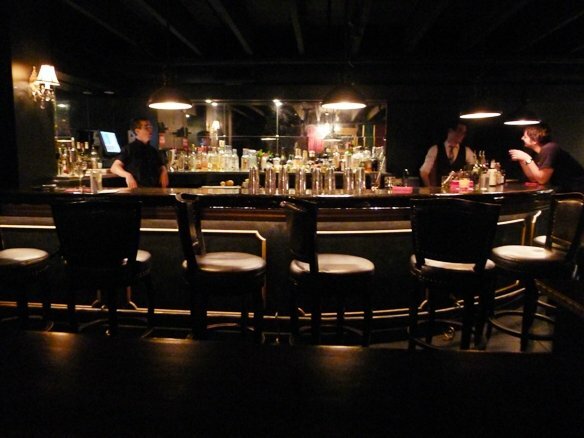 But I’ll tell you what, Seoul 116 has totally won me over. 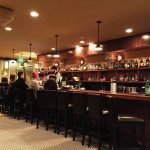 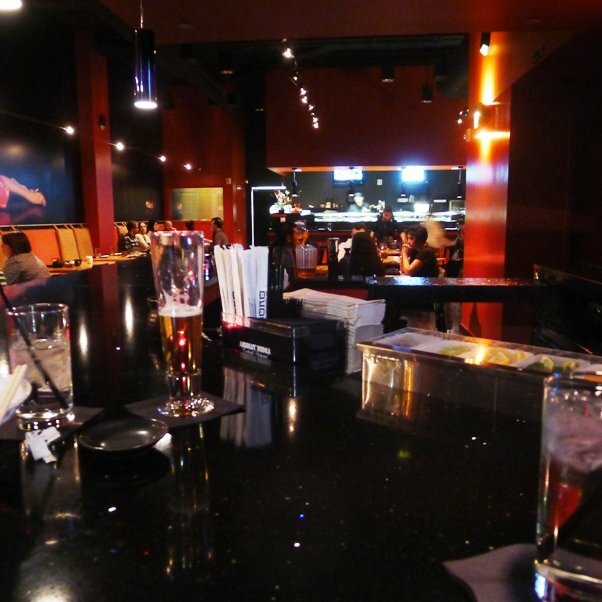 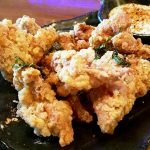 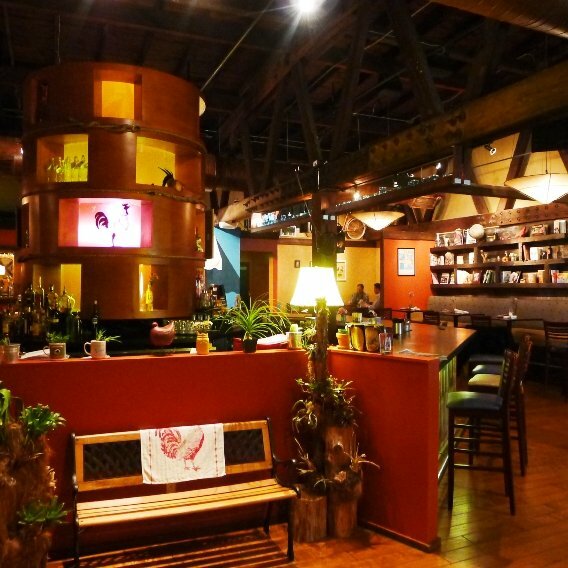 With a menu of eclectic and modern Korean small plates, I’ve always had great meals here along with excellent service. 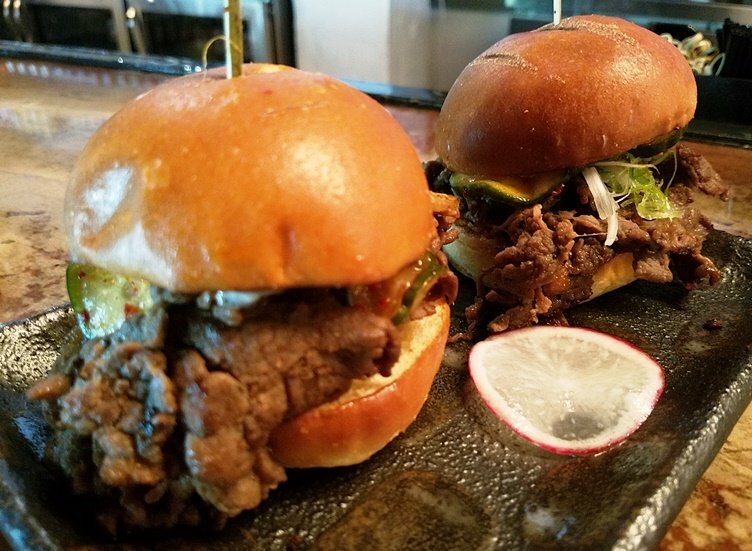 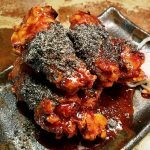 Try the bulkogi or spicy pork sliders along with the Korean Fried Chicken and truffle corn with cheese. 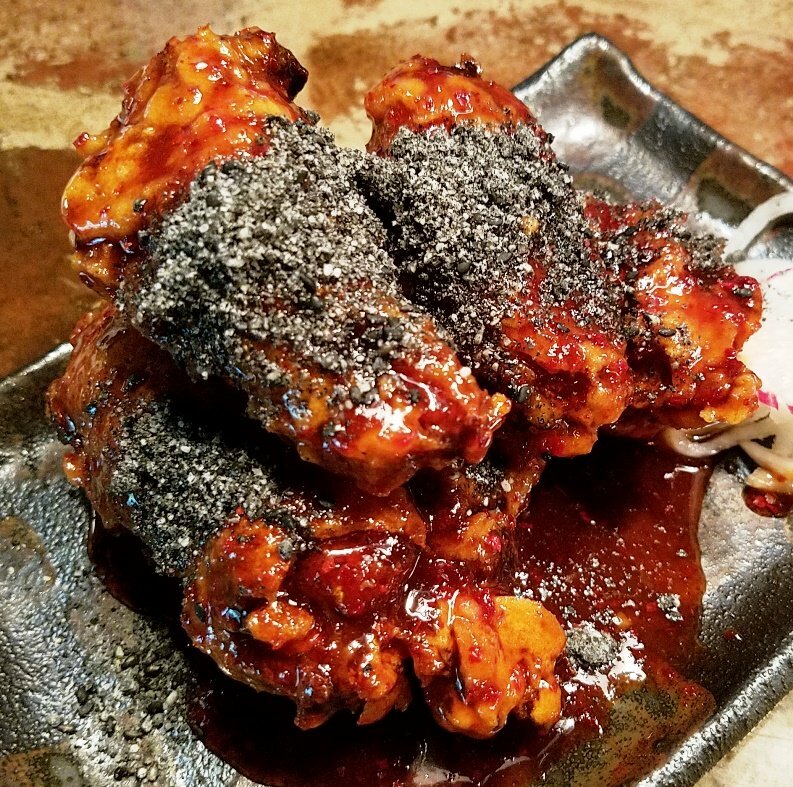 Paired with a glowing Capri Sun cocktail, Seoul 116 goes for an inventive and creative take on Asian eats! 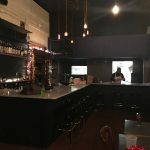 And for that, I am thankful for in 2018. 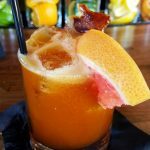 As the cocktail craze continues in the Triangle, it was only a matter of time before it hit Cary! 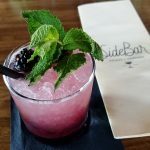 And SideBar has really amped up expectations in downtown Cary with an amazing combination of ambiance, service and superb cocktails. 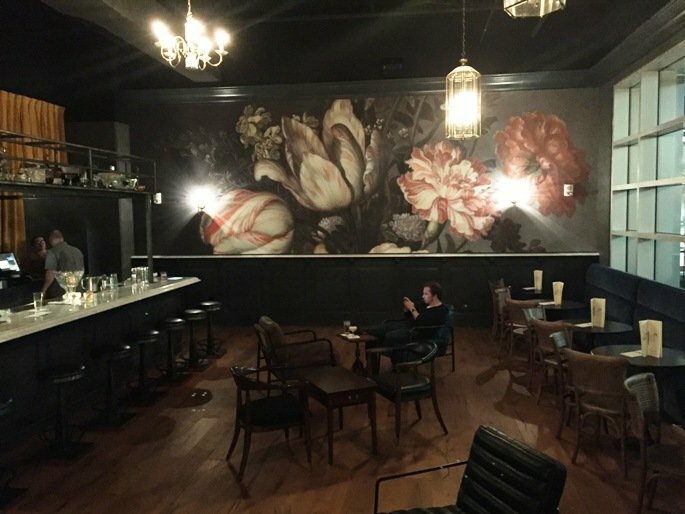 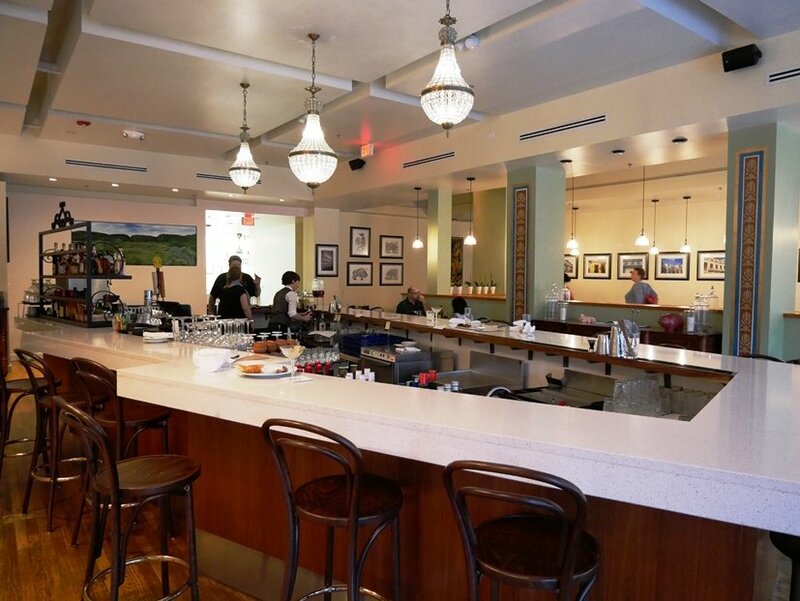 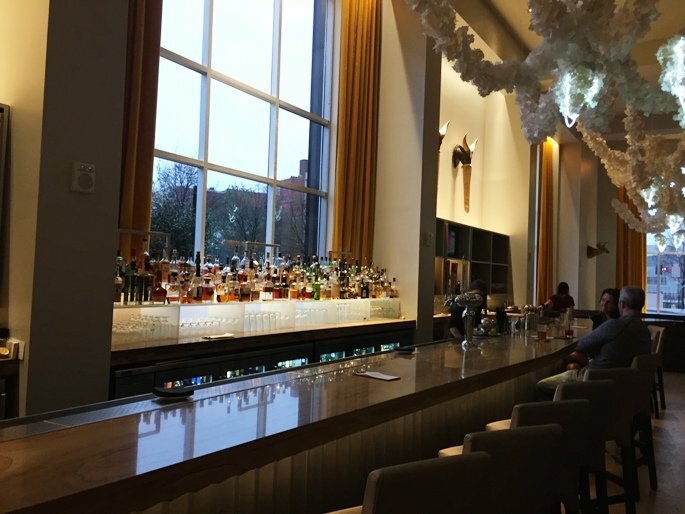 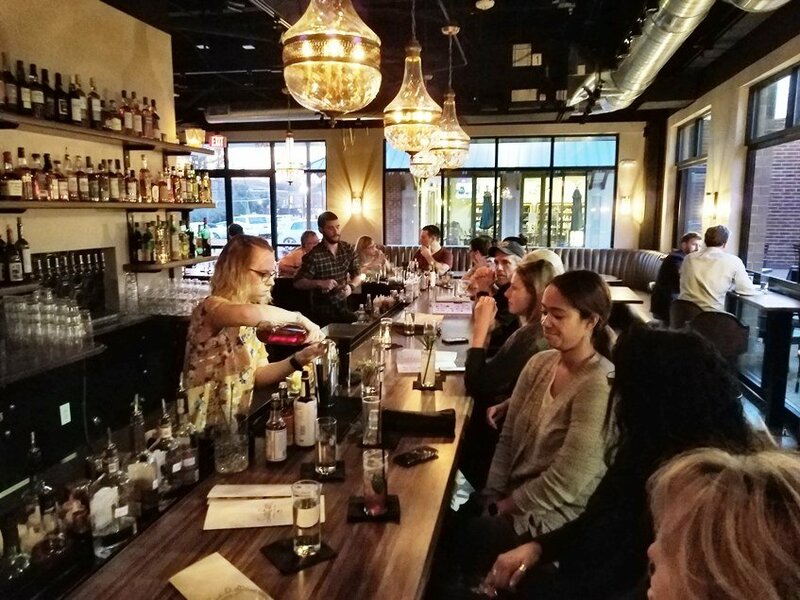 Co-owner Matthew Bettinger (previously at C. Grace in Raleigh) has brought his mixology skills to a sophisticated bar that combines speak-easy sensibilities in a more modern and bright location. 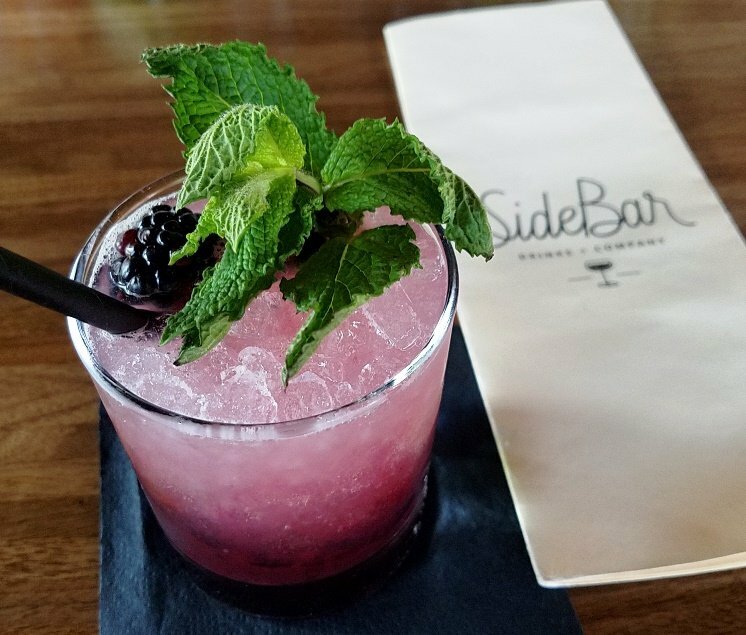 I don’t often make special trips to visit Cary but when I do, SideBar is usually in the mix for Sunday Funday! 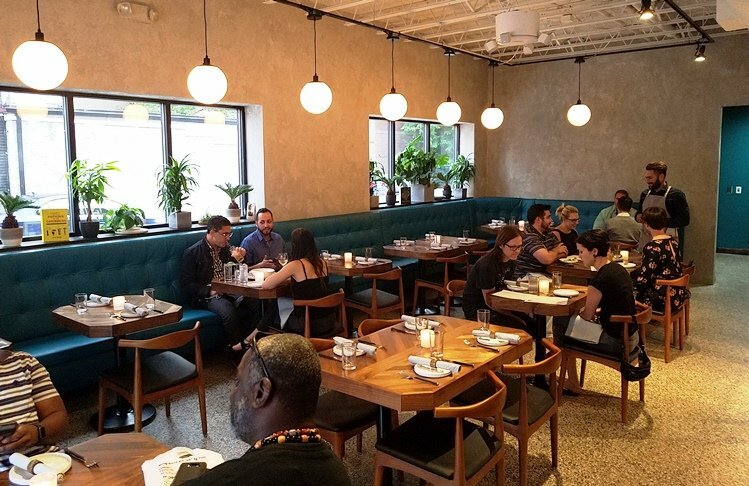 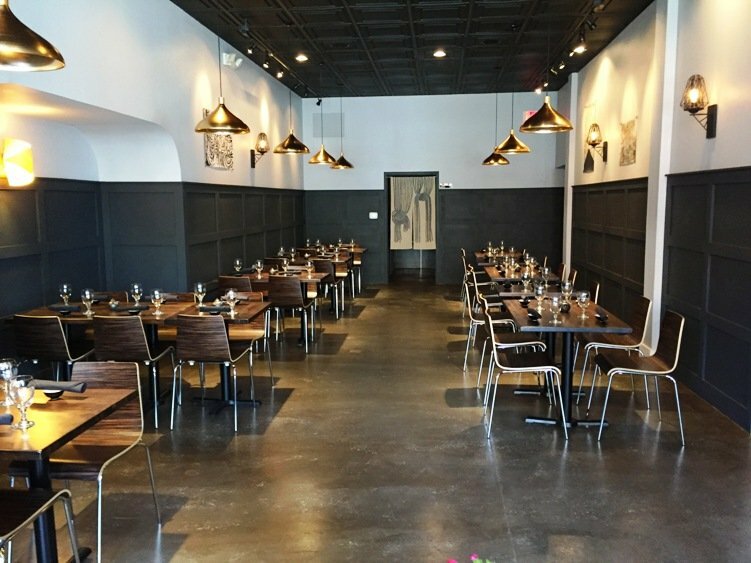 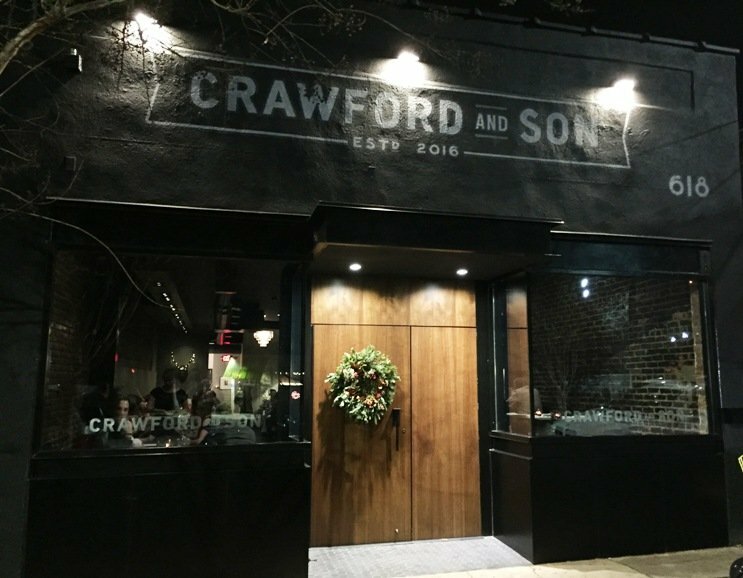 A late edition to my best of 2018 list, I was blown away by the sleek decor and excellent sushi served up at this inconspicuous Hillsborough Street location. 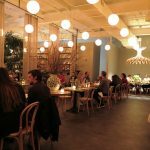 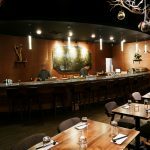 North Carolina sourced wood tables, polished granite wall installation and a live moss wall hanging make for a beautiful and wonderfully designed space to enjoy your dinner. 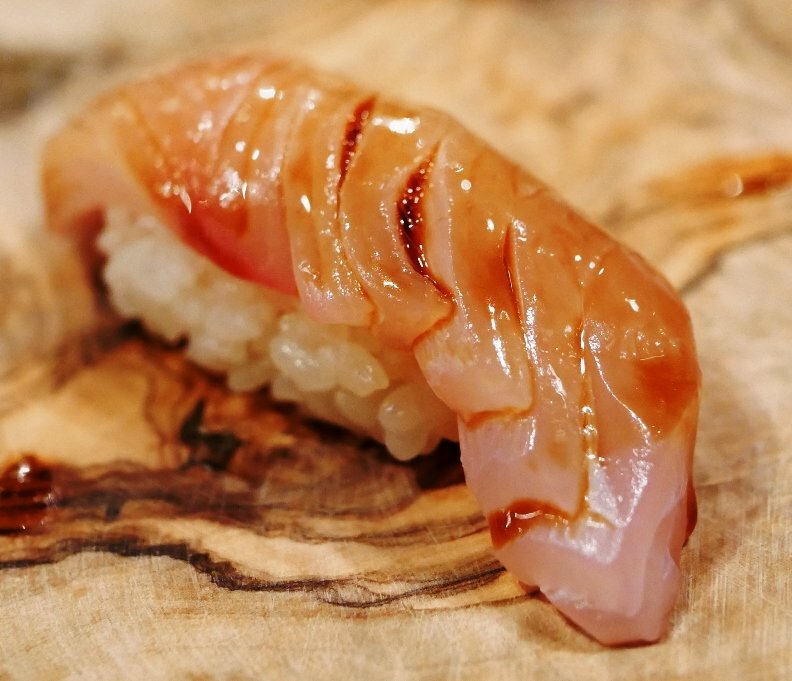 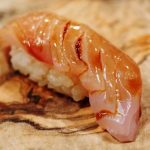 But it all would not work out without the exceptional talent of Chef Tom offering up fresh fish on Sushi Mon’s nigiri along with some creative toppings. 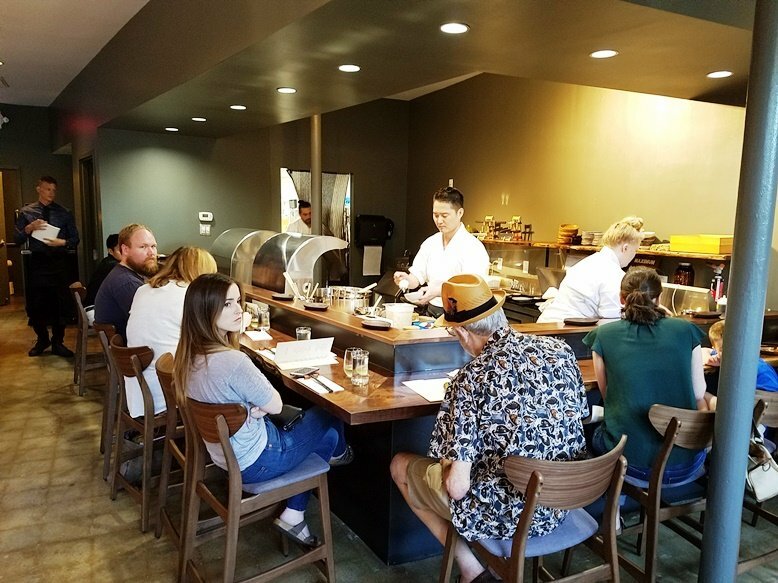 Love the delicious simplicity of the space and menu, don’t miss out on Sushi Mon if you’re a fan of Japanese eats in Raleigh! 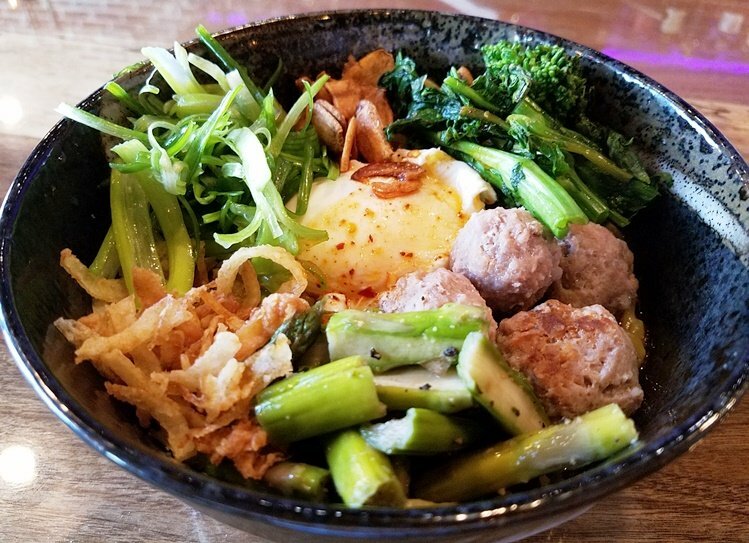 Over on Wilmington Street, you’ll find the wonderful Tonbo Ramen! 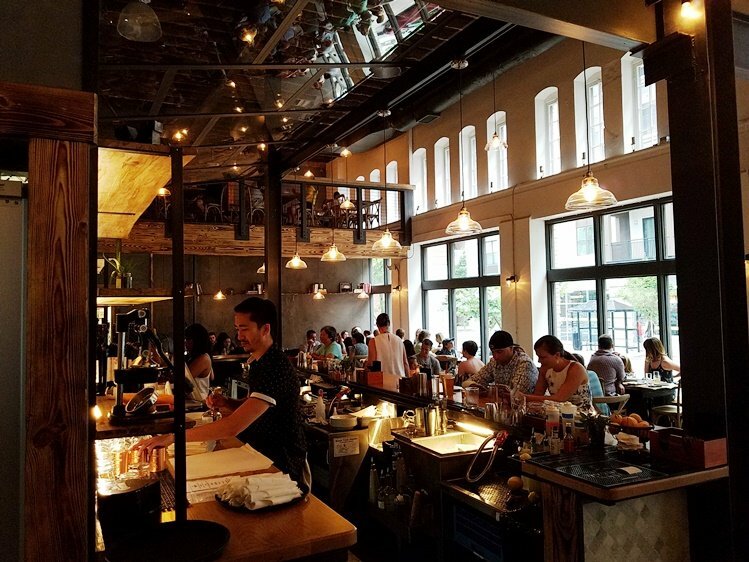 Built with a classic ramen house design, you’ll find them ladling out large bowls of steaming ramen downstairs while the upstairs offers up Japanese small plates (and ramen) in a sexier setting. 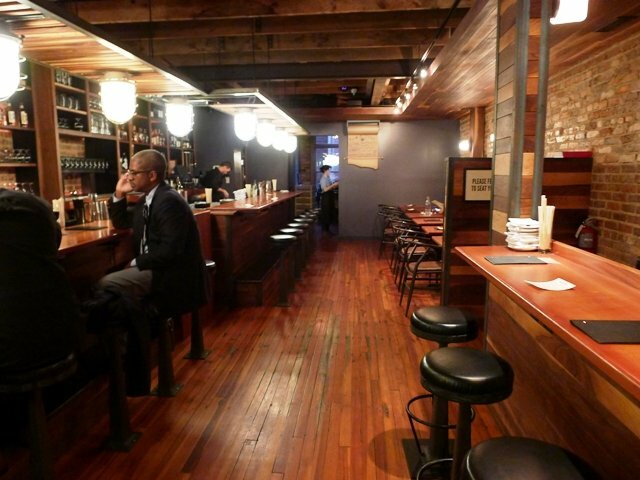 I prefer eating upstairs where you can choose from tonkotsu ramen, mazemen (dry ramen), chicken karaage and shrimp buns. 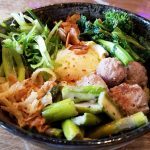 The food at Tonbo is always flavorful and affordable which makes it a hidden gem in my mind. 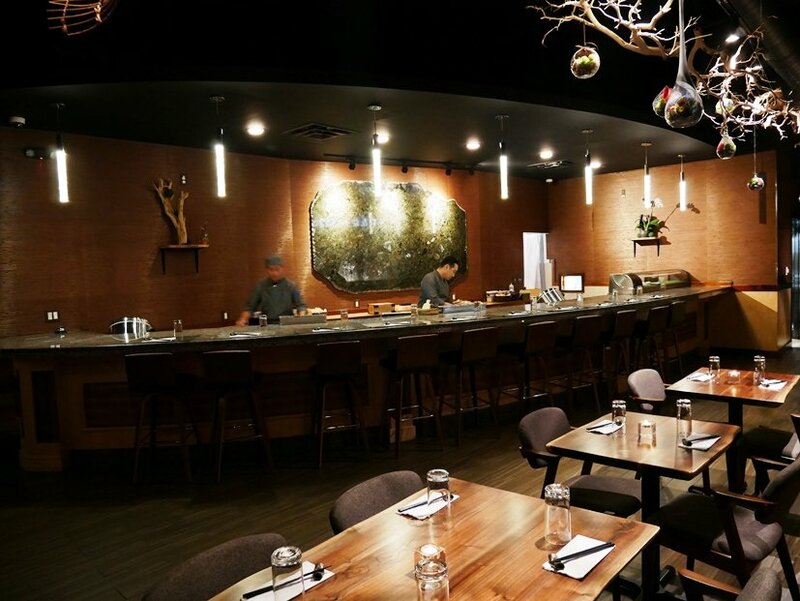 There may be other spots for ramen, but not many doing it as well as Tonbo. 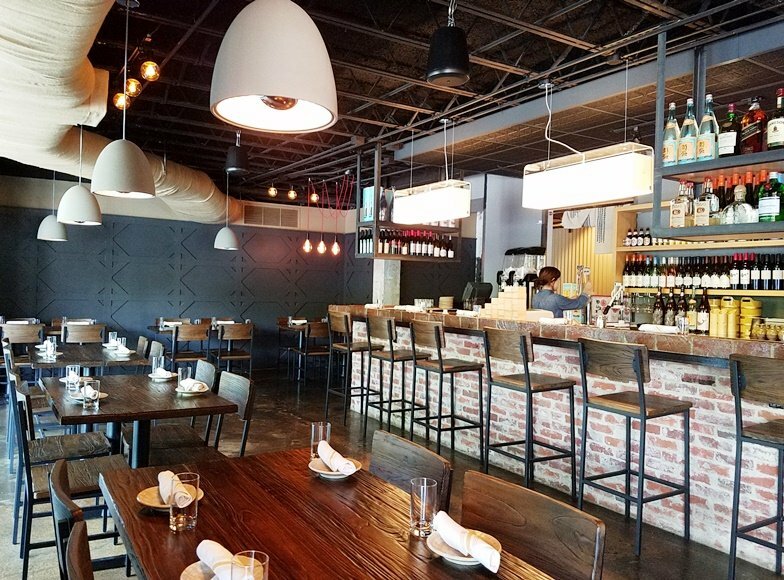 Last up on my best of 2018 list is Vita Vite Midtown over in North Hills! 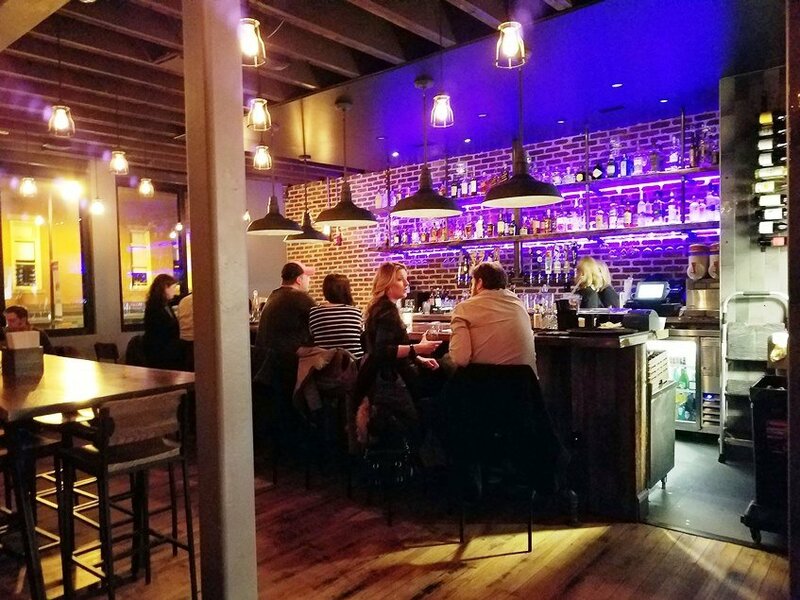 I love the design and space at this very modern wine bar and I think it takes the appeal of the original Vita Vite but broadens it to a wider audience. 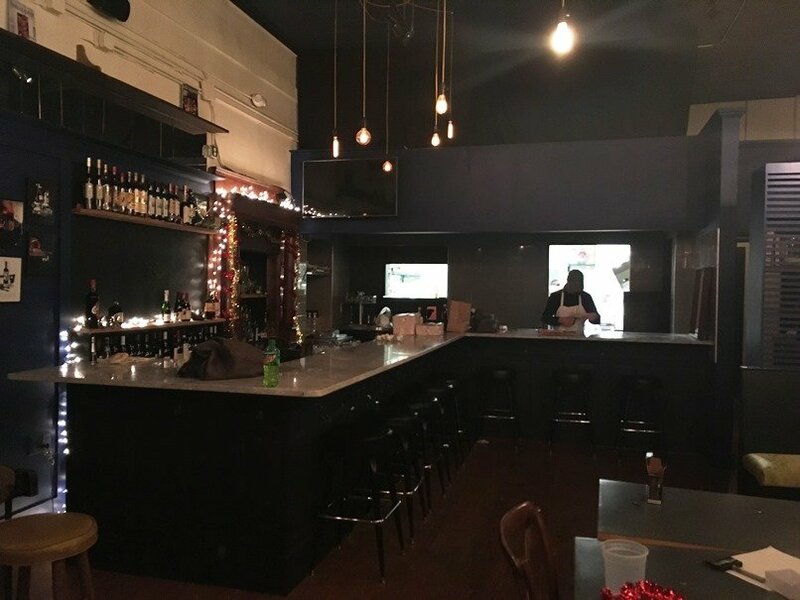 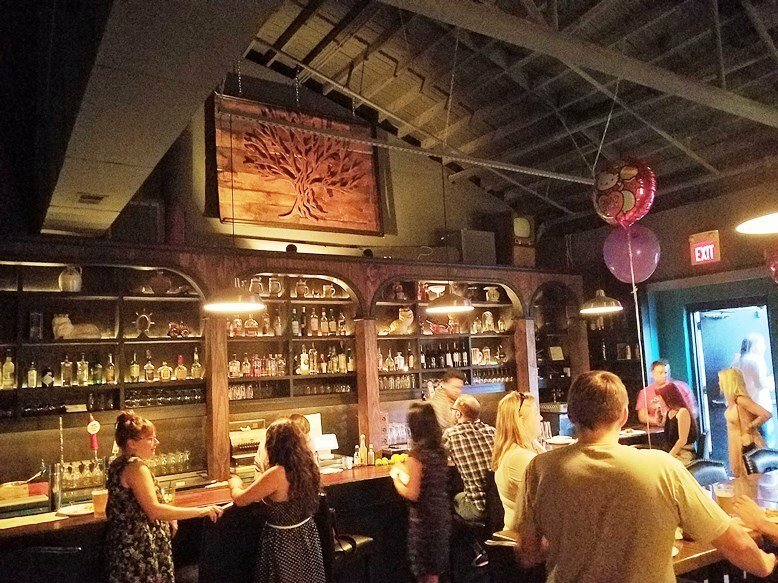 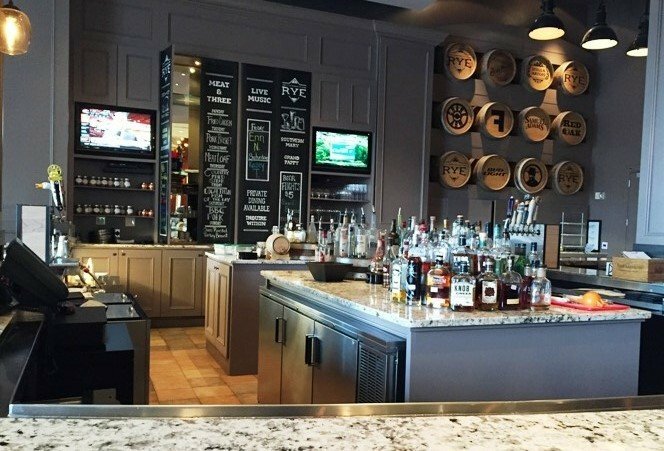 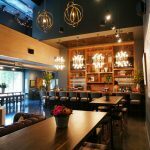 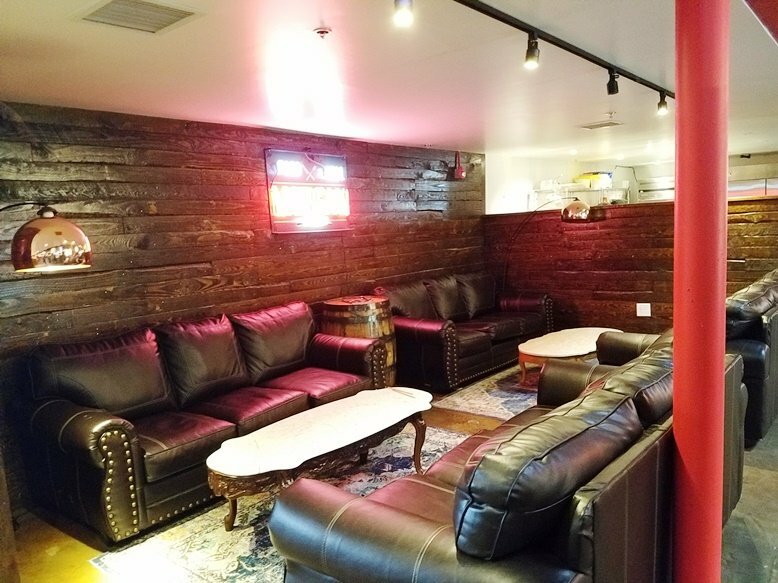 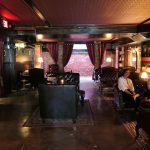 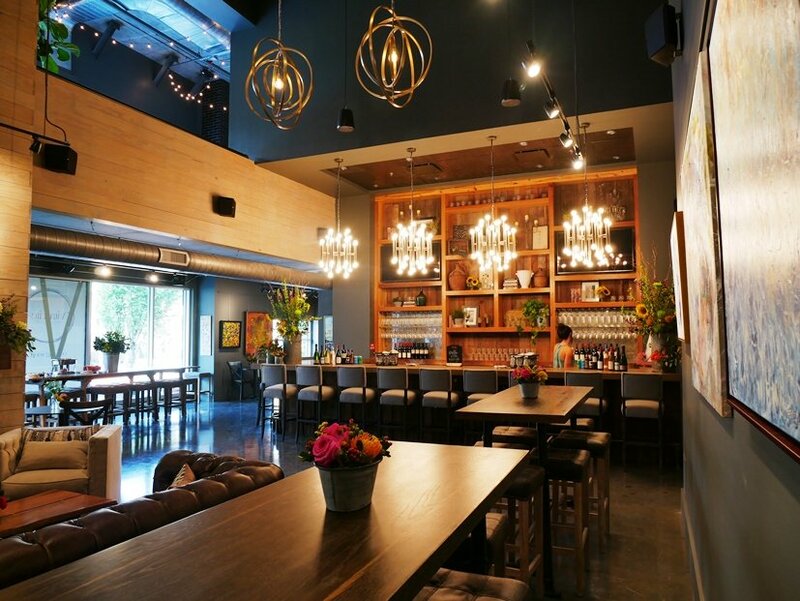 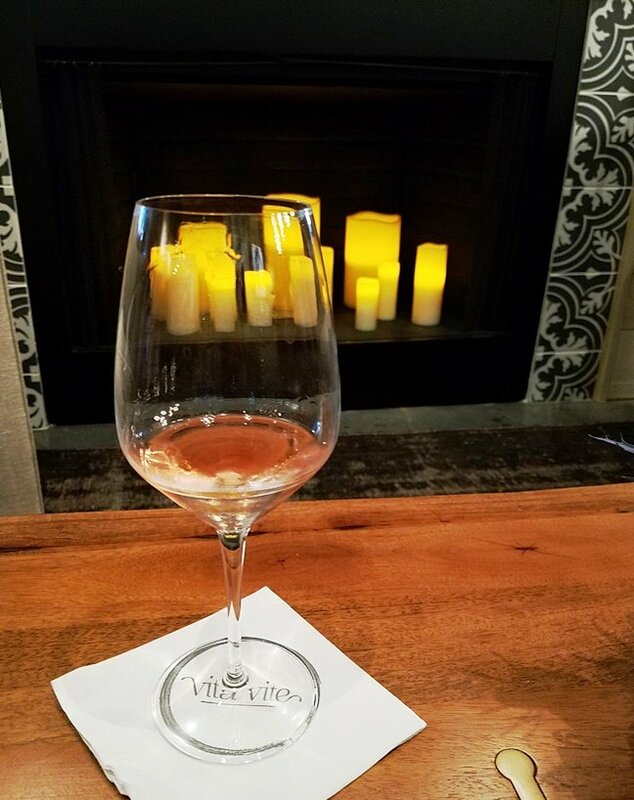 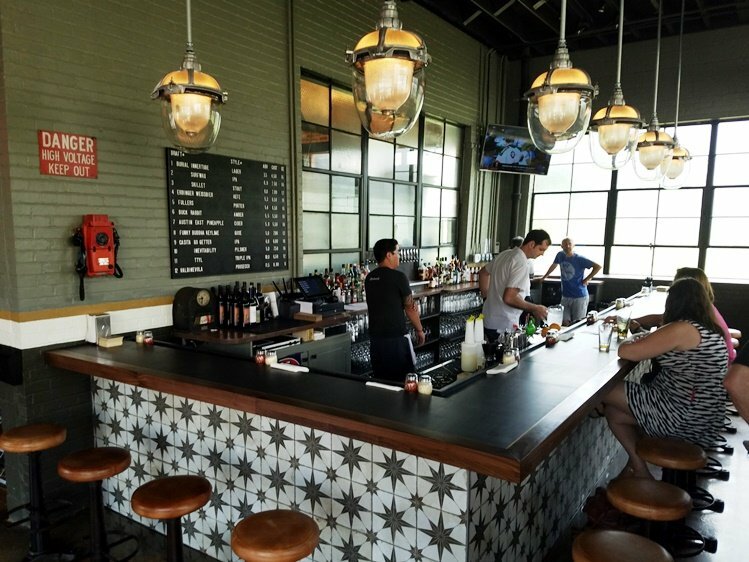 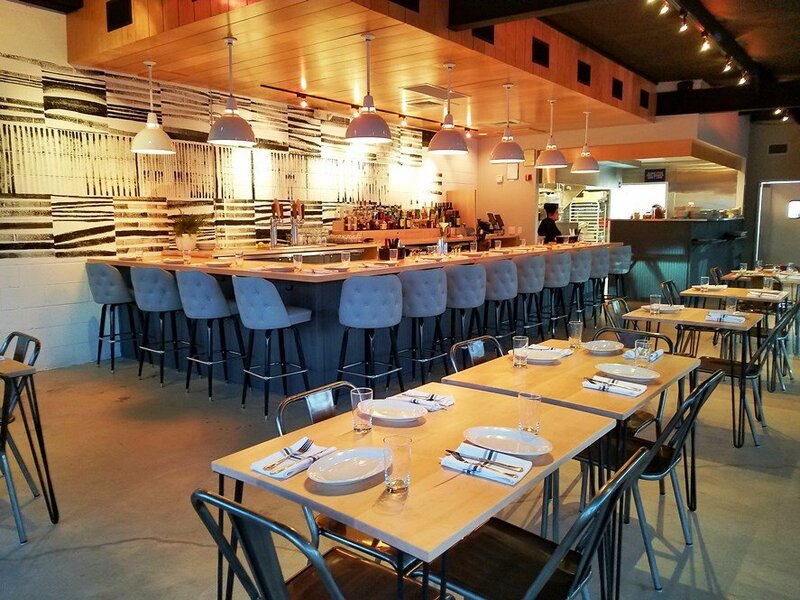 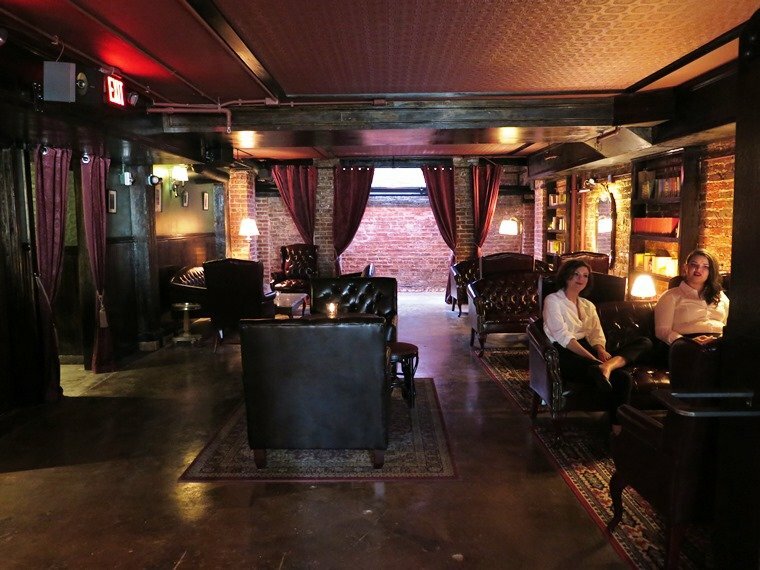 With two bars, stellar interior design and art, wrap-around views and a nice outdoor patio, Vita Vite Midtown is a wonderful spot for a date, glass of wine with friends or girls night out! 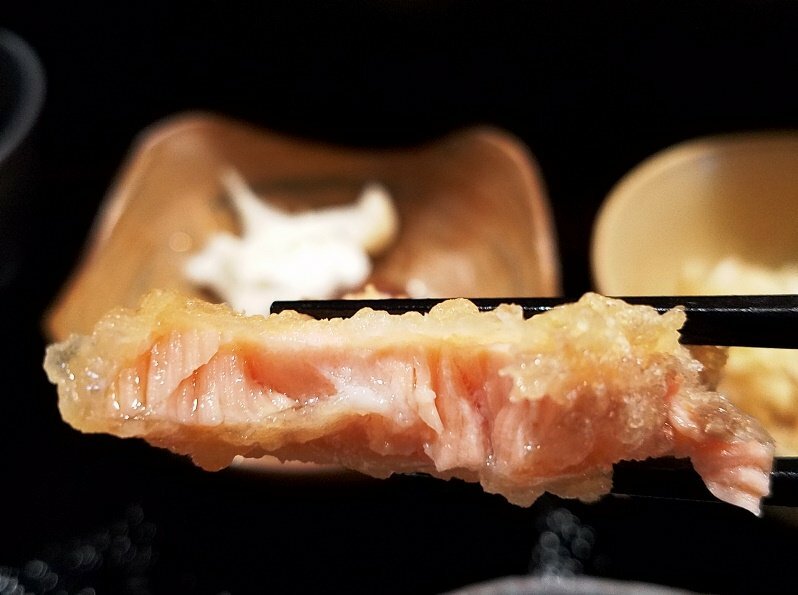 As it is every year, it was so hard to cut this Best of 2018 list down to ten finalists. 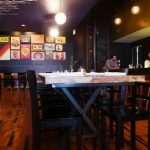 So honorable mentions go out to Cha House in Chapel Hill; COPA, Cucciolo Osteria and the Wine Feed in Durham along with Heirloom Brewshop in Raleigh. 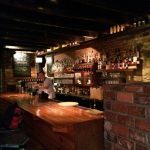 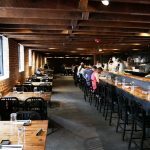 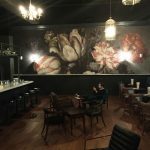 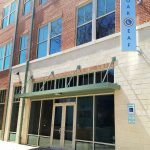 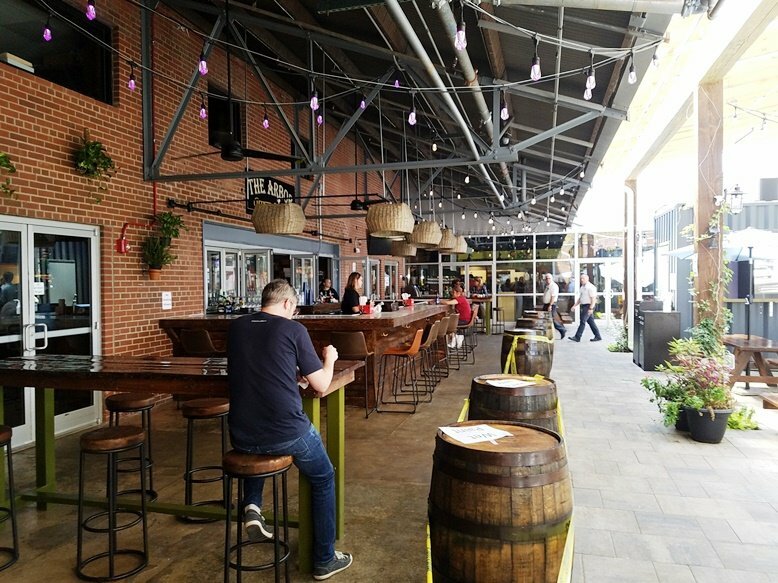 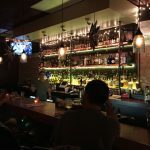 While I thought this year’s list was a bit Raleigh-heavy, I’m hoping we get more from the Bull City in 2019; Boxcar Bar and Arcade is a great start! 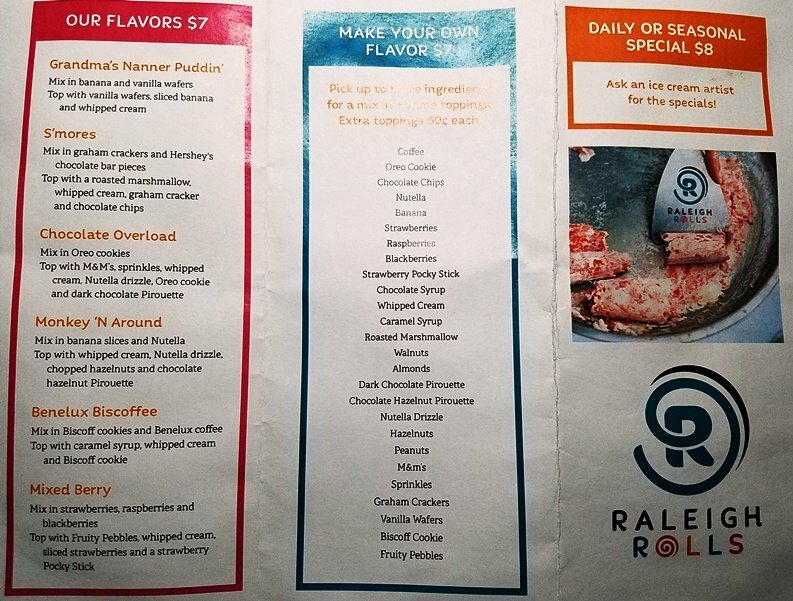 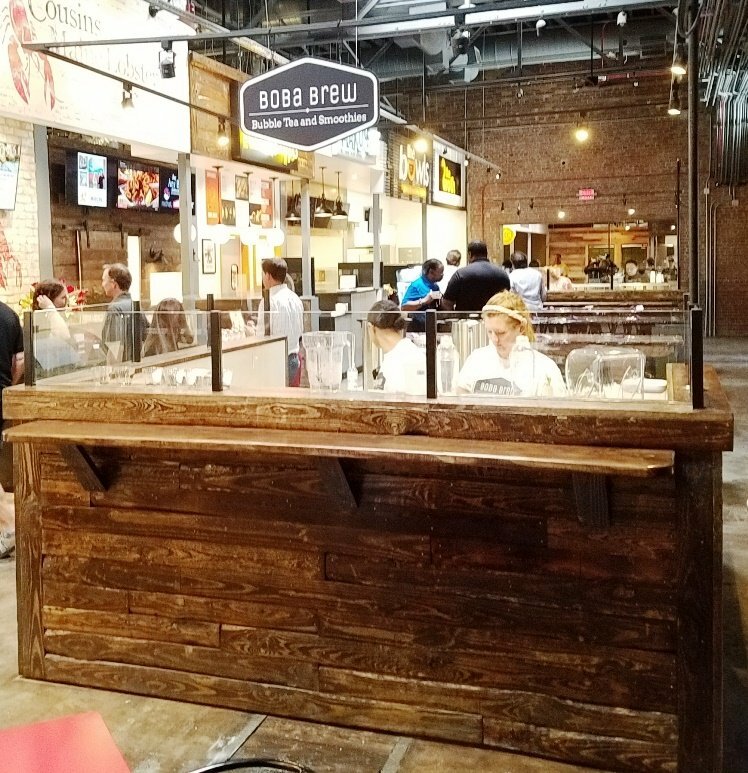 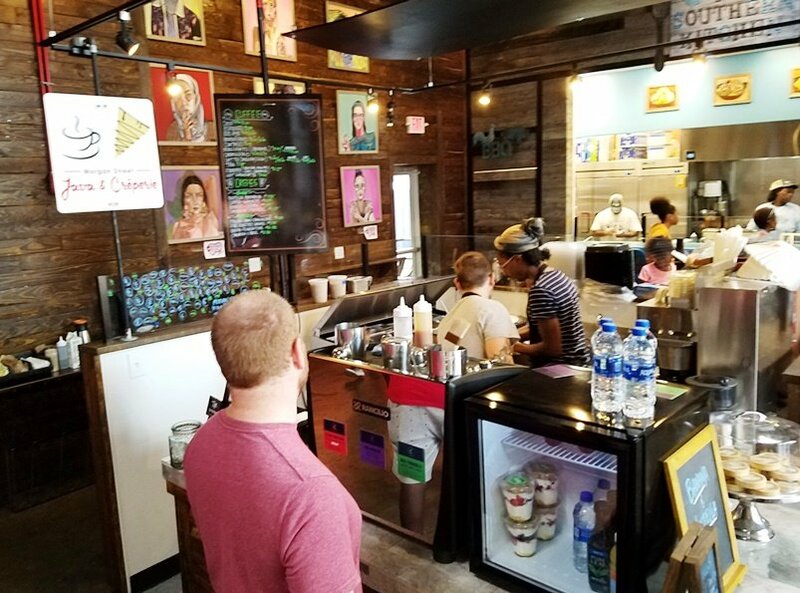 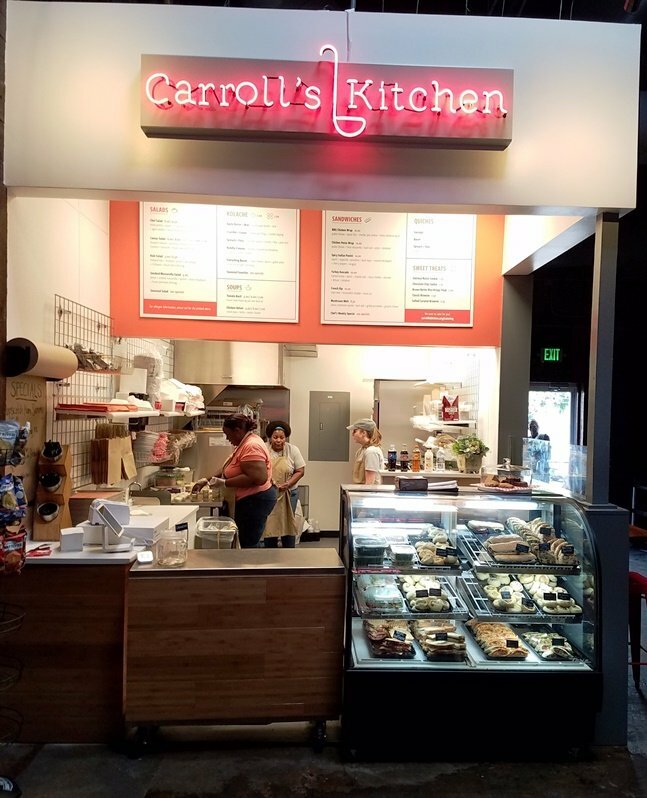 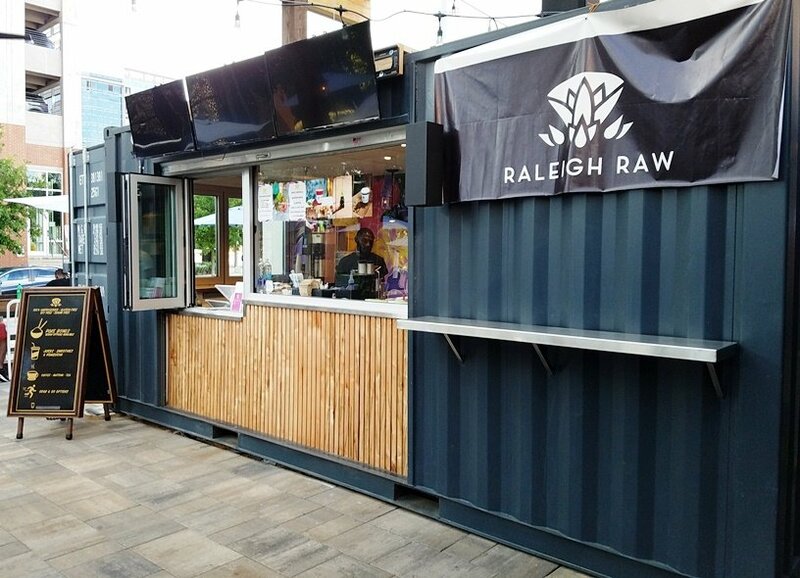 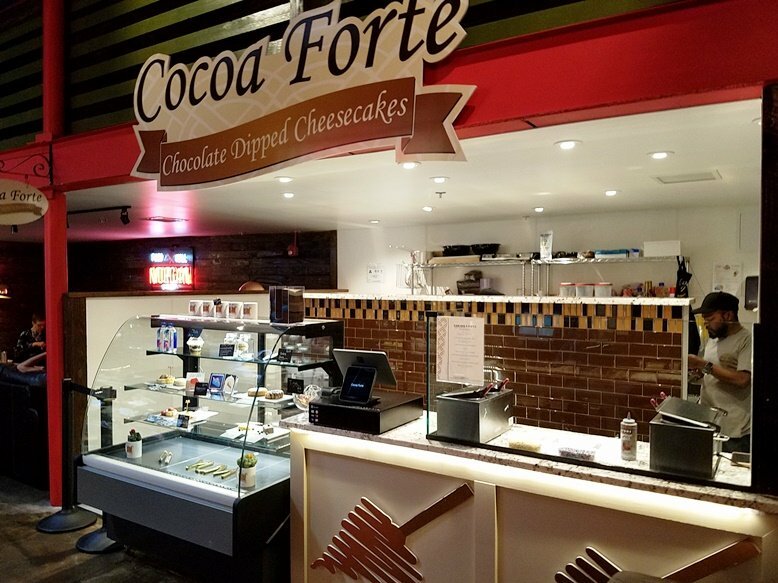 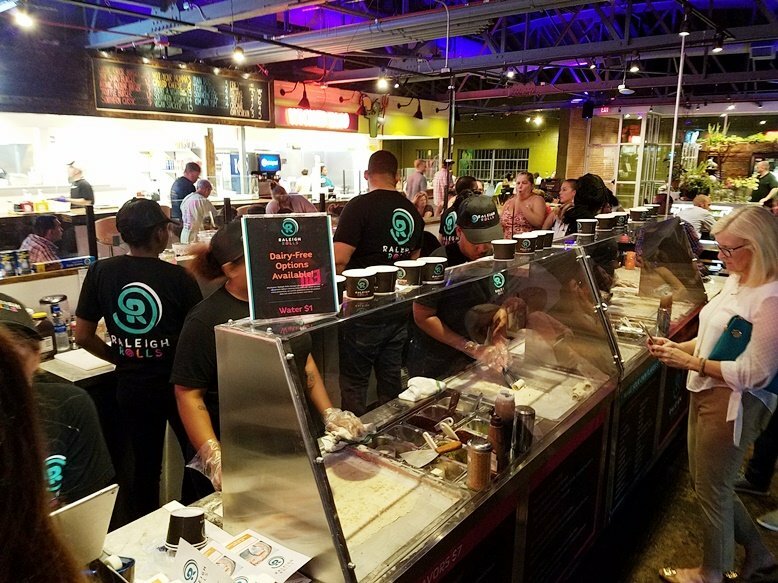 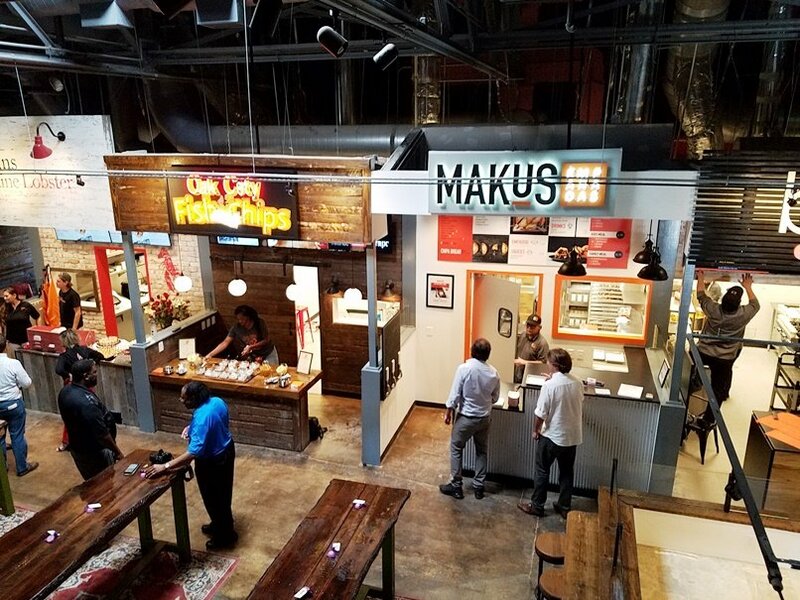 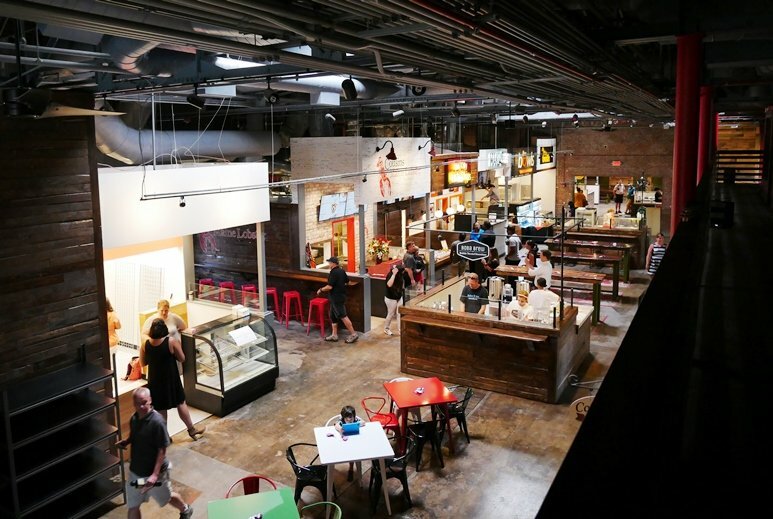 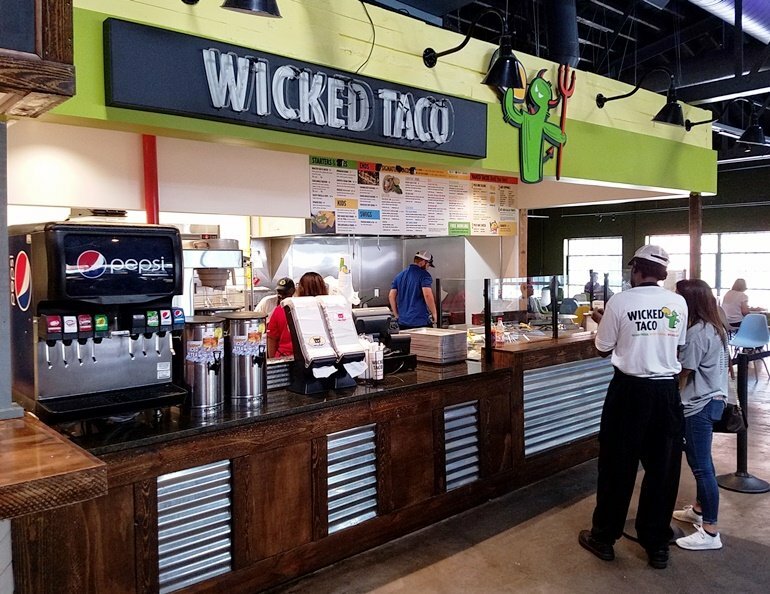 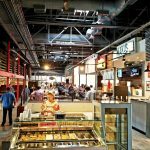 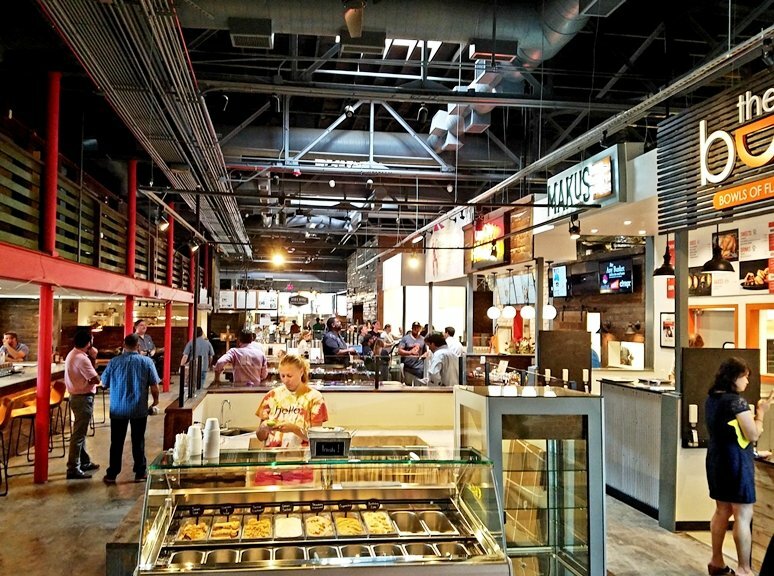 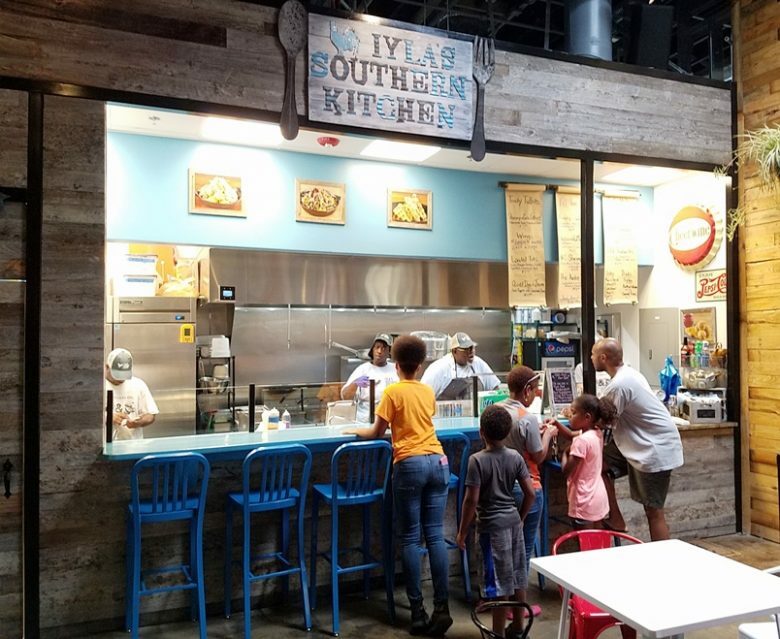 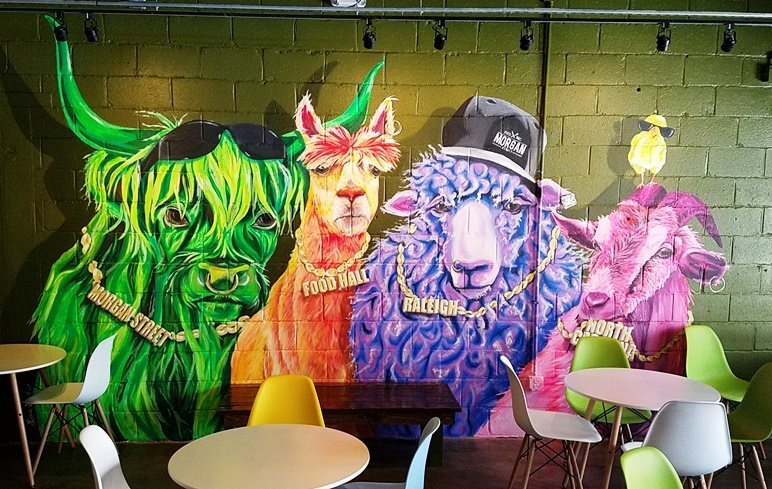 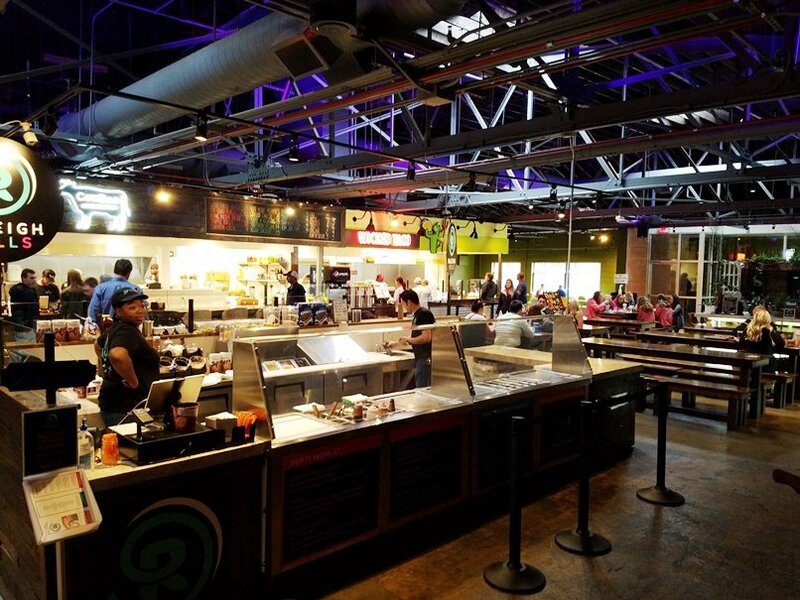 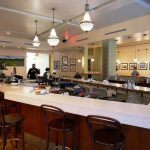 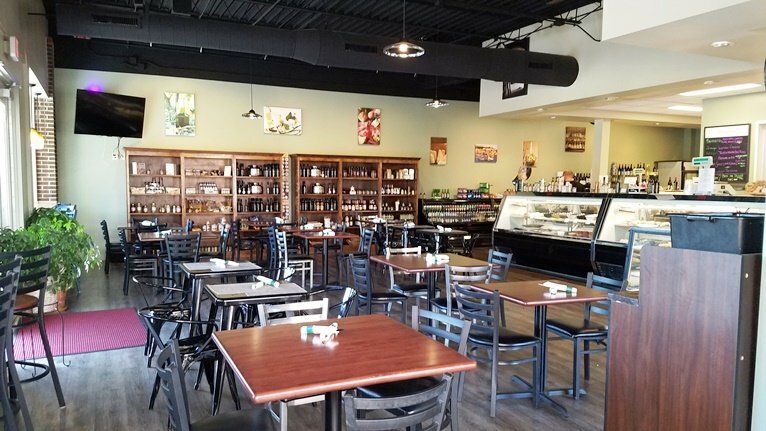 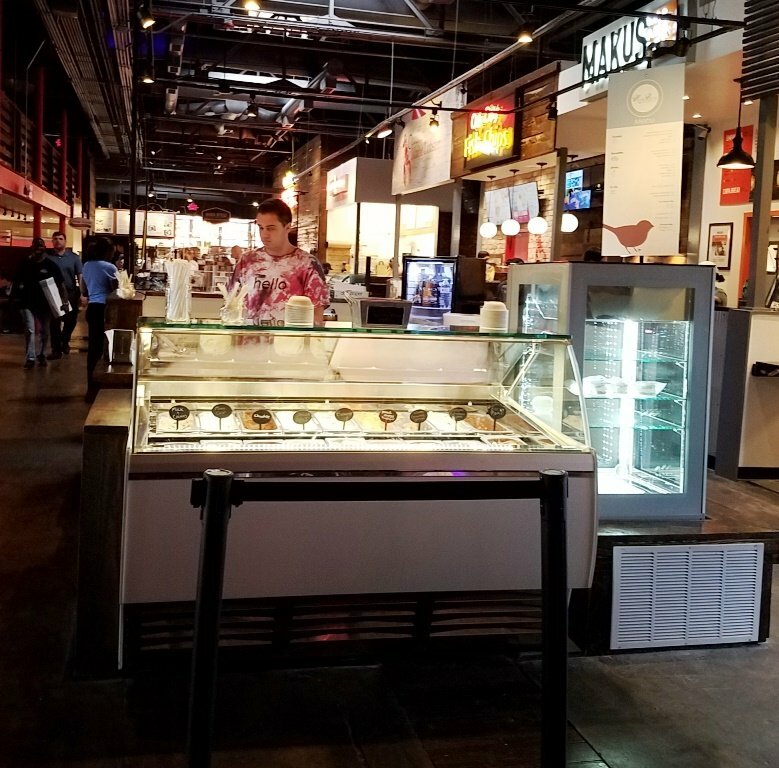 I’m also looking forward to Transfer Co. Food Hall filling out its vendor list along with great barbeque from Sam Jones in Raleigh, Kingfisher Lounge in Durham and the Cat Tales Cat Cafe in Chapel Hill. 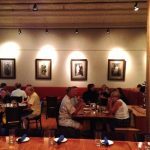 Keep up with the latest and greatest at my web pages below. 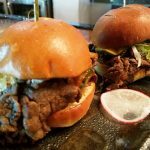 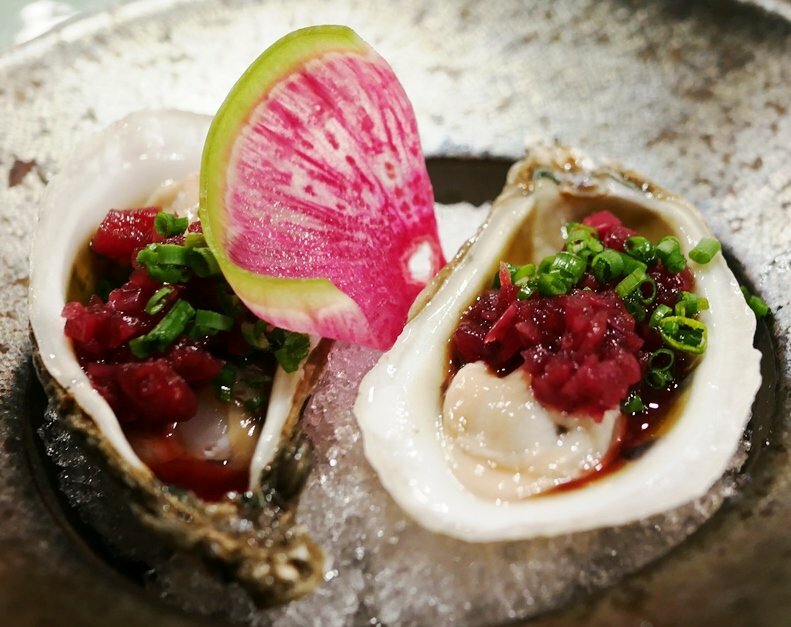 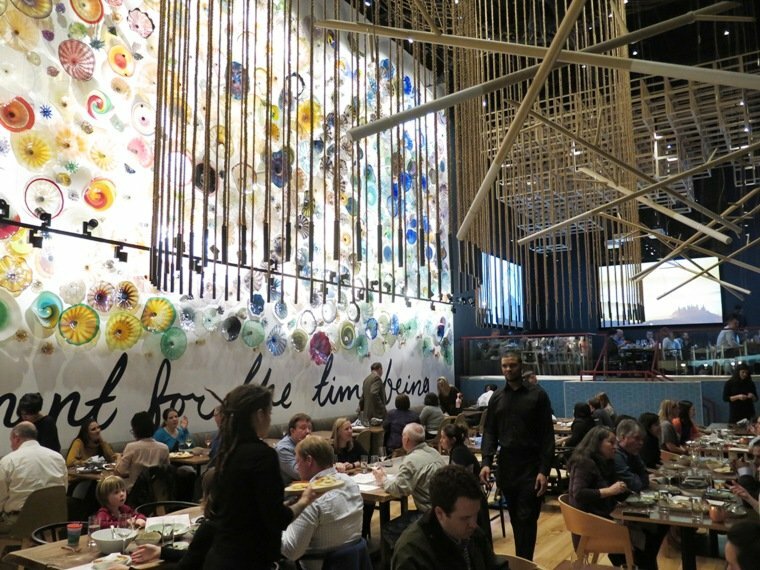 I hope you enjoyed my best new restaurants and bars list for 2018 and I hope you’re as excited as I am about what 2019 will bring to the Triangle! 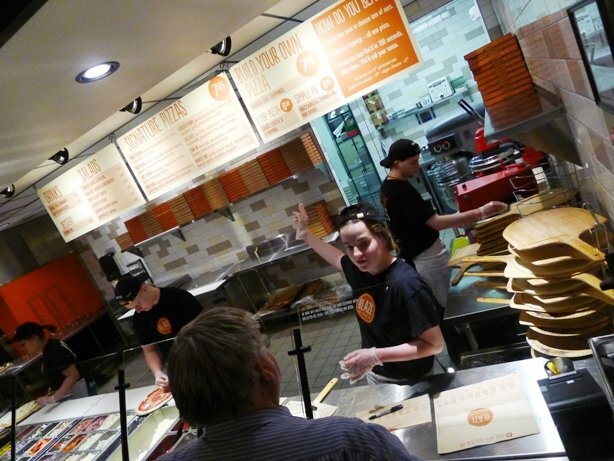 Pizza Wars: Blaze vs Your Pie vs Mod Pizza vs Pieology for Build Your Own Pizza in the Triangle! 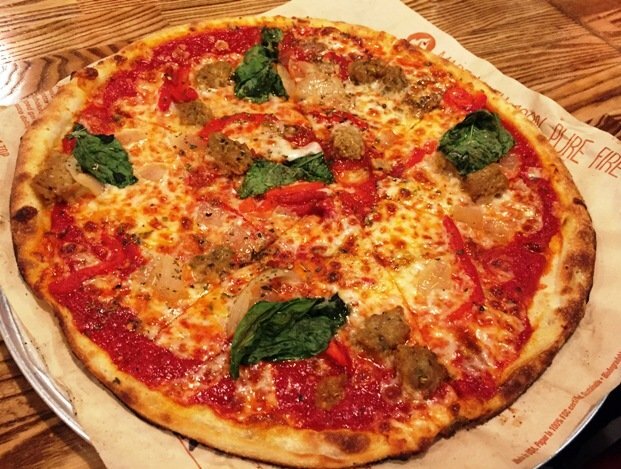 The grand-daddy of the BYOP pizza joints tin the Triangle, Blaze Pizza offers up Neapolitan-style pies in a blink of the eye! 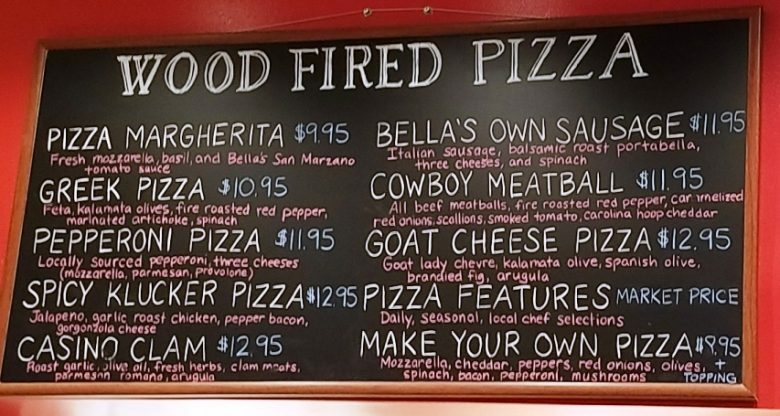 Given the number of BYOP options what Blaze does really well is pizza crust. 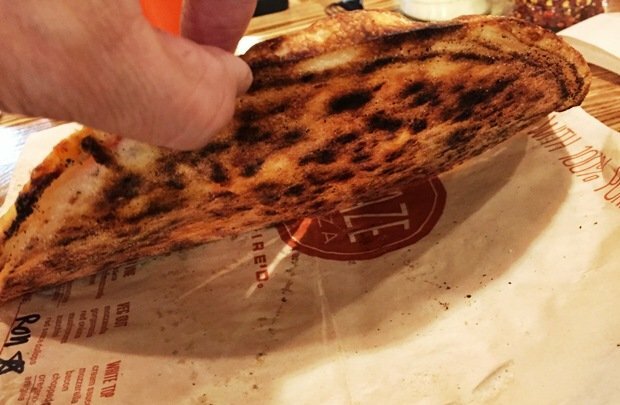 They’ve only got a couple of options including gluten-free and a high-rise dough but the basic crust is light and airy with a bit of char (leopard spotting) on the bottom, yum! 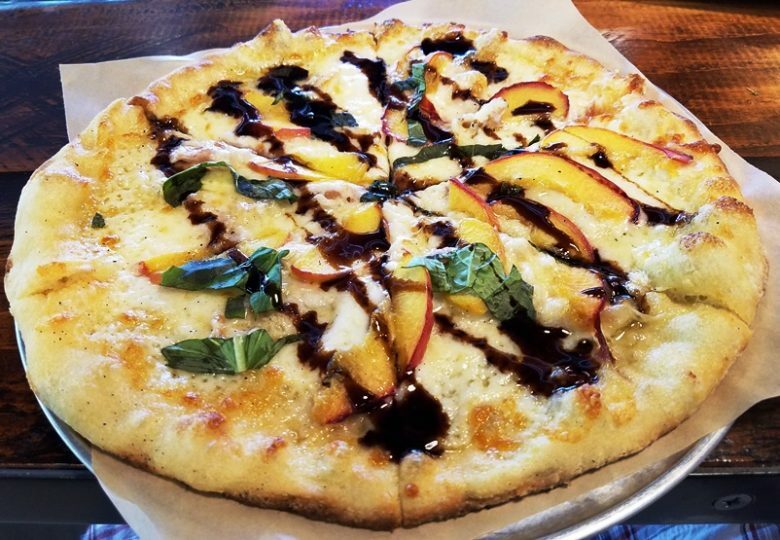 Besides pizza, Blaze offers a handful of salads, desserts (smores pie, brownie) and that’s about it. 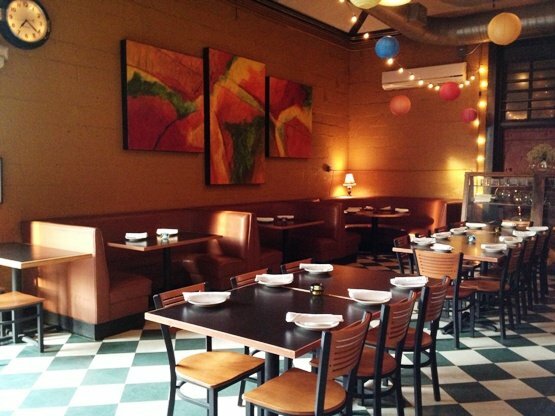 Blaze’s dining room is pretty hip and modern, a nice and bright space. 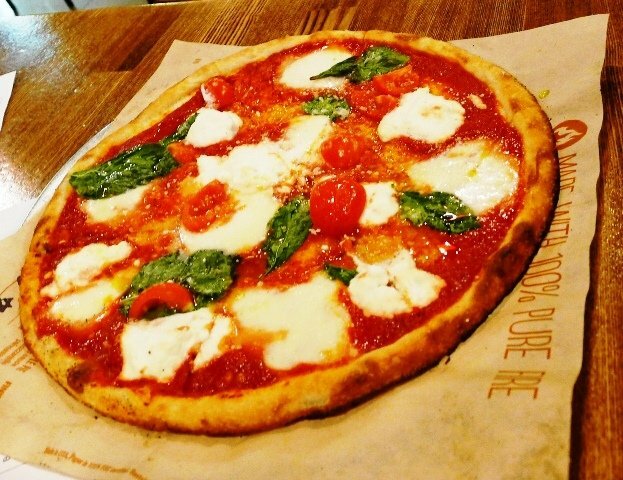 With four locations in the Triangle, you’ll also have plenty of options to try out Blaze Pizza and I’d have to put them near the top of my list for chain pizza choices. 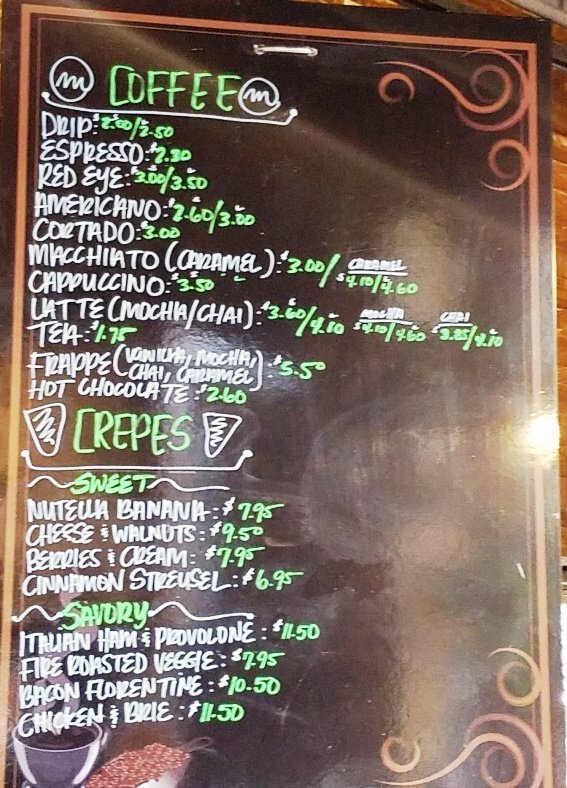 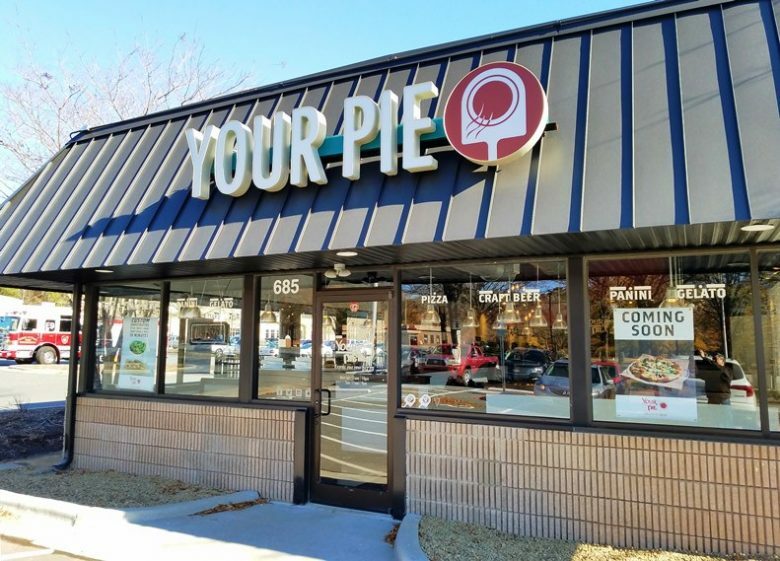 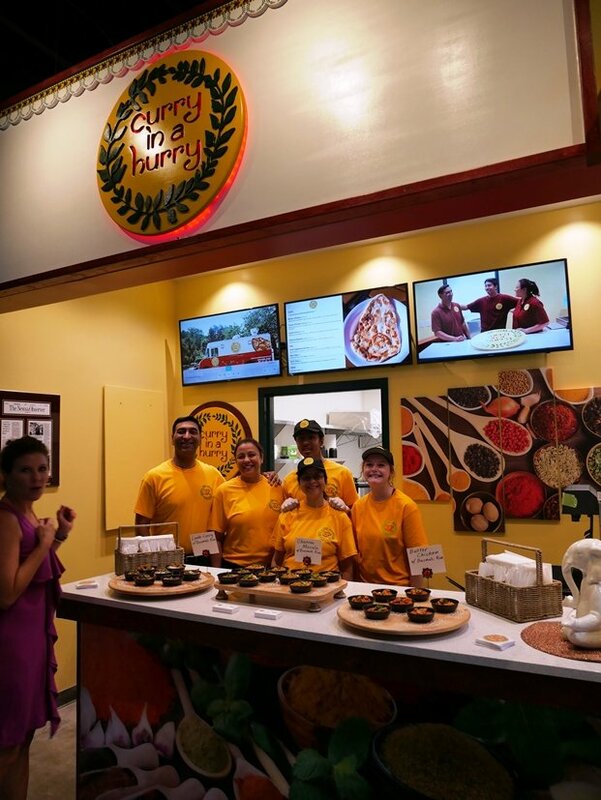 Your Pie is a newer BYOP chain and only has two locations in the Triangle in Cary and Brier Creek. 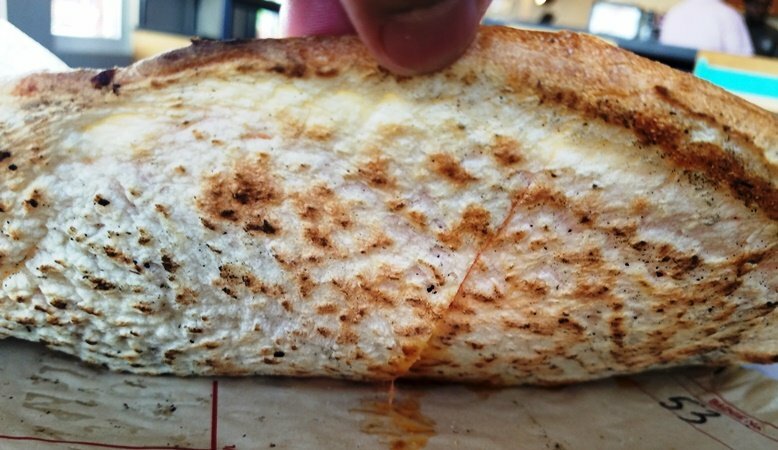 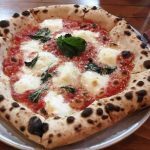 Your Pie does a similar crust to Blaze (tender and light), I’d call it a Neapolitan-style pie but adds some other menu options such as paninis, salads, gelato and beer-wine. I’ve also tried some of their specialty seasonal pies, the peach and prosciutto was a very nice summer option. Overall I think Your Pie is a bit more gourmet when it comes to its pies and a solid option to grab a quick lunch! 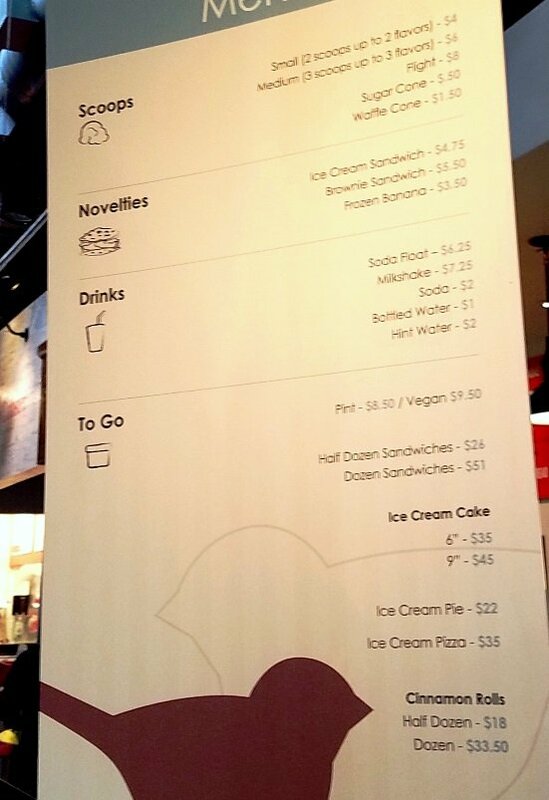 However, note that their pie is a bit smaller then the competition’s. 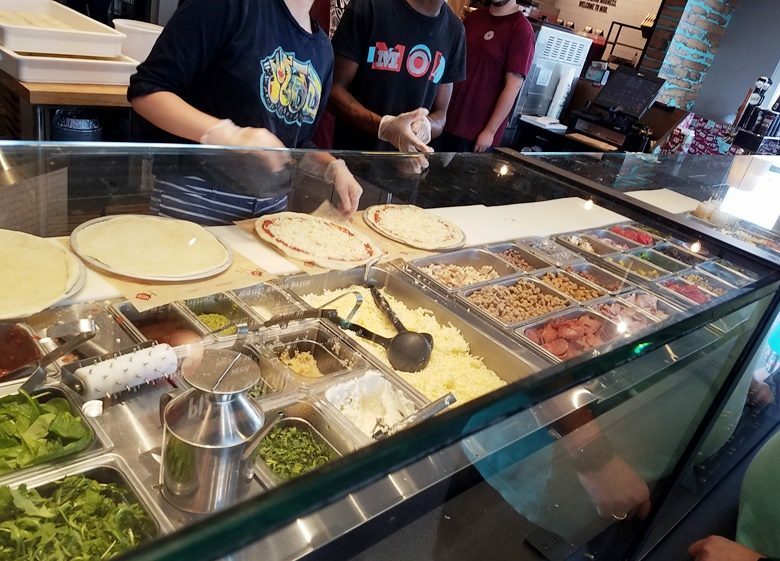 With three locations in the Triangle suburbs, MOD Pizza seems to be a popular option for families. The pies at MOD Pizaa have a chewier, flakier crust, which feels more more commercial to me, similar to Dominos. 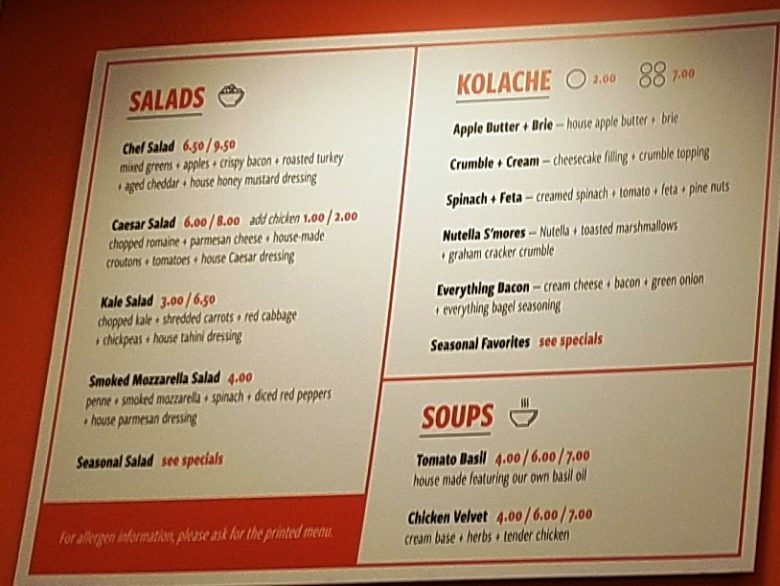 But they’ve got a great array of topping options including seven different cheeses and eight different finishing sauces/drizzles. 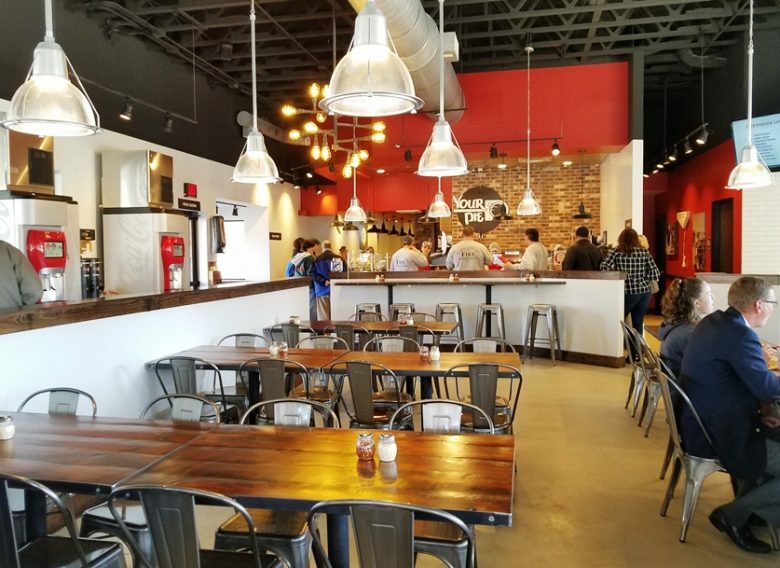 Salads, bread sticks and beer/wine are also available at MOD Pizza in a dining room that’s a bit more casual. 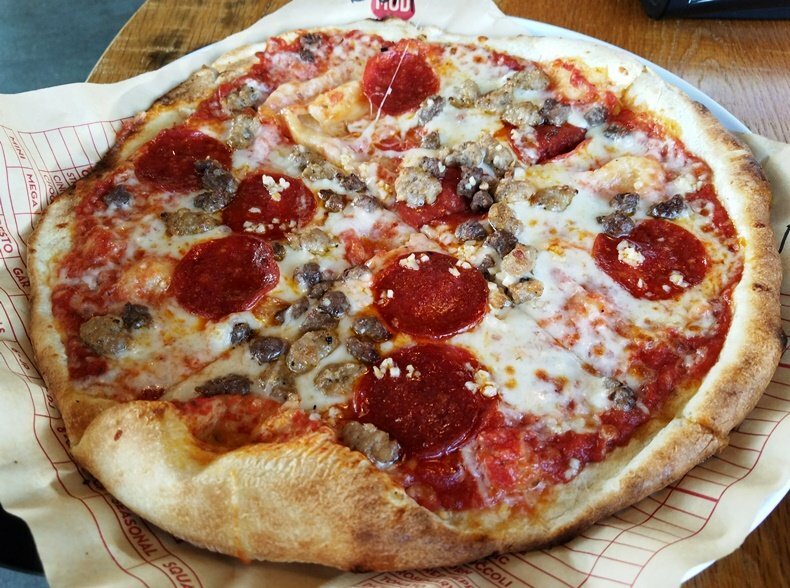 Overall a good spot for a basic pie that’ll keep most everyone happy, lots of variety available here at MOD Pizza. 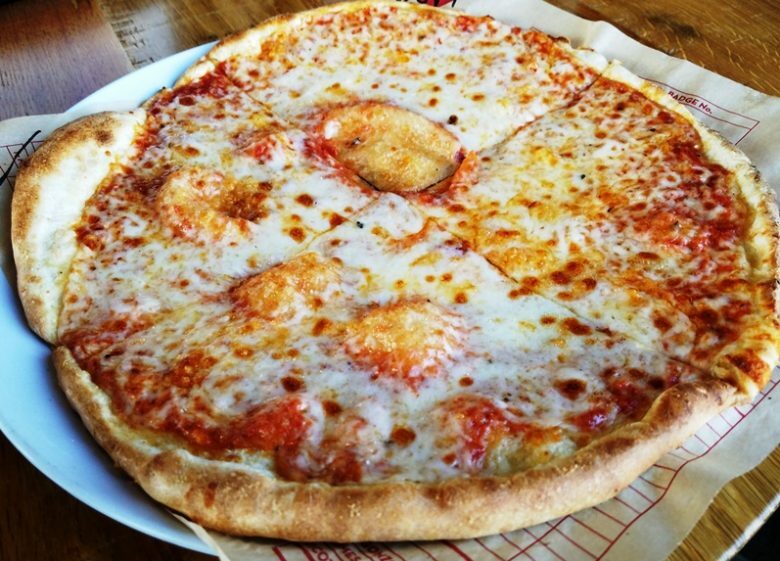 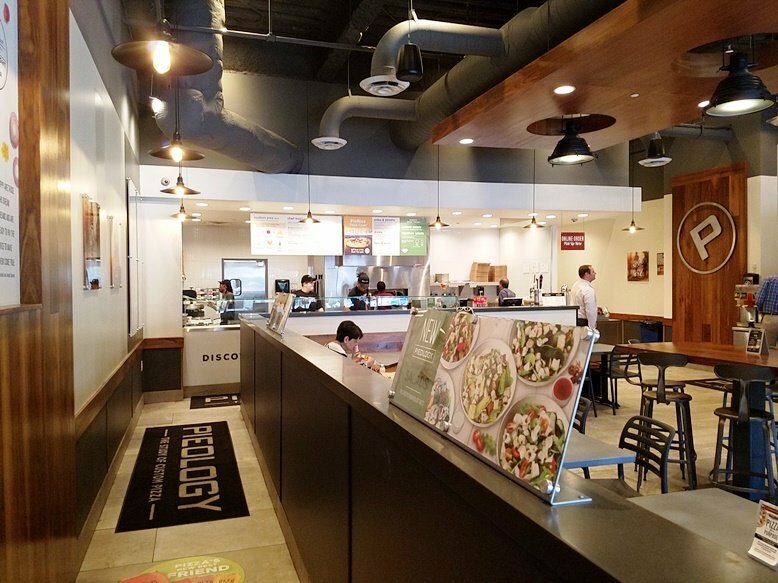 Pieology is the smallest BYOP chain in the Triangle with only one location at North Hills. 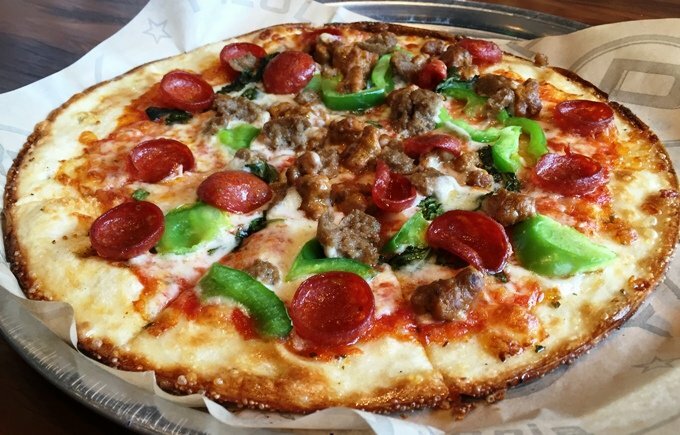 They offer up what I would call a bar-type pizza with more of a cracker-crust, thin and snappy. 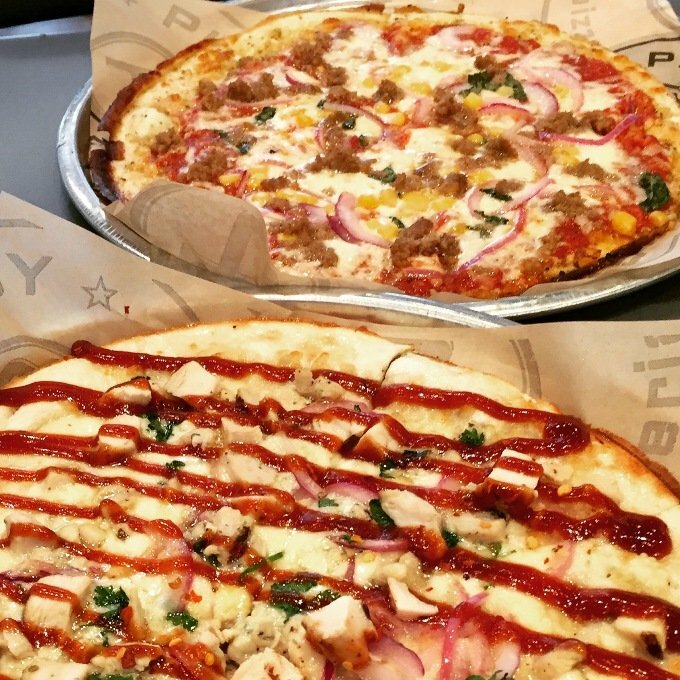 Pieology has a good selection of toppings including some after bake sauces drizzled on top. It’s a thinner and less substantial pie than your other options but still tasty. 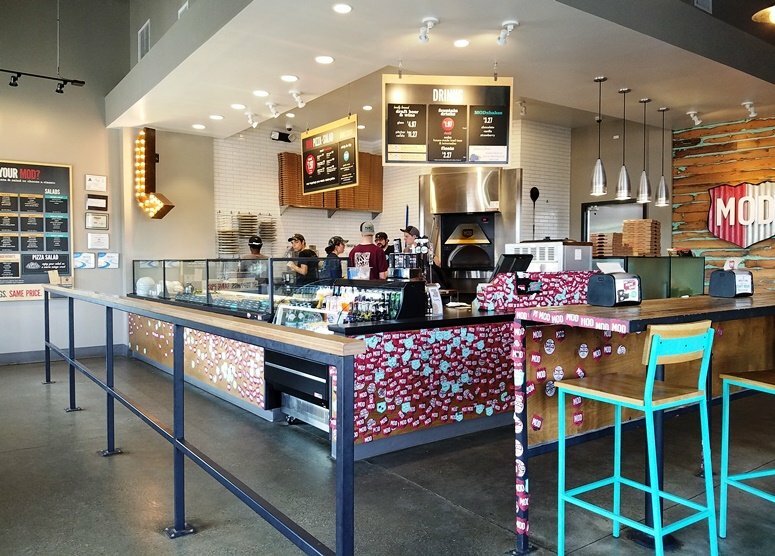 Pieology goes for a very modern dining room from a decor and design standpoint. 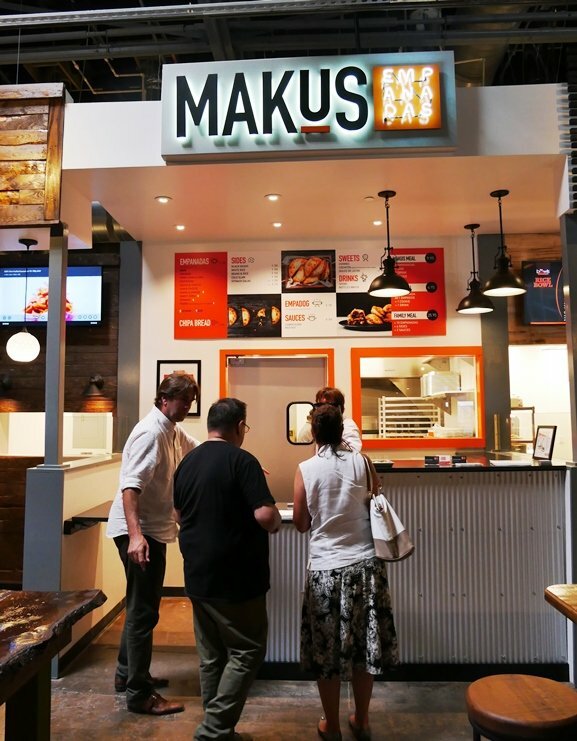 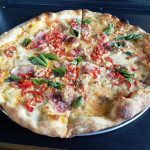 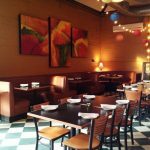 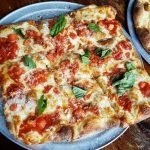 Build Your Own Pizza and Custom Pies in the Triangle! 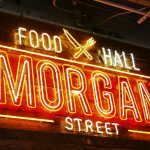 After many delays, the new Morgan Street Food Hall is now open for business and business is booming! 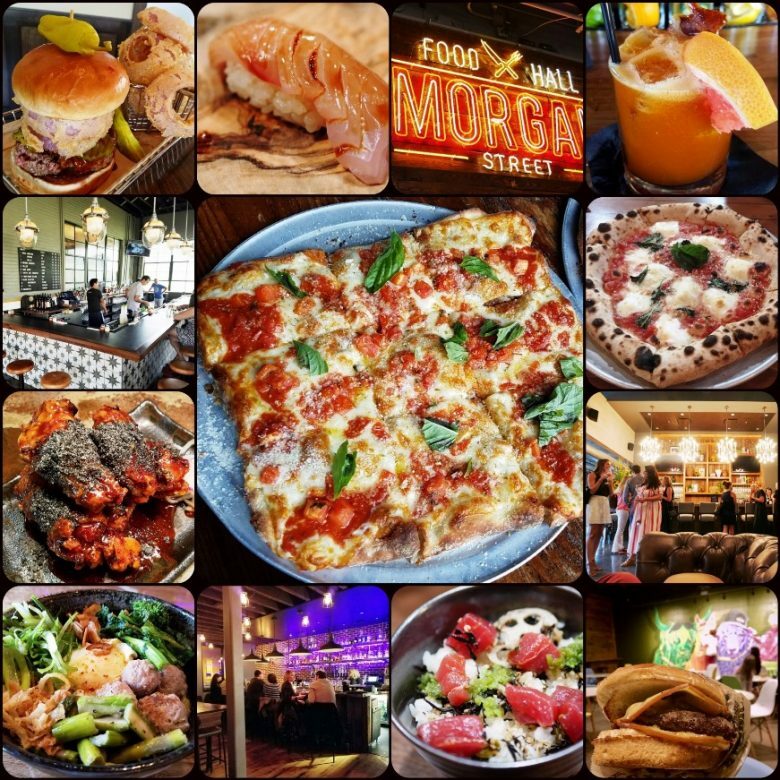 Thankfully I was able to get a couple of preview visits to Morgan Street Food Hall (MSFH) and get a feel for what was going in without having to fight the crowds. 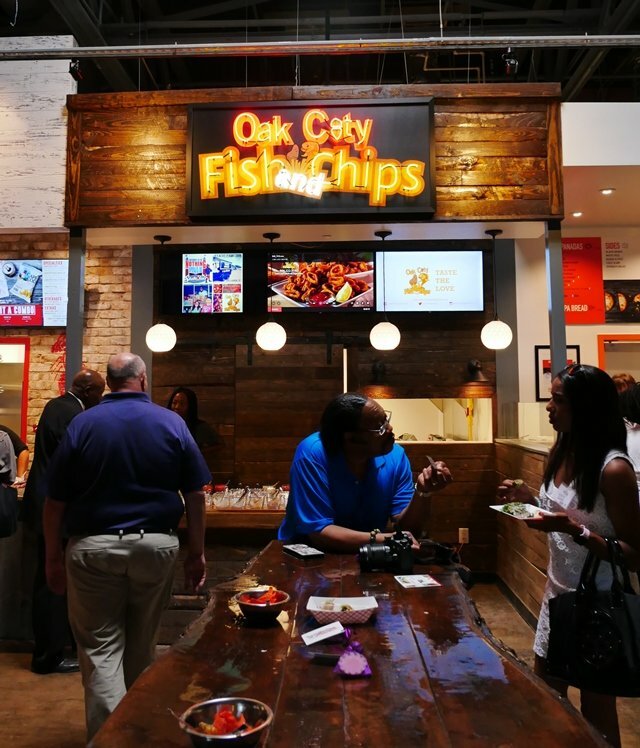 And from what I’ve seen, it’s a good mix of popular stand-bys along with some new dining options. 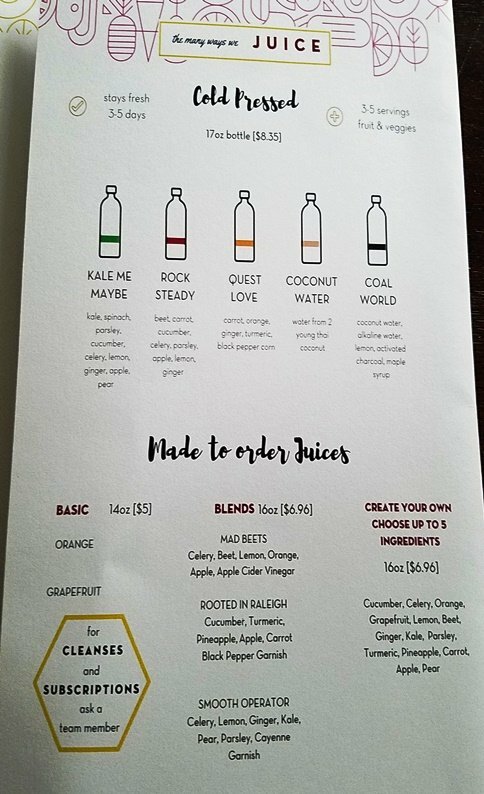 But color me impressed overall! 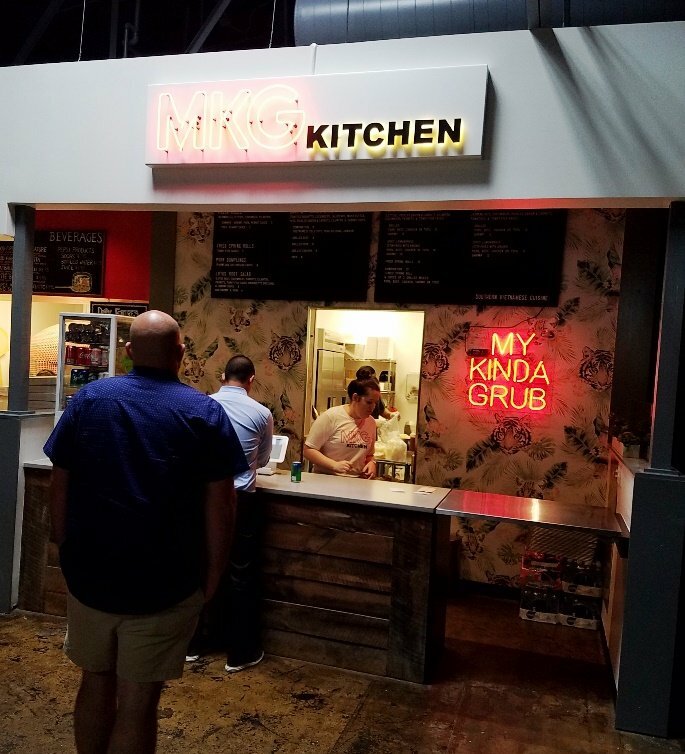 I’ll be working through the food and dining options at MSFH over the next several months so I’ll be updating this post over time! 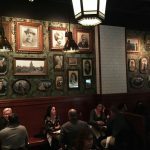 I’d recommend visiting in off-hours (any time outside of 11:30 to 1:30 and 5:30 to 7:30pm) since the place is super popular right now. 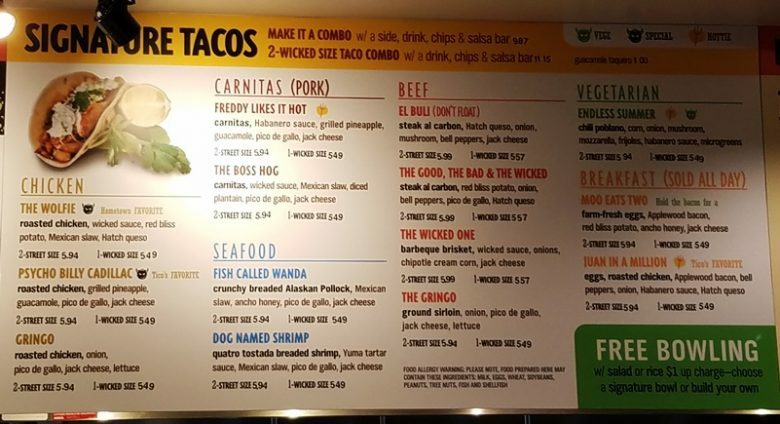 After I’m able to visit a restaurant, I’ll give it a star rating and short description. 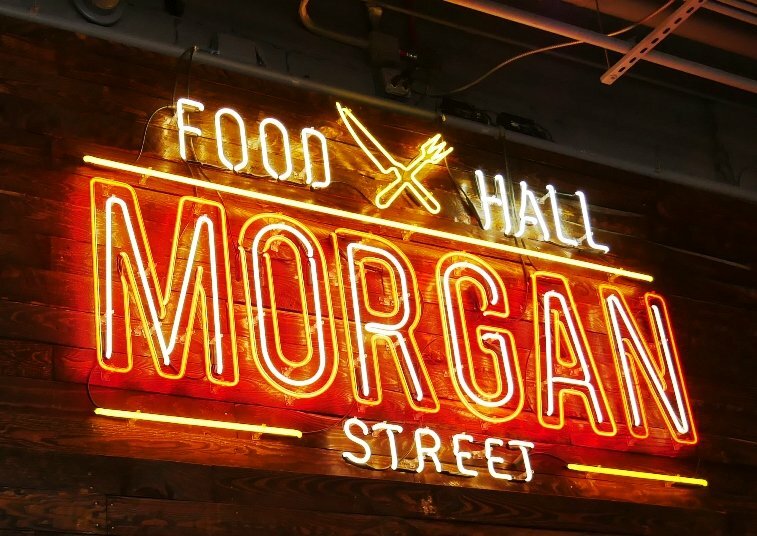 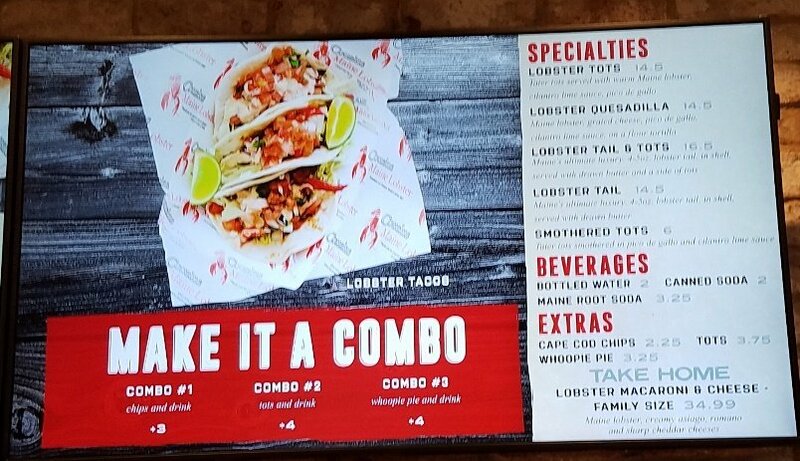 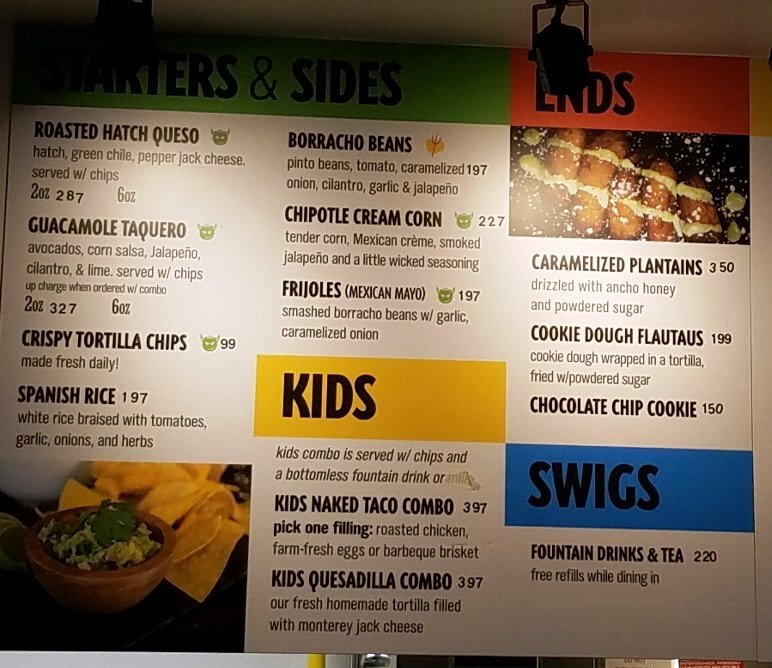 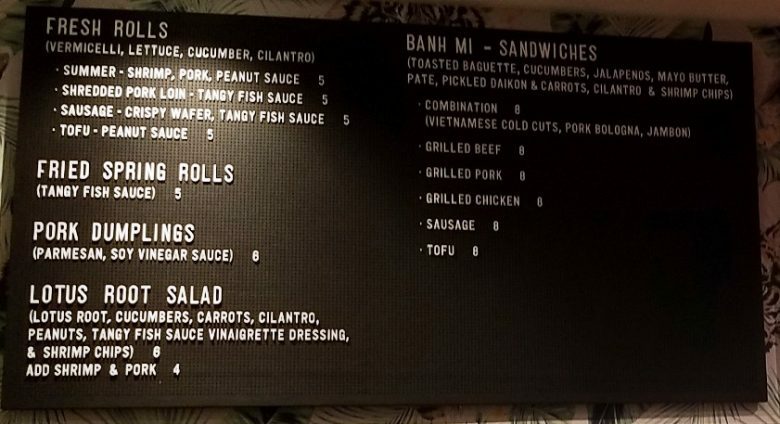 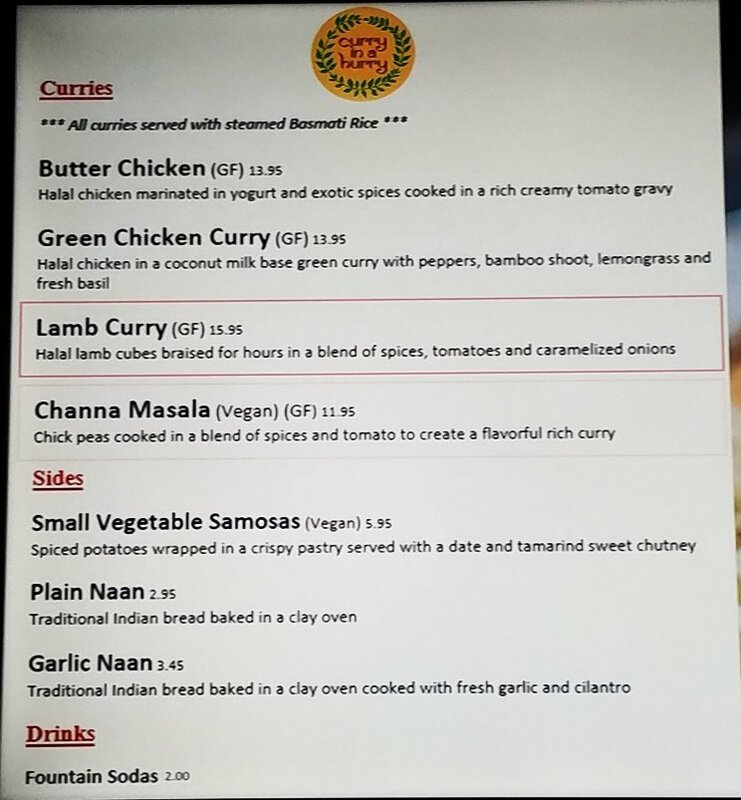 It’s a tough job but somebody has gotta do it, I’ve included menus when available to help you get a better understanding of prices and food options at the Morgan Street Food Hall! 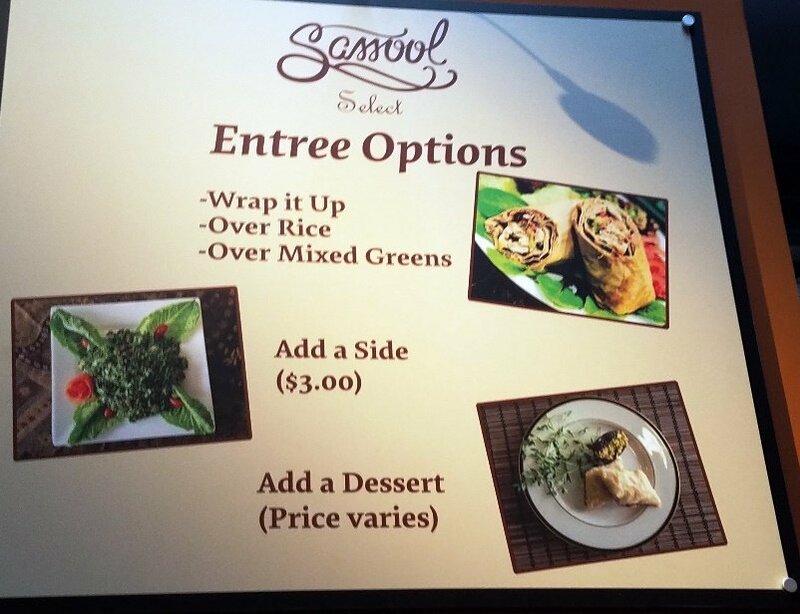 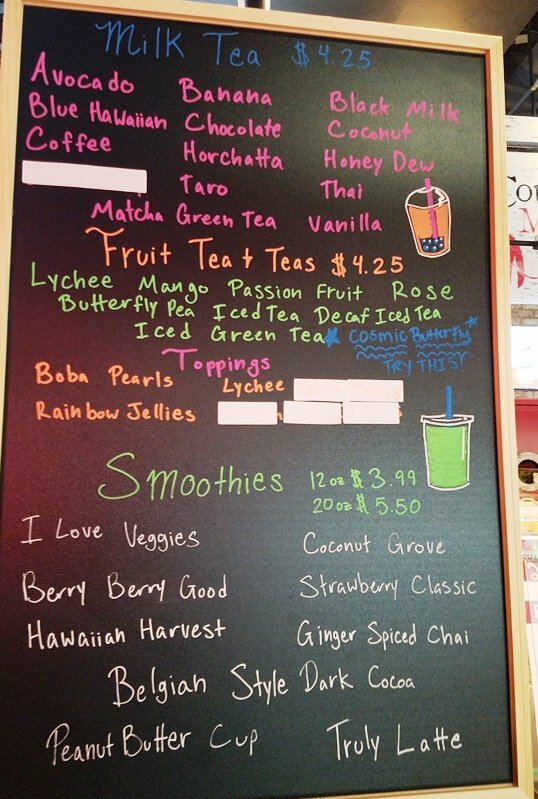 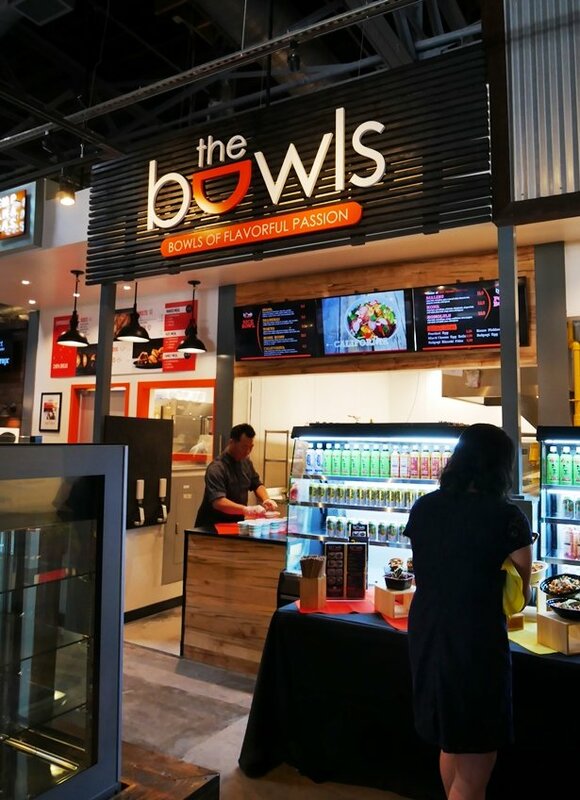 Same great, satisfying eats as the main location but with an even broader menu! 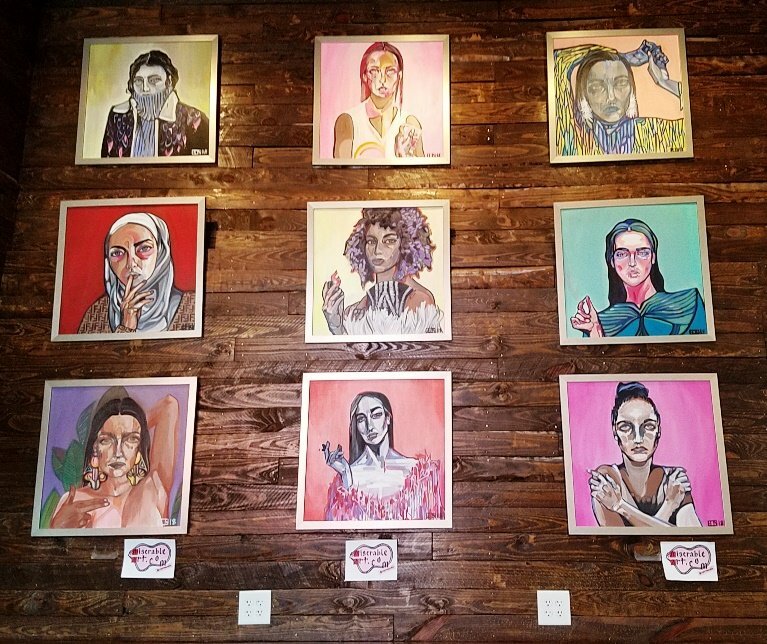 Great cause supporting women at risk, too. 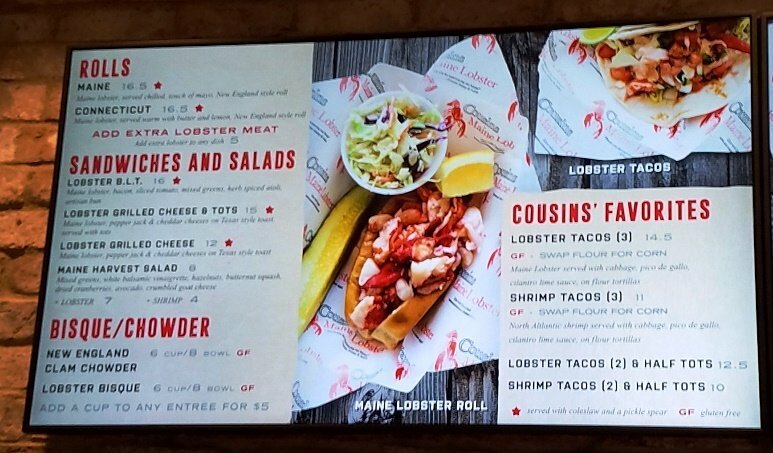 The food truck turned food stall has done a great job here with its lobster rolls. 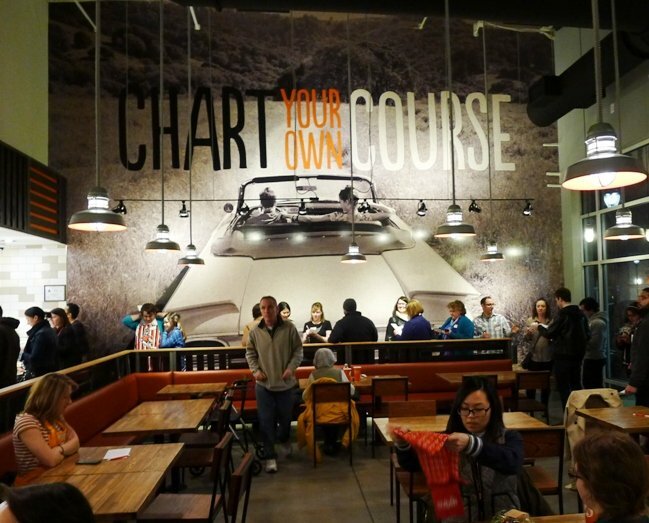 In fact, it may even be better eating their food indoors with AC so a big thumbs-up from me! 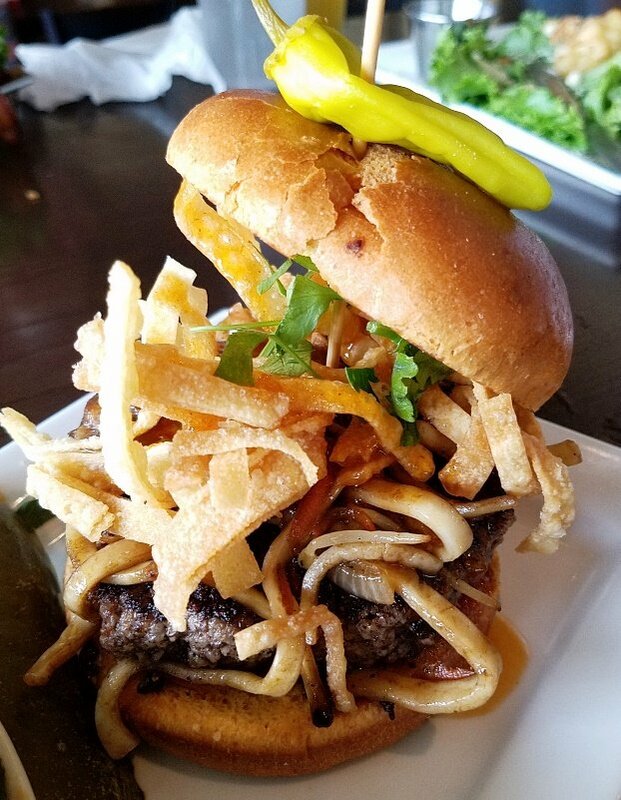 A fun and delicious spot for a decadent and flavor-filled burger! 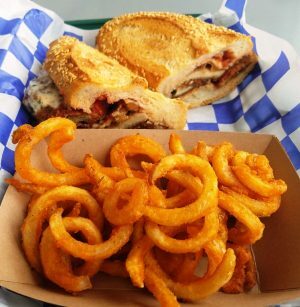 Great selection of fries as a side, choose from Original, Italiano and Truffle. 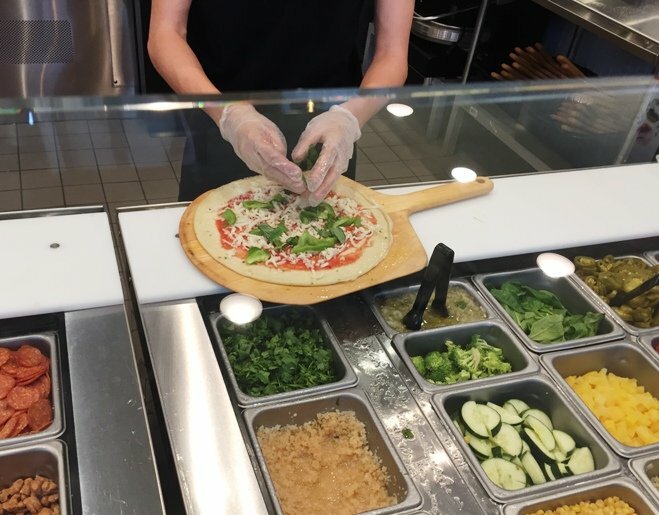 Just be aware that service can be a bit uneven and slow. 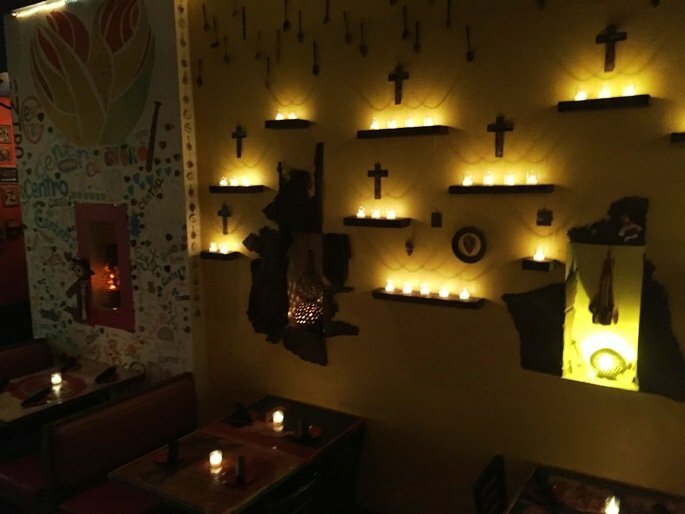 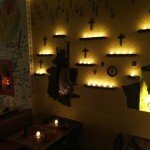 A pretty quick meal of empanandas and S. American basics (black beans, rice, salad) will keep you happy here. 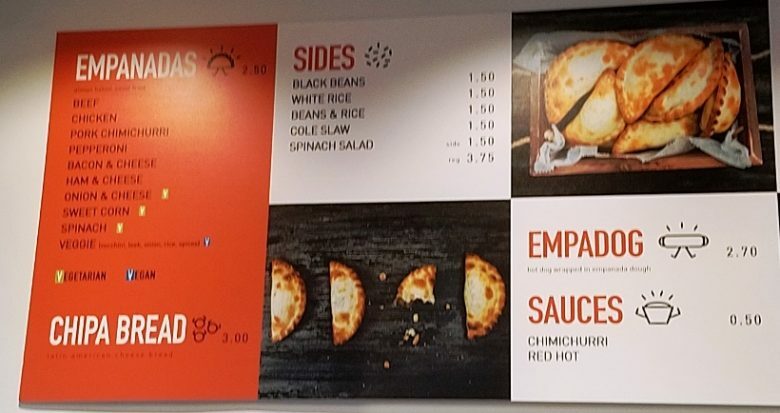 Love the variety of baked empanadas here, they are light and crunchy but not super filling. 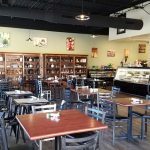 Same great Vietnamese eats that you can find at their other restaurant, Mekong in Morrisville. 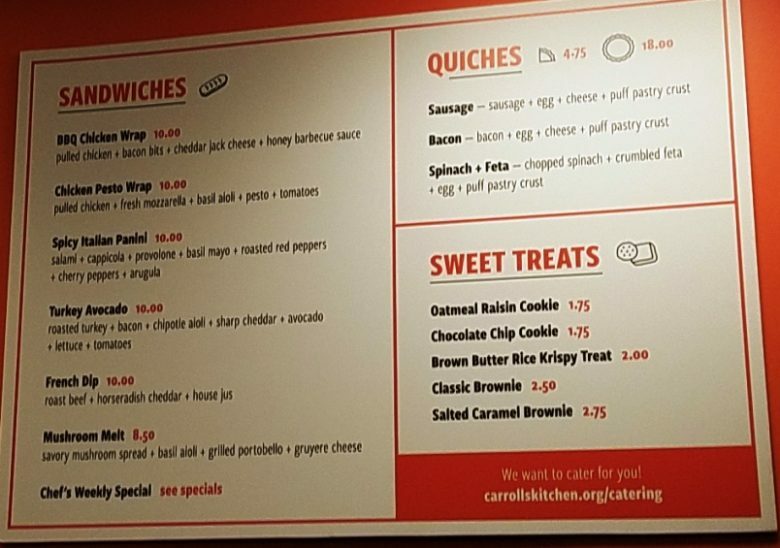 But given the smaller kitchen, doing a broad menu is more of a challenge here. 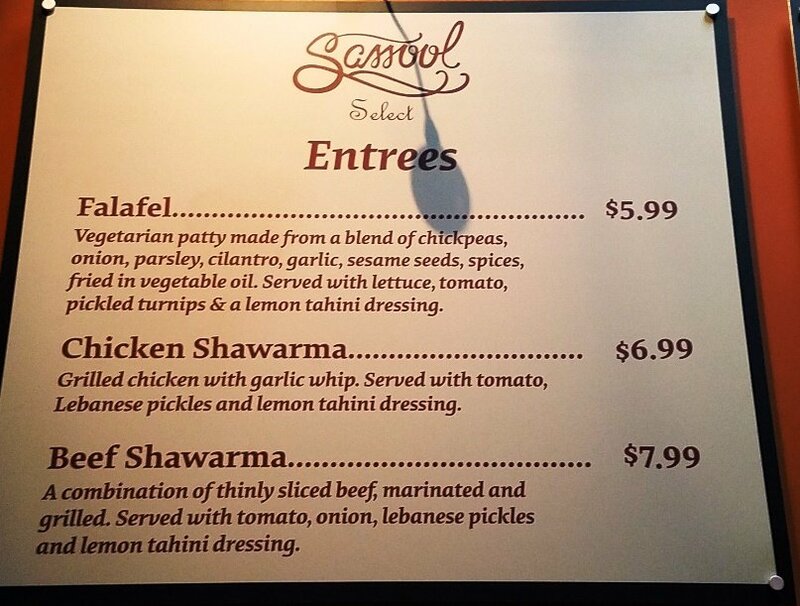 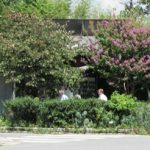 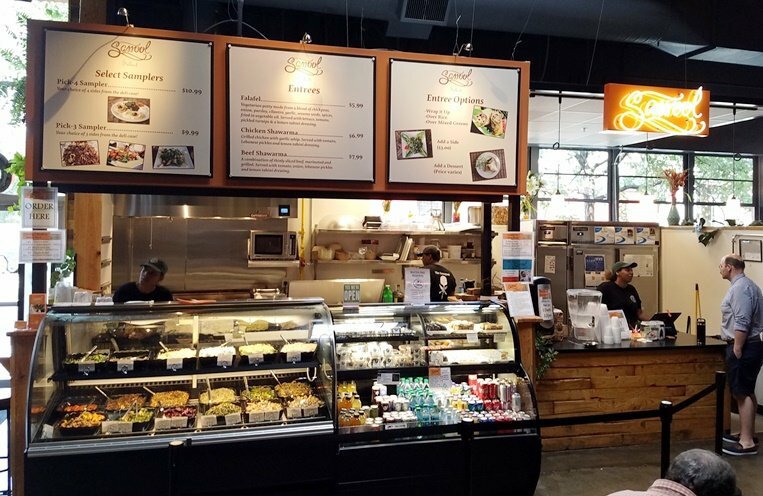 A Raleigh classic offering clean but tasty Mediterranean eats ranging from shawarma, wraps and salads. 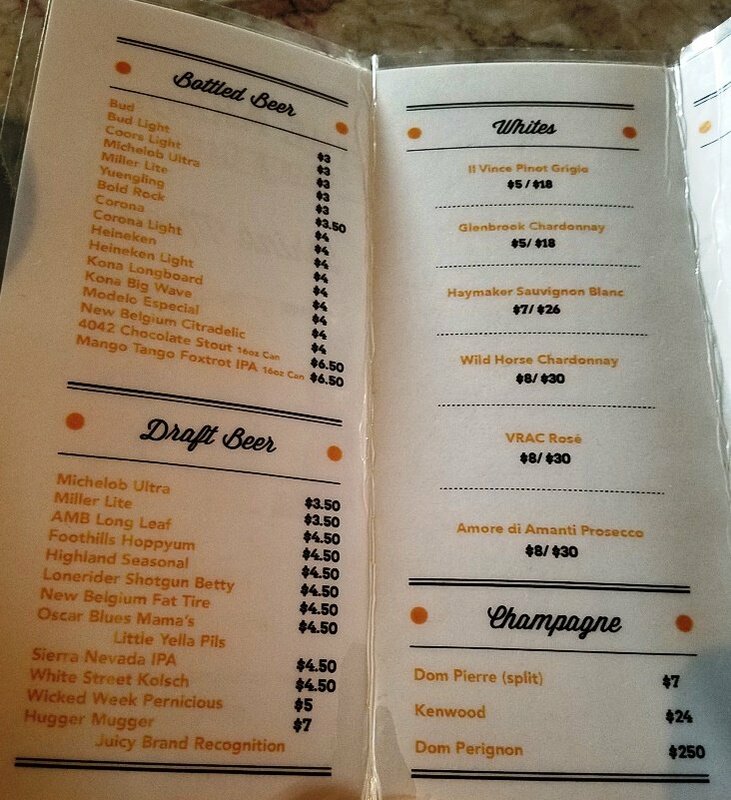 A decent bar with reasonable prices but service has been slow the handful of times I have been here, even in off-hours. 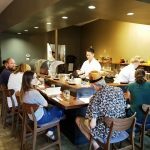 Fingers crossed they get better with time and experience. 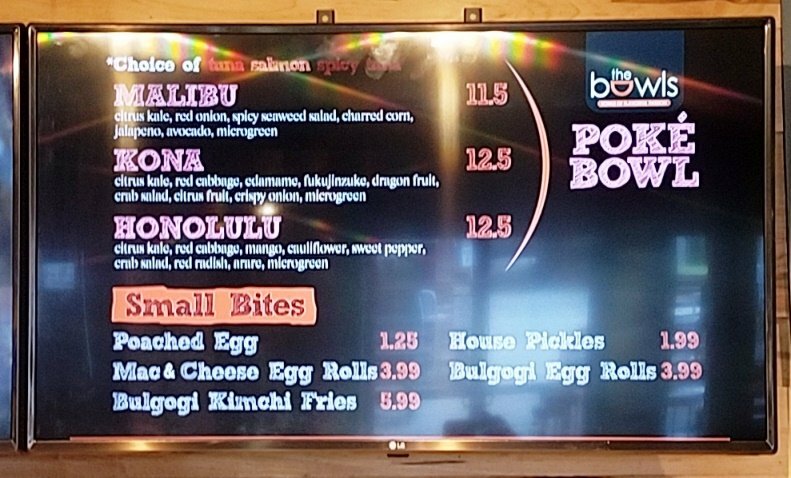 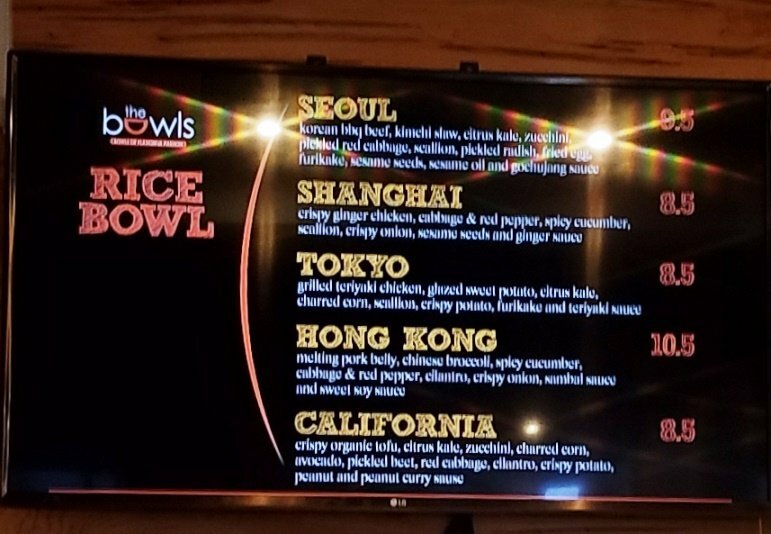 A pan-Asian eatery offering rice bowls, poke bowls and small plates with Japanese, Chinese and Korean flavors. 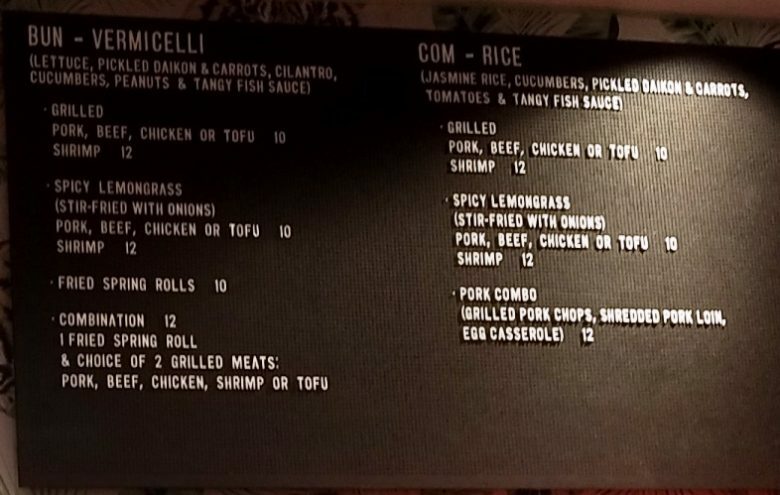 A good deal for the money, don’t miss the bulgogi egg rolls!